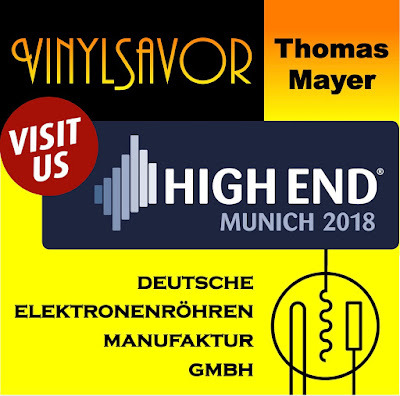 Next week the High End opens it's doors in Munich May 10th - 13th (10th for trade visitors only). 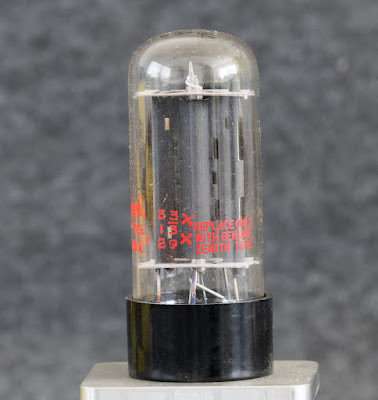 As in the previous years I will be there again with amplifiers, preamplifiers and tubes. Visit room F231e and listen to my latest amplifiers and Elrog tubes. 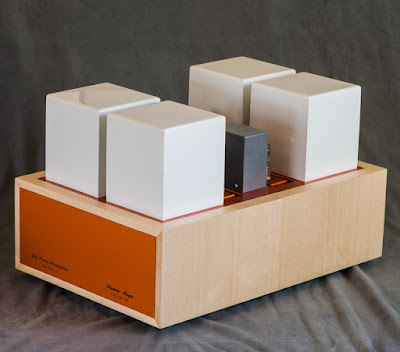 And of course to enjoy some music and good talks. 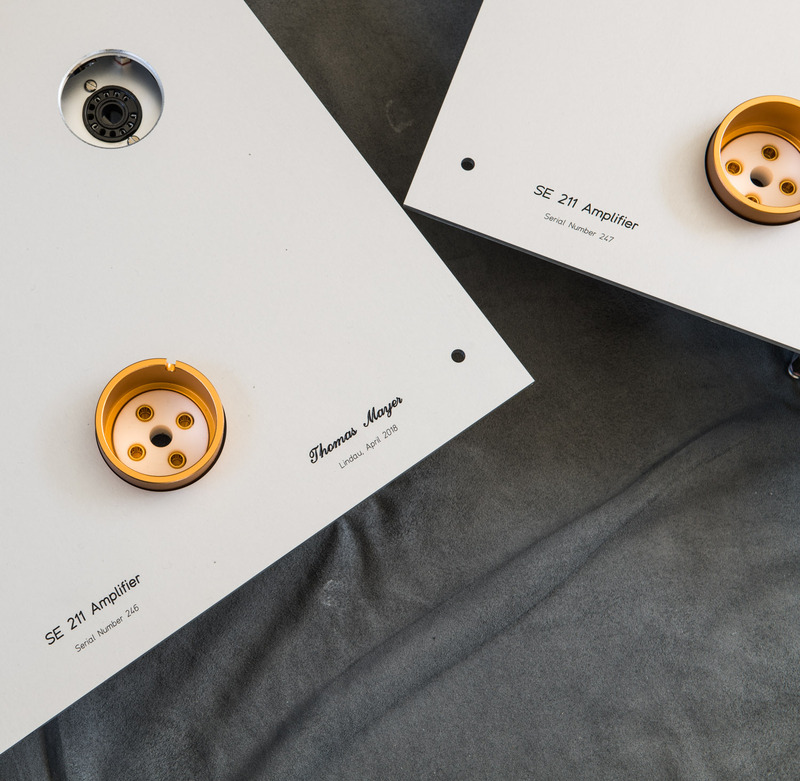 The phono and linestage in the new colors are finished. 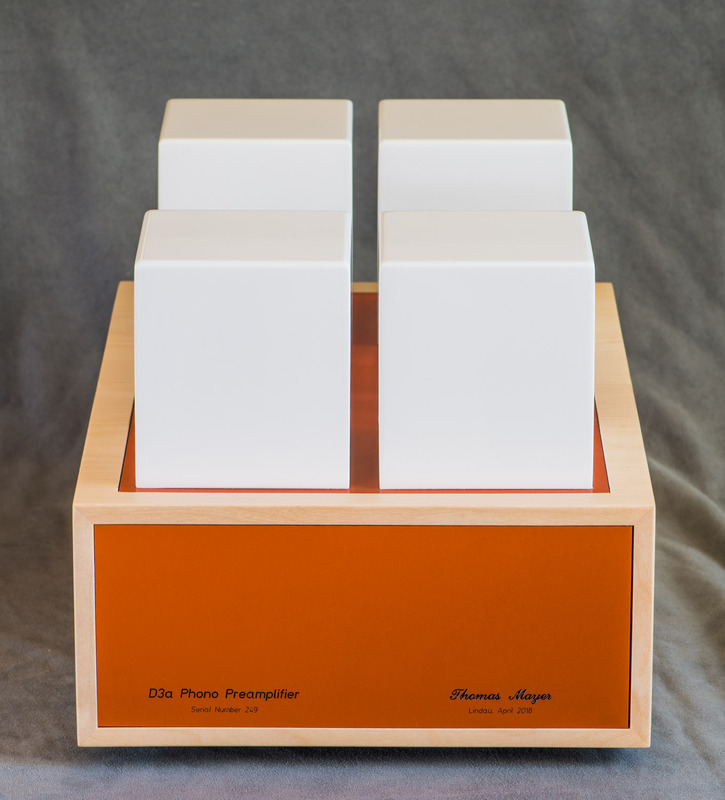 Here some photos of the phono. 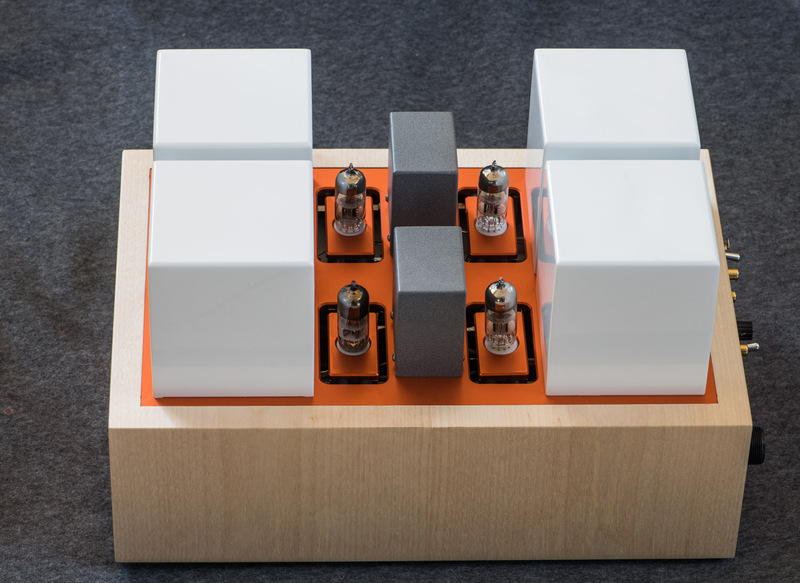 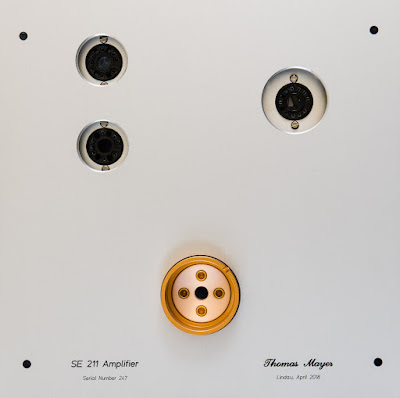 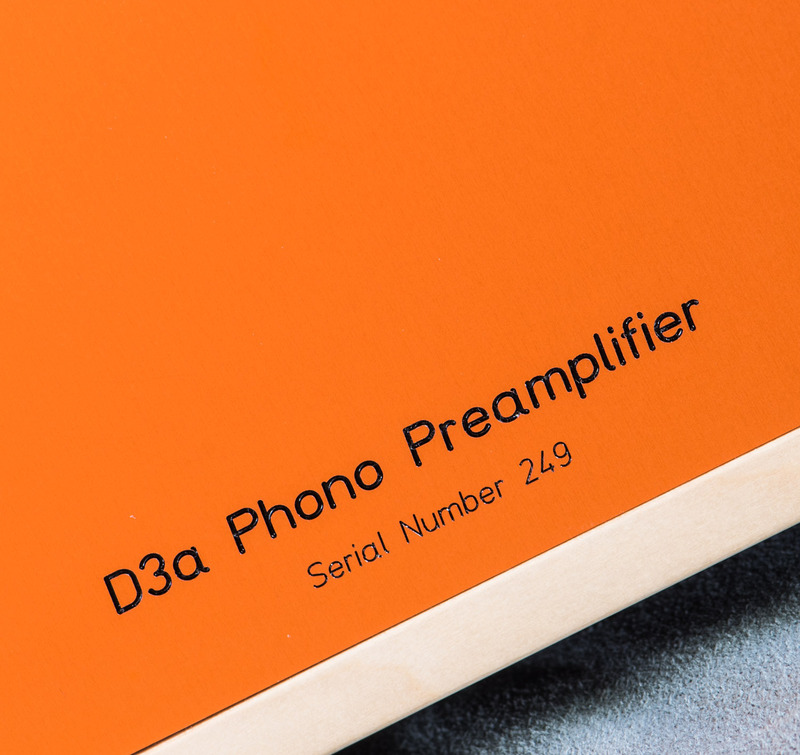 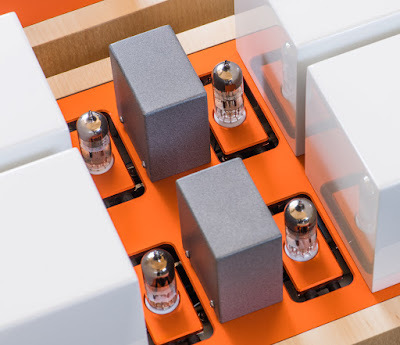 The concept of this phono stage follows the same LCR RIAA circuit as usual. A brass on/off knob goes well with the orange and light wood. This phono stage will be on demo at the upcoming High End show in Munich. A new pair of single ended 211 amplifiers is in the making. 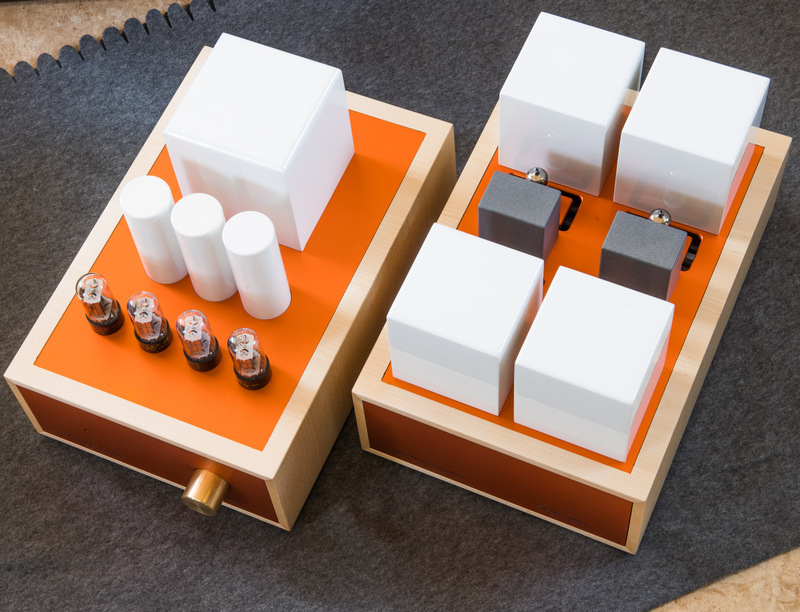 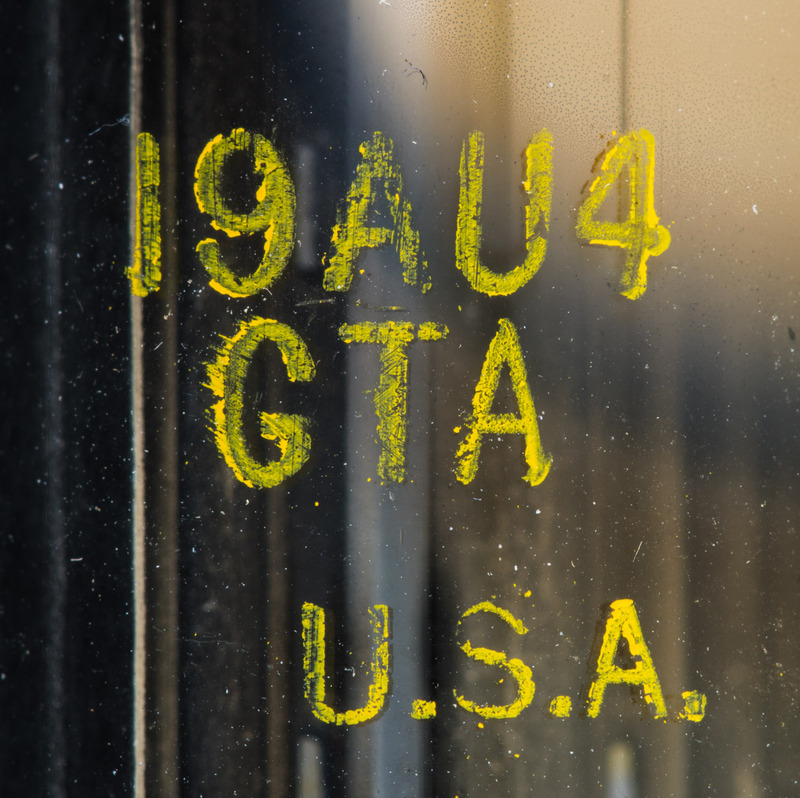 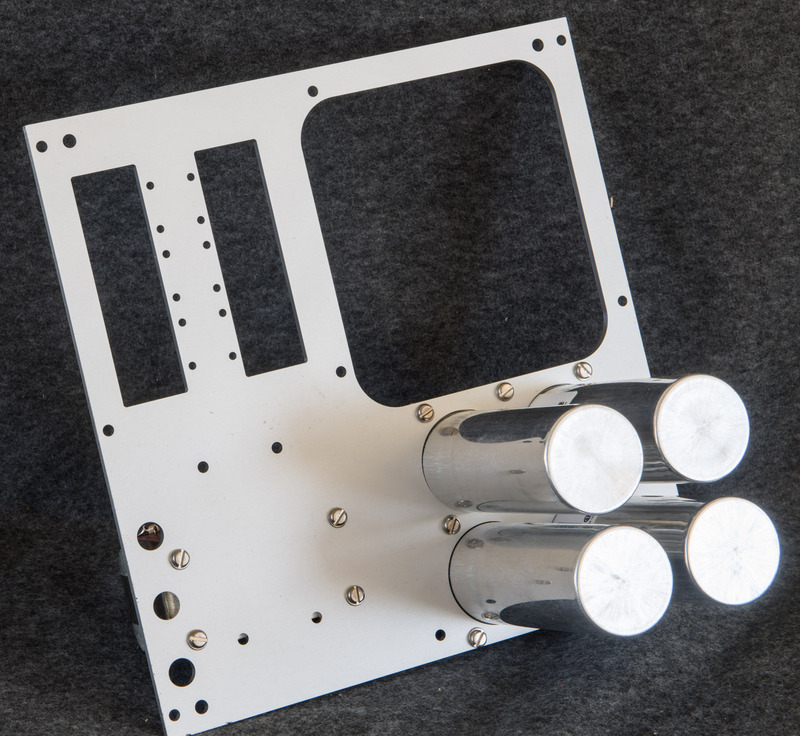 These will be in the same tower chassis as the recently shown 845 mono blocks. Stay tuned for more photos when these are finished. 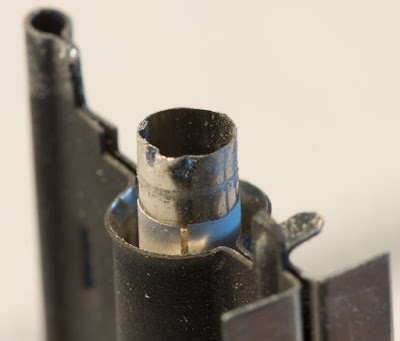 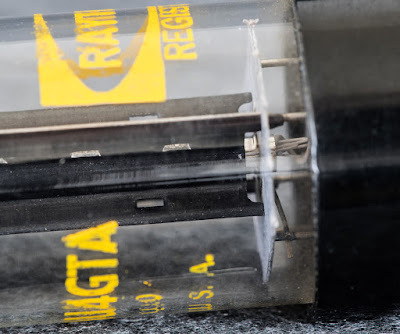 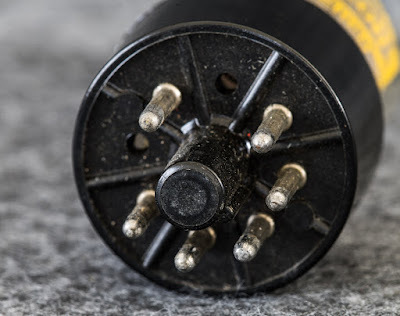 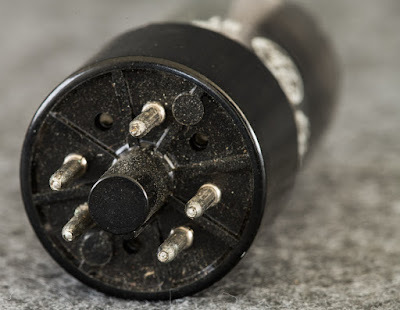 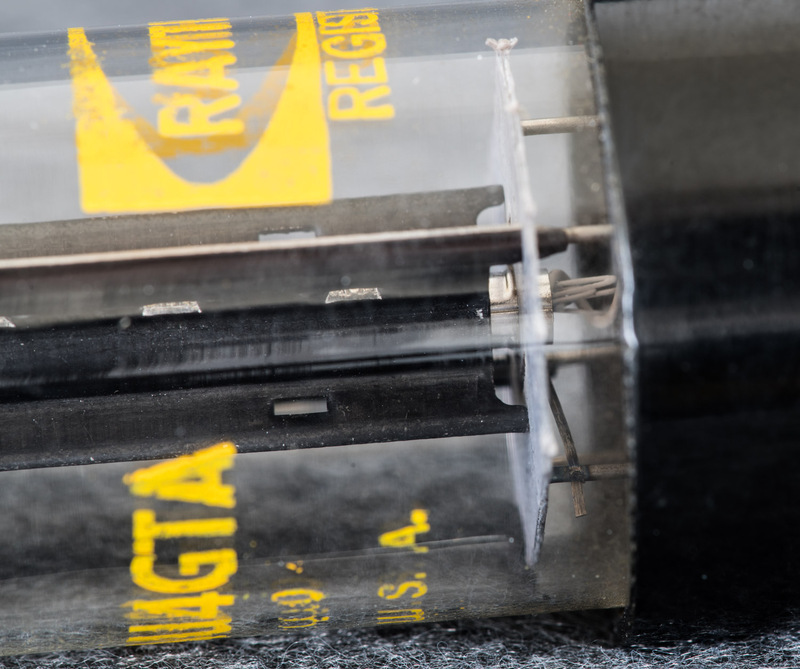 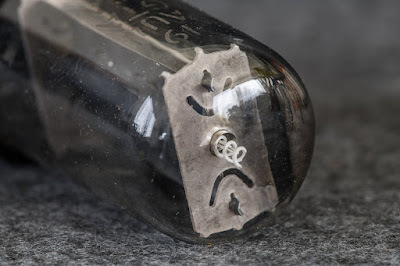 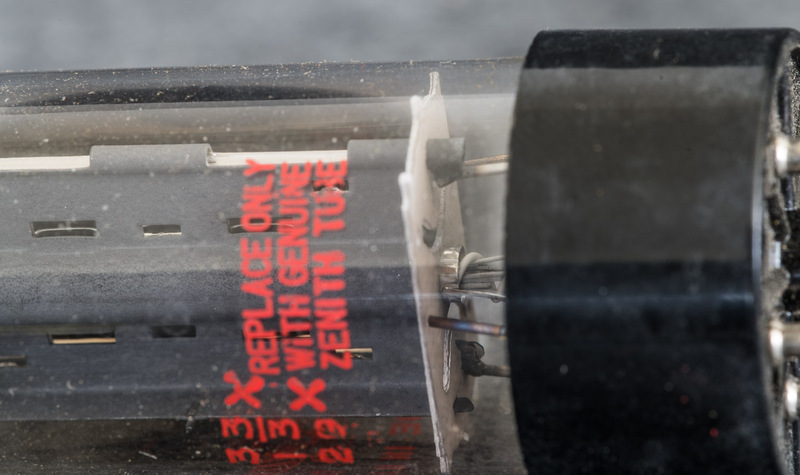 Last month the friends of directly heated triodes got a treat with the coverage of the 2A3. 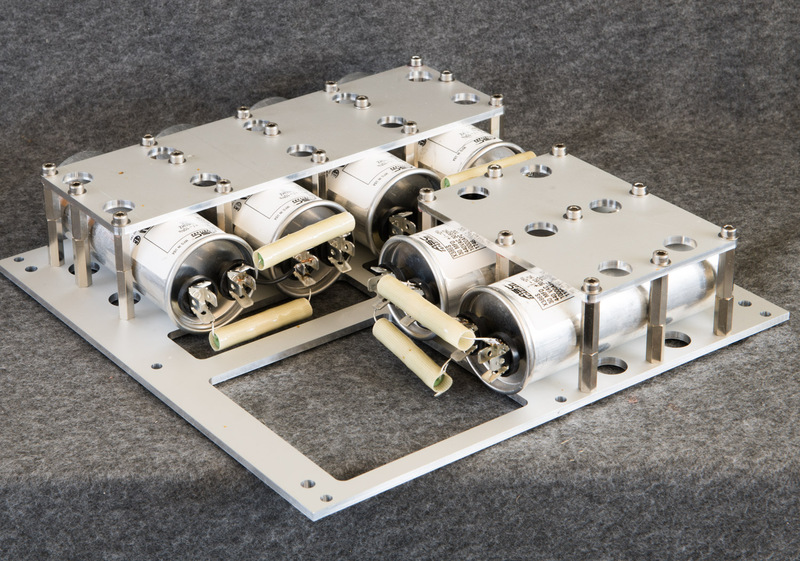 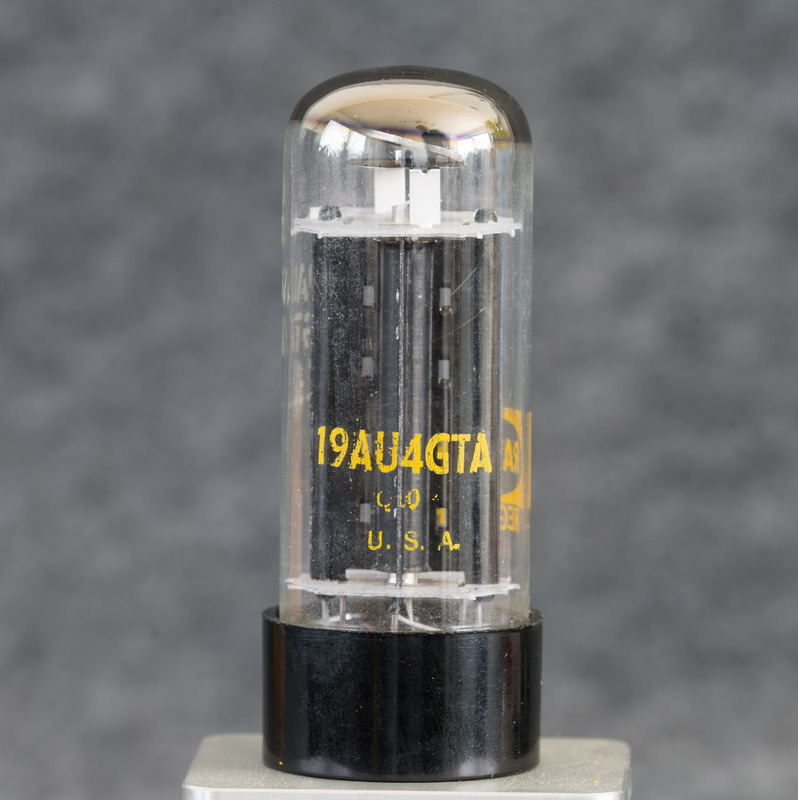 This month we are looking at something cheap again, another TV Damper, the 19AU4. 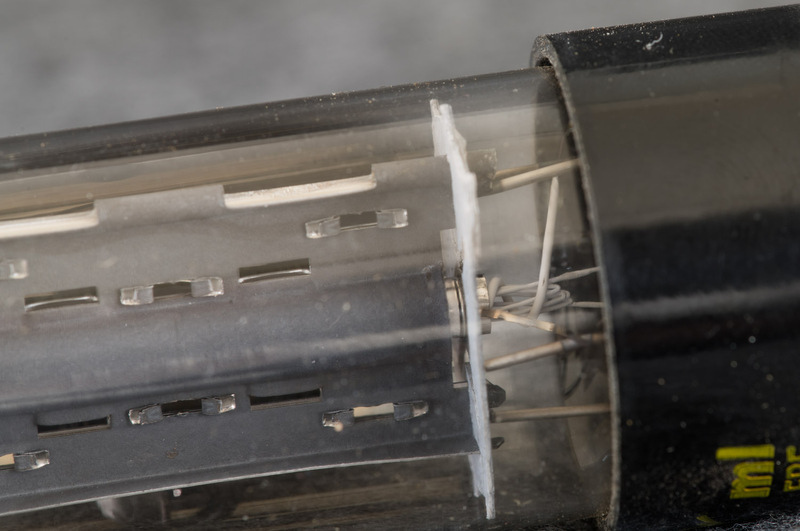 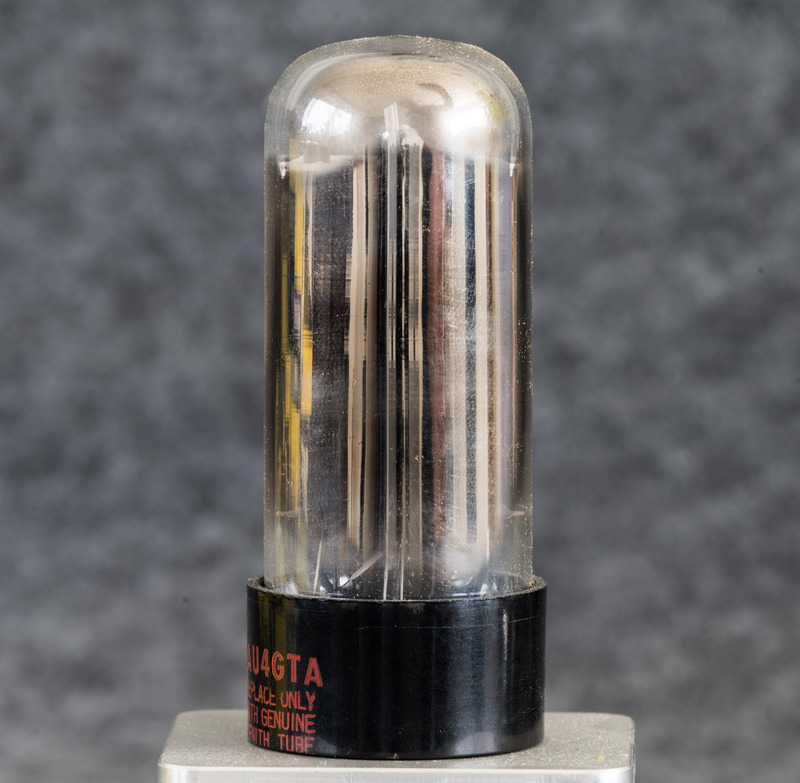 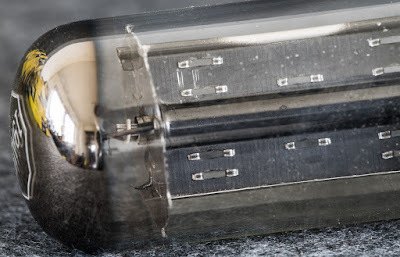 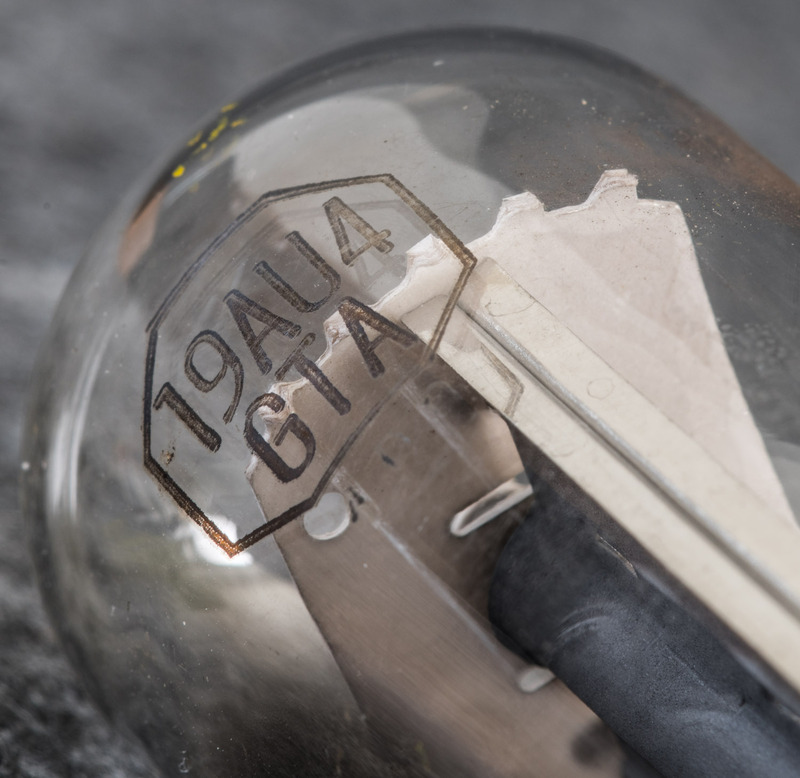 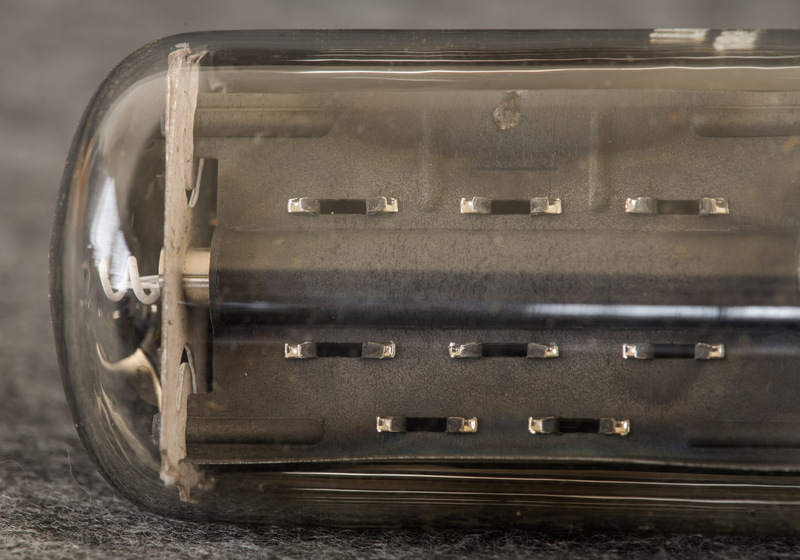 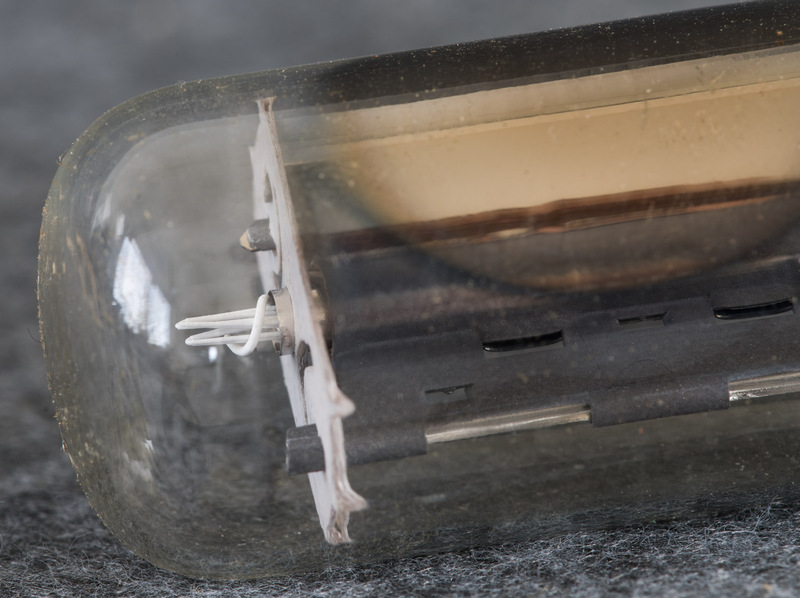 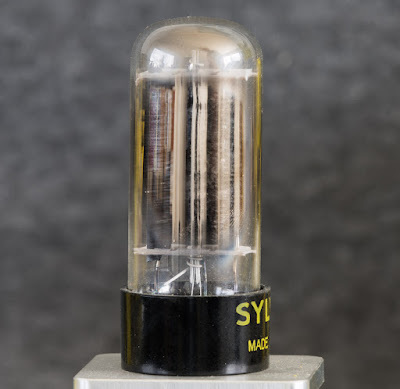 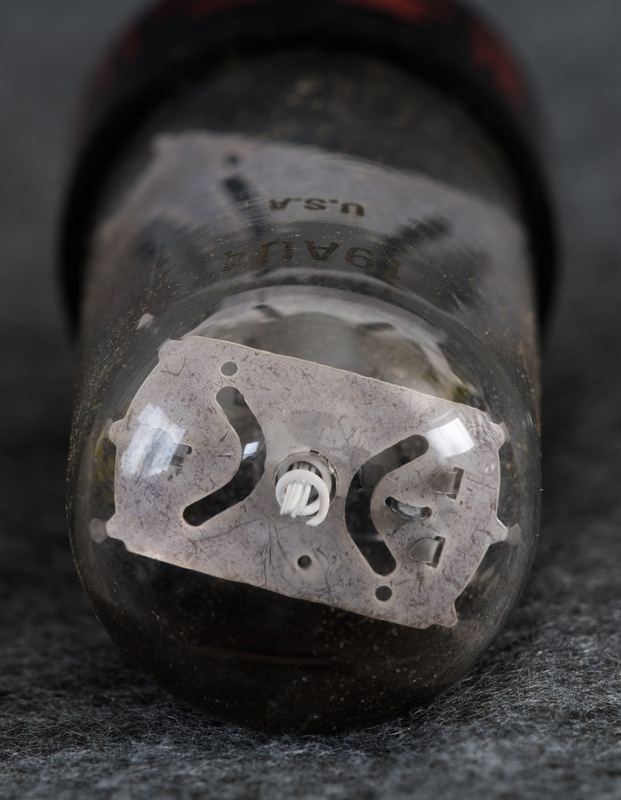 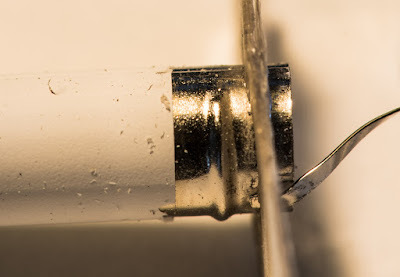 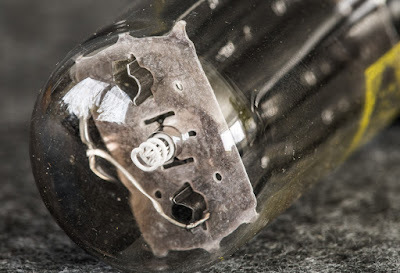 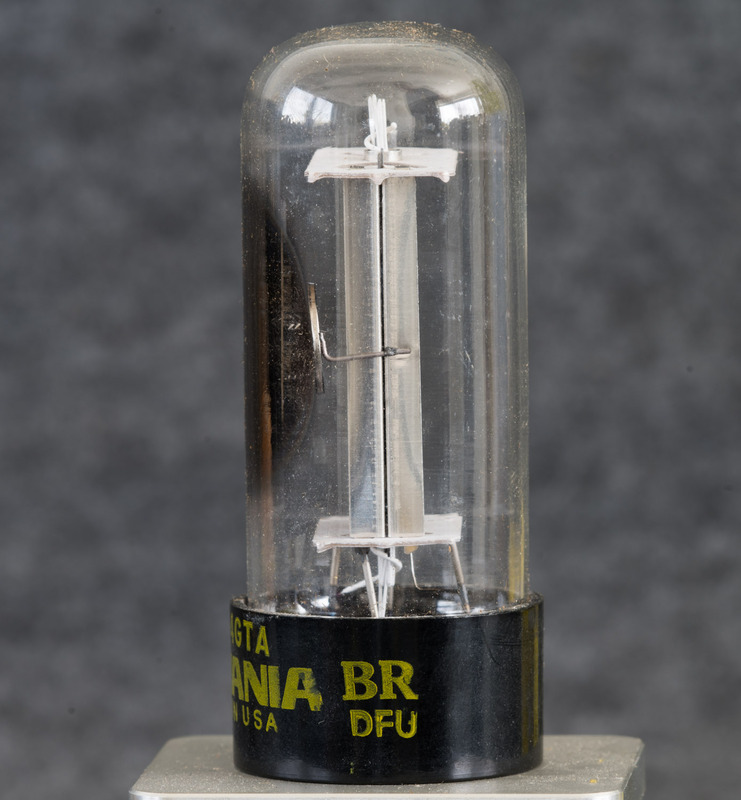 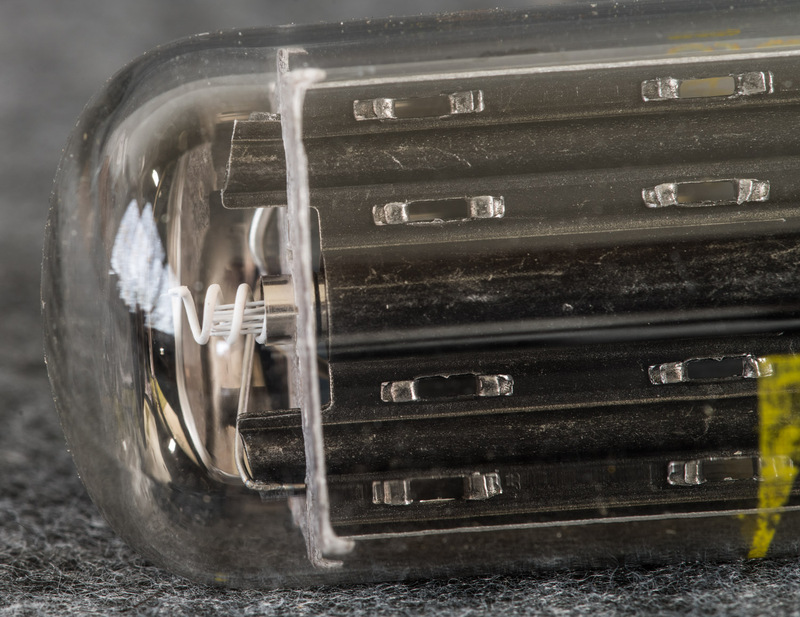 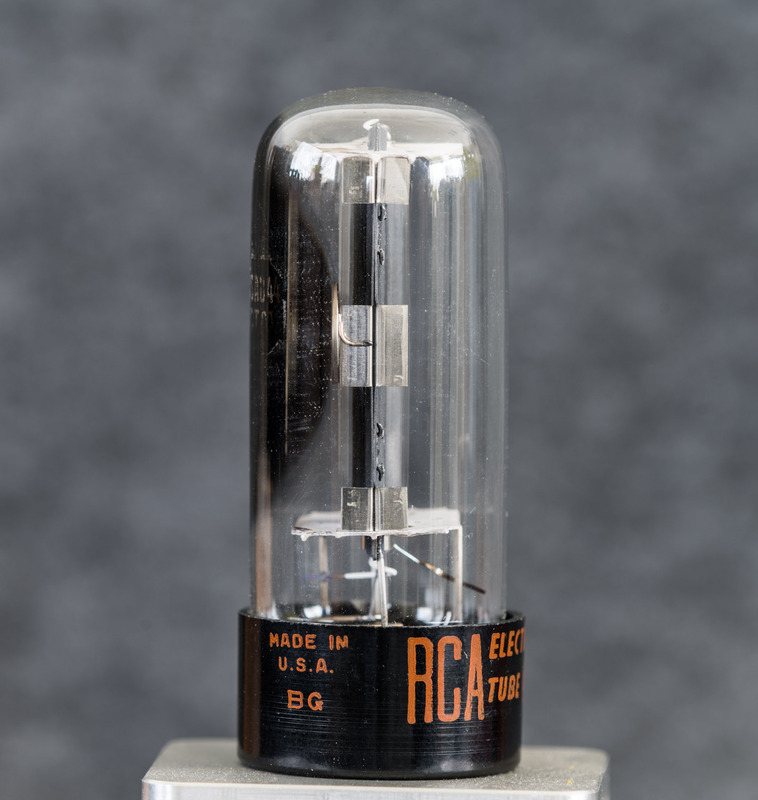 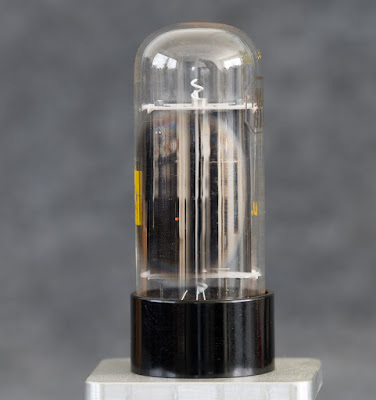 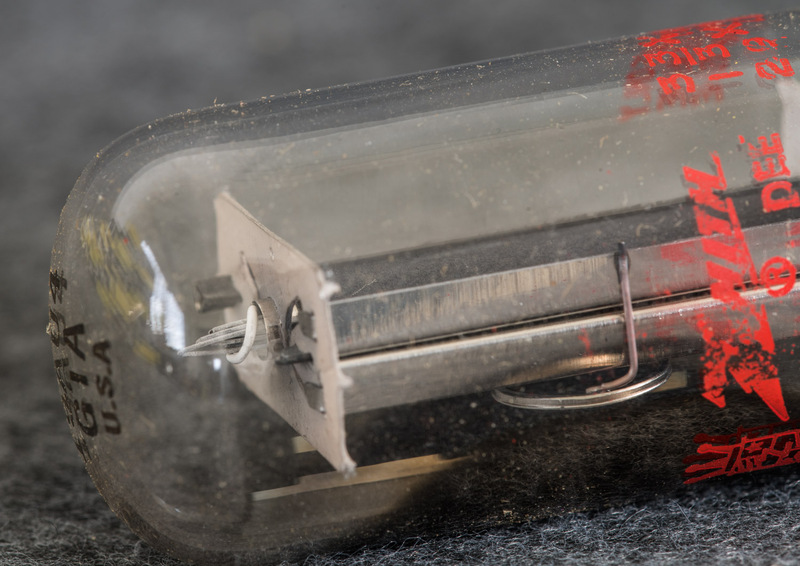 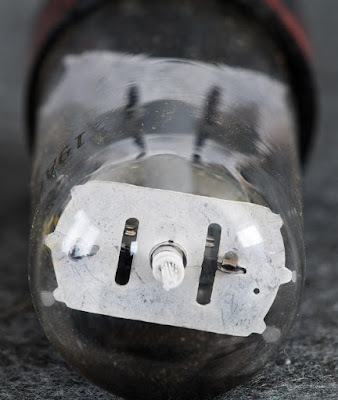 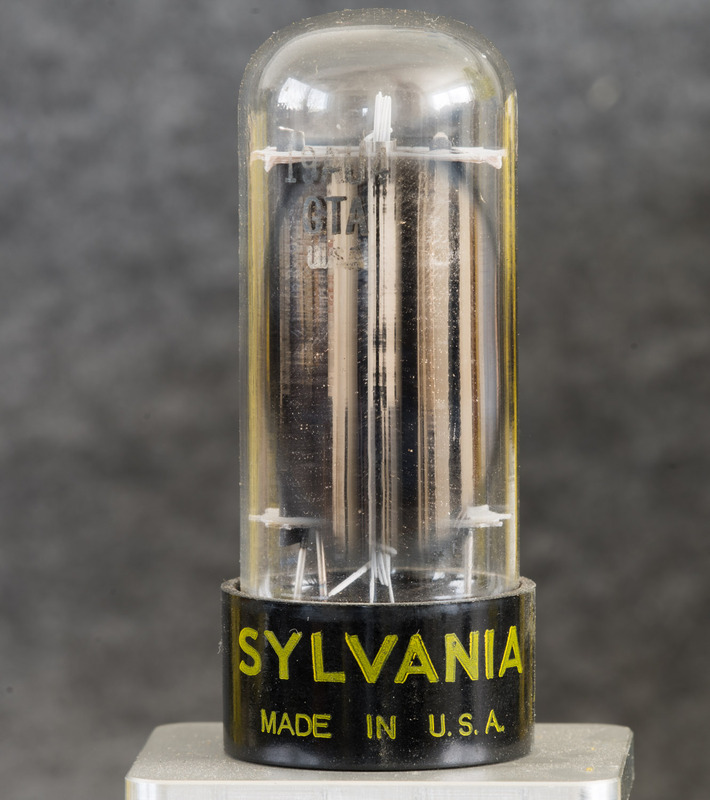 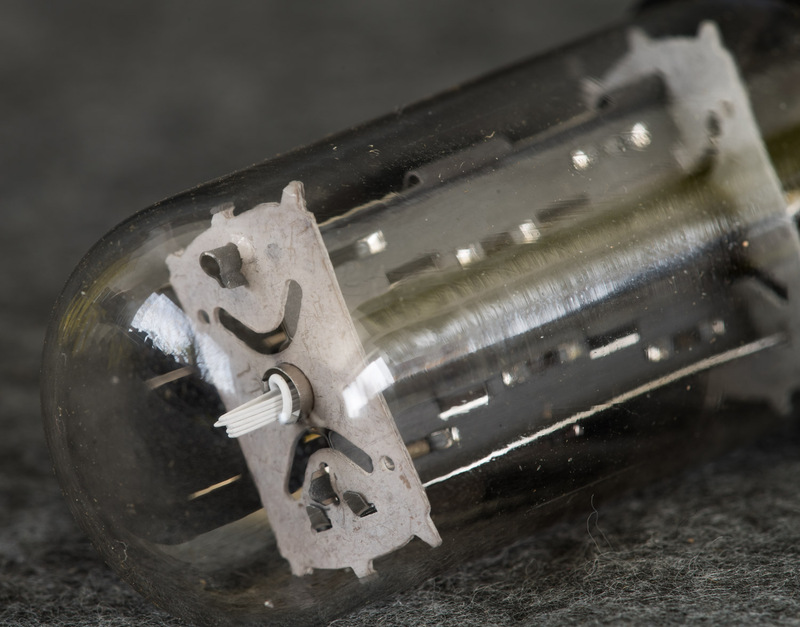 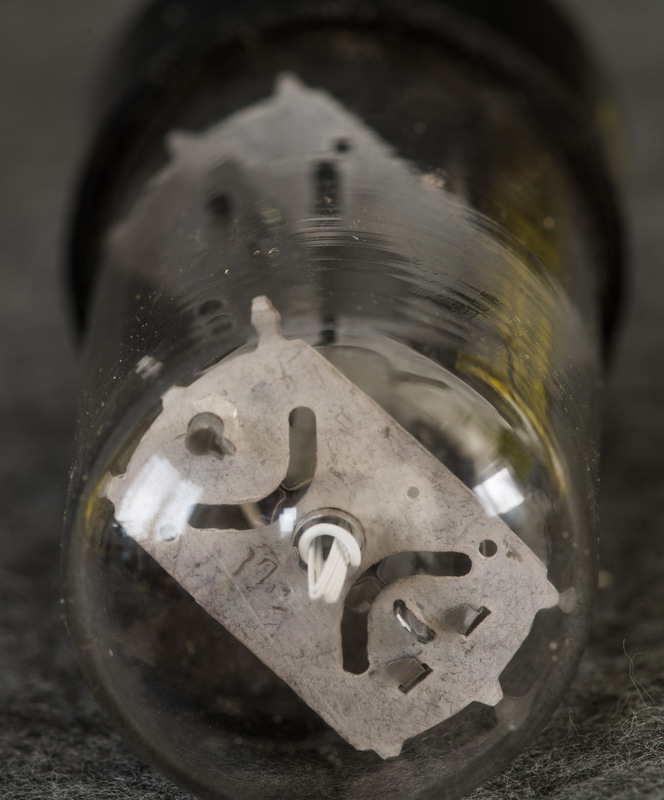 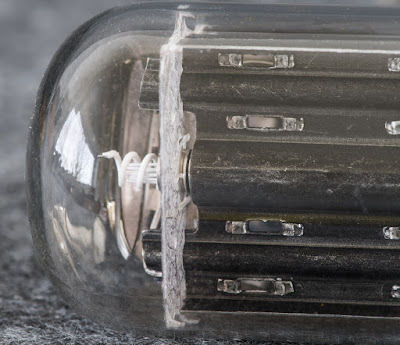 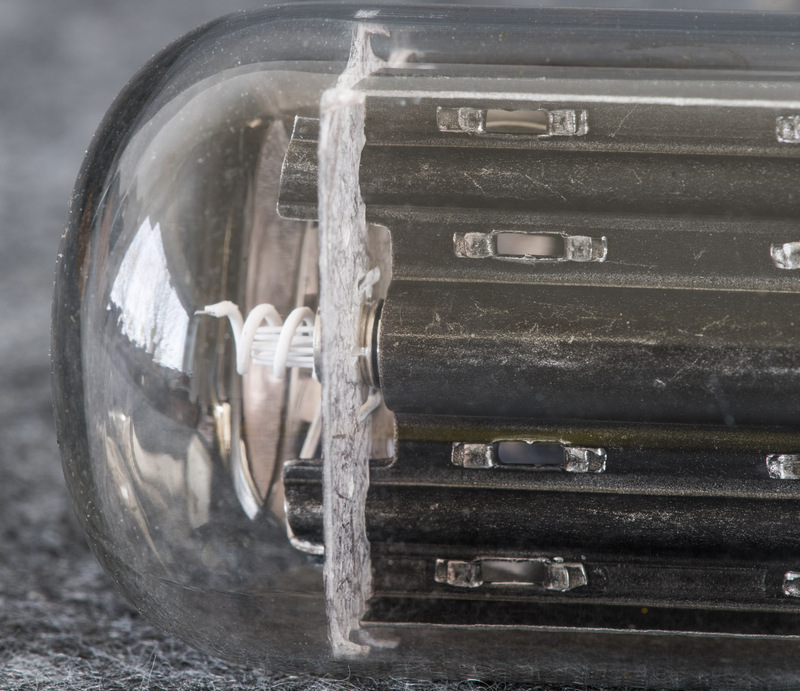 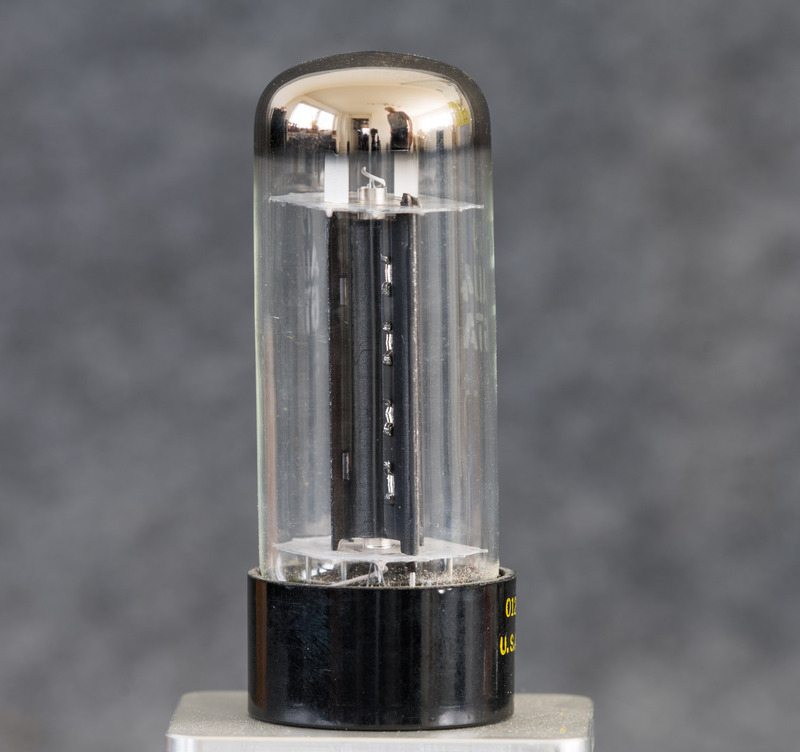 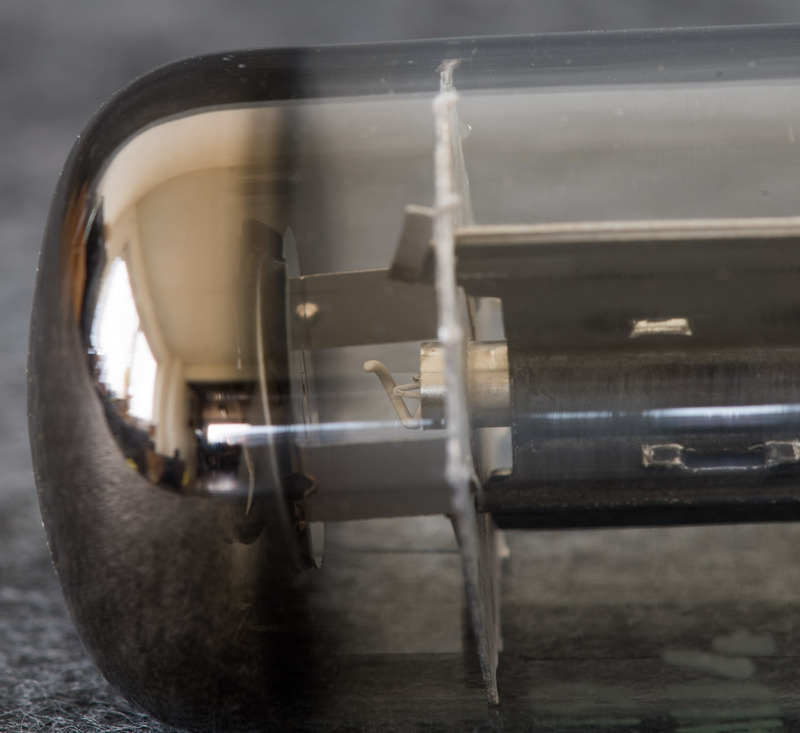 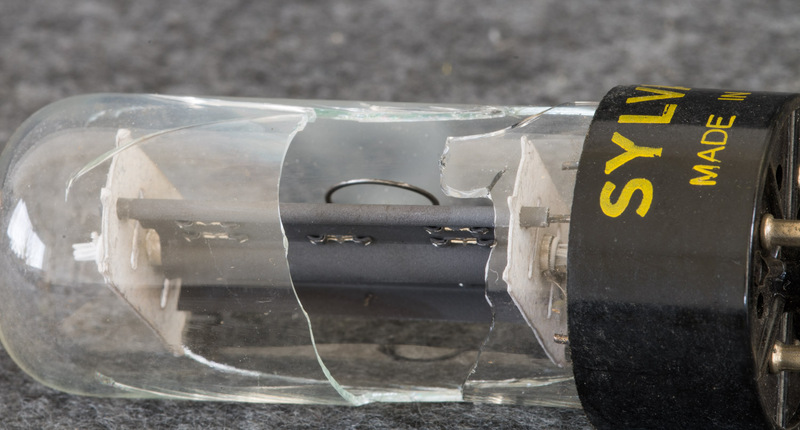 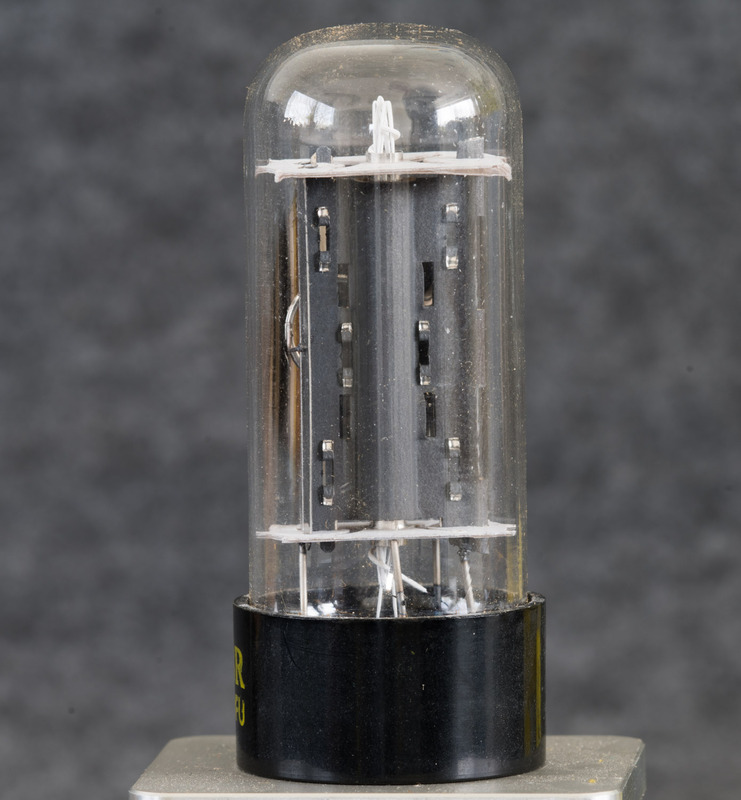 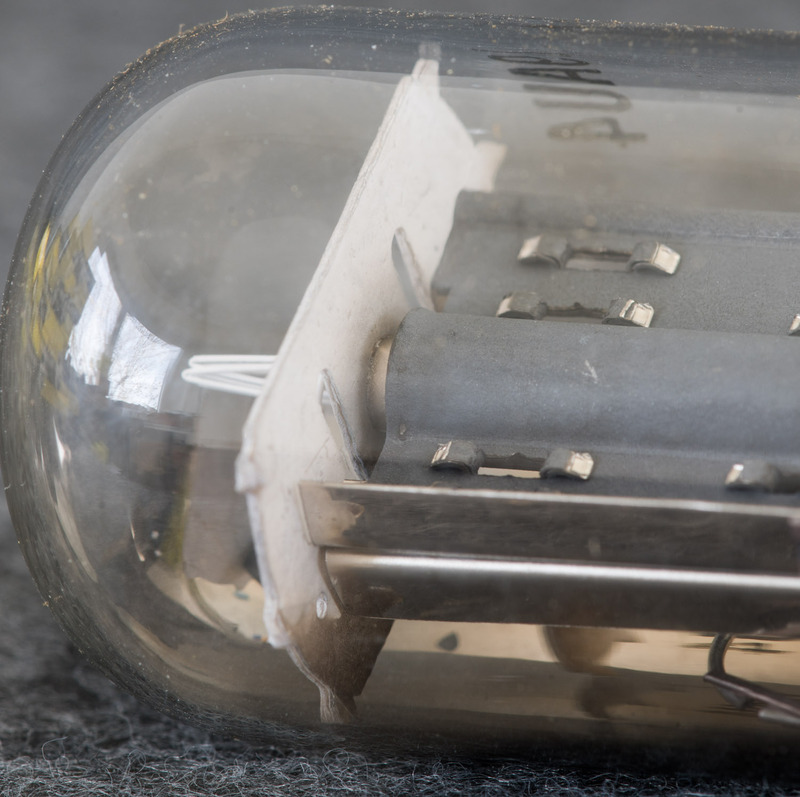 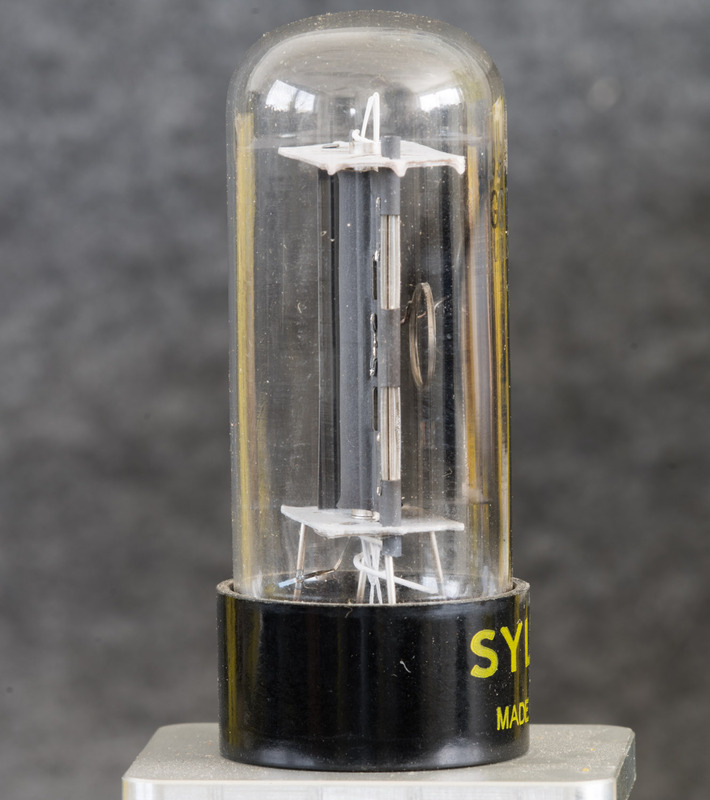 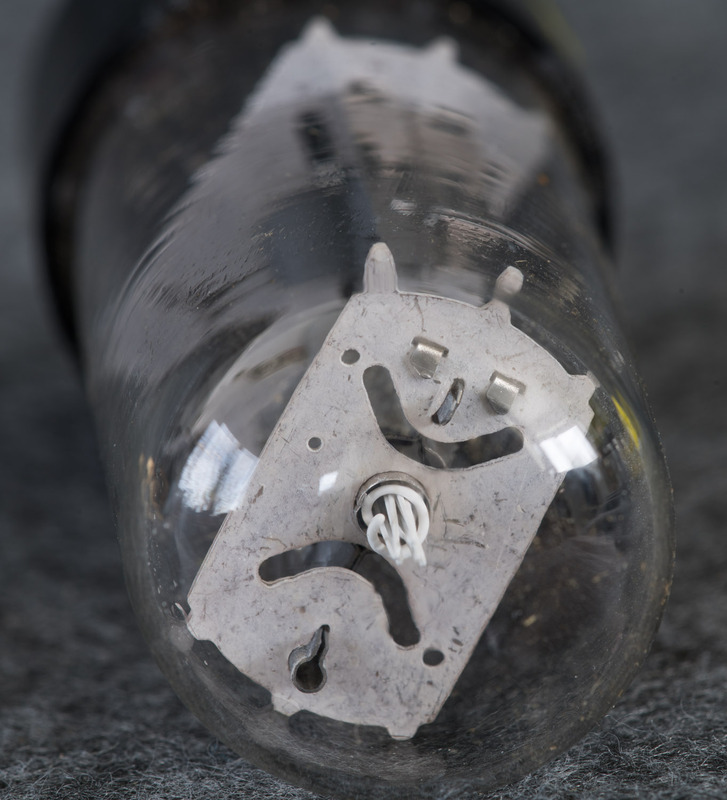 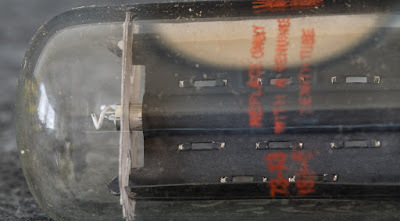 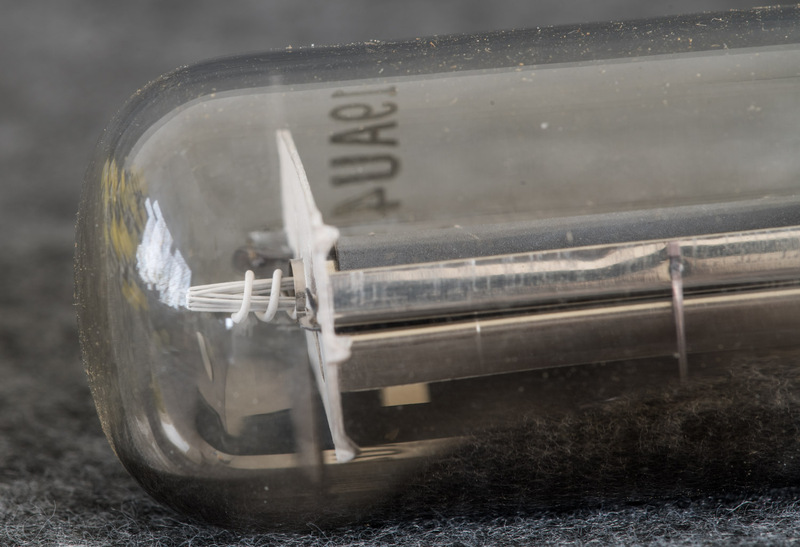 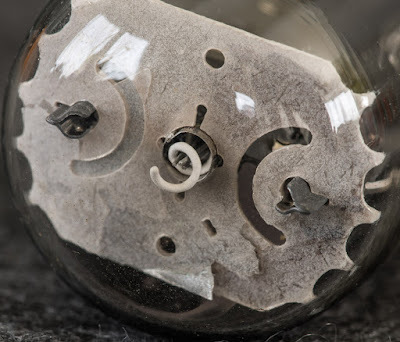 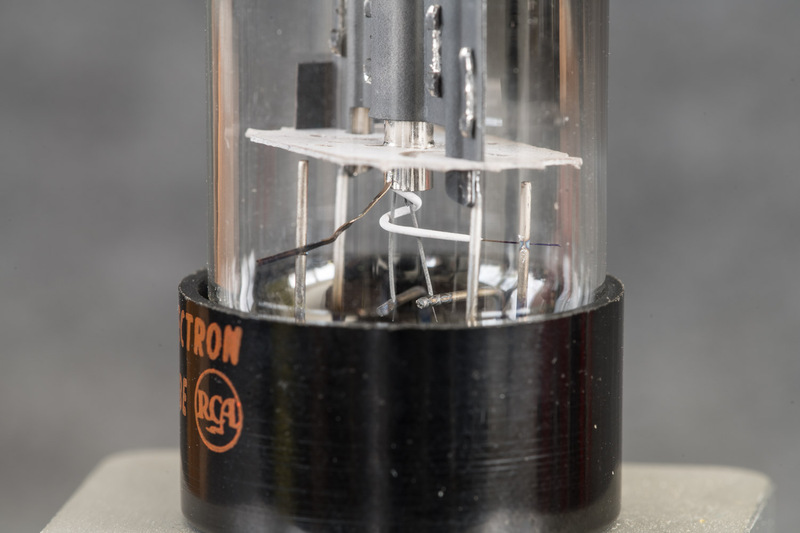 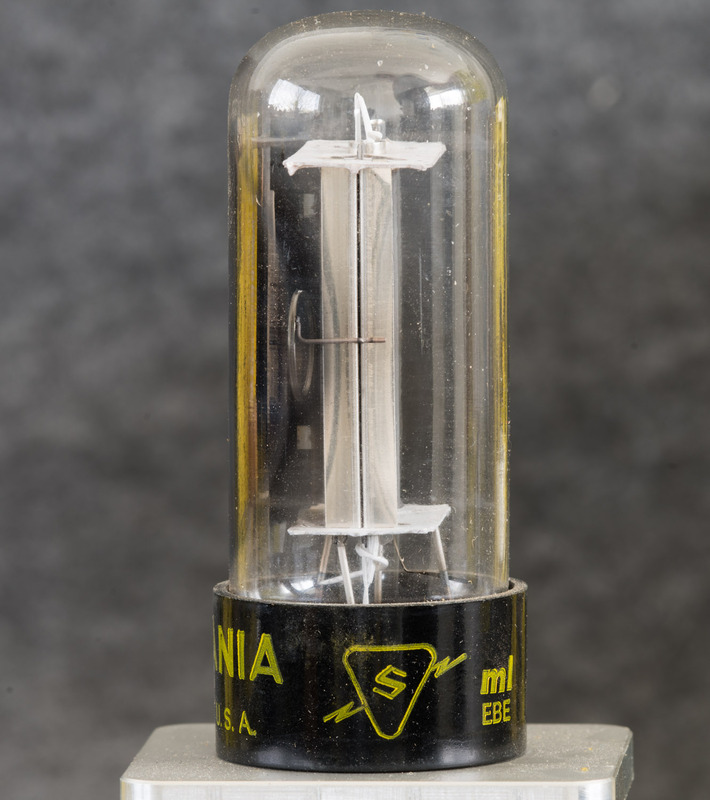 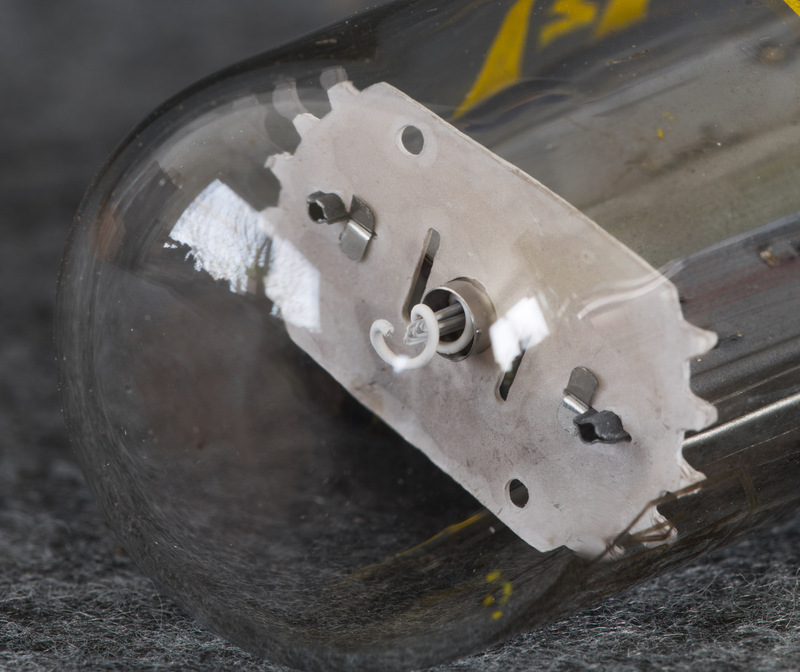 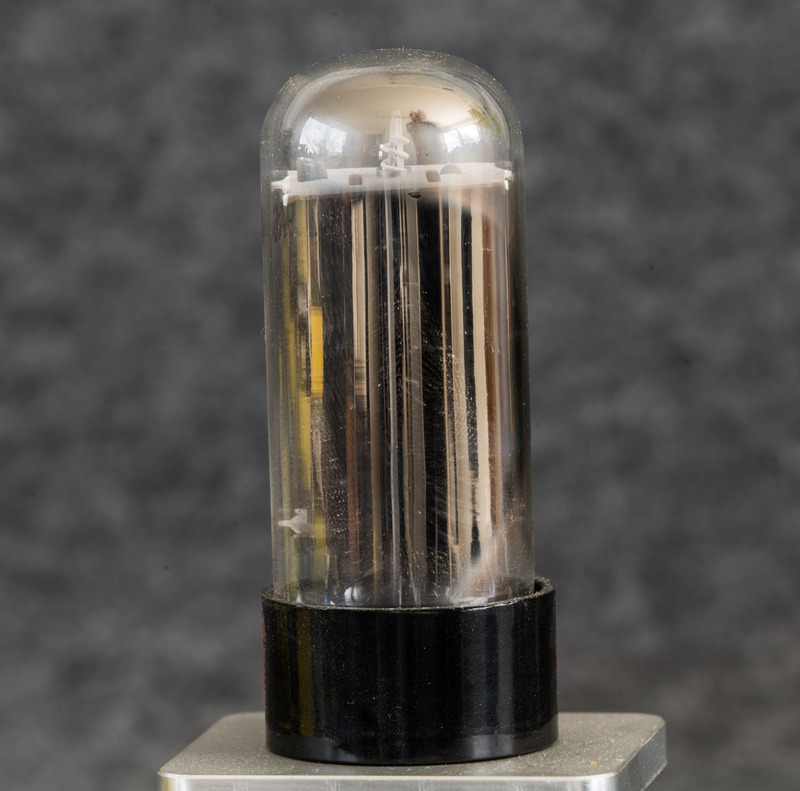 Many TV tubes have been made with variants which differed in heater voltage. 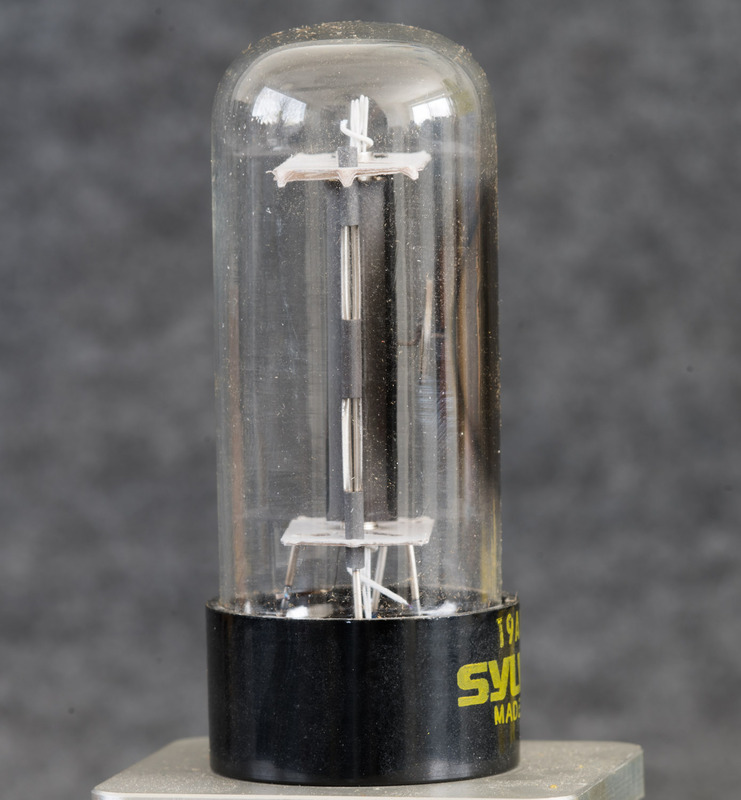 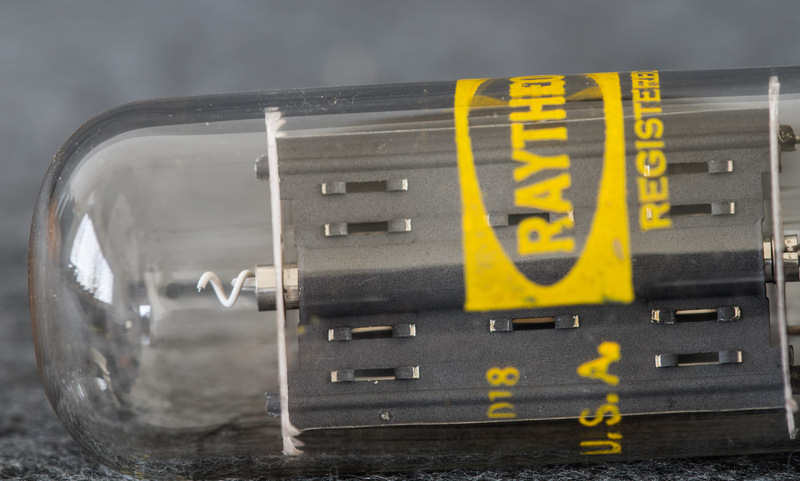 While the standard 6.3V heater types are intended for parallel heating, variants had been introduced which could be heated in series with other tubes in a TV set which use the same heater current. The 19AU4 is such a variant and is equivalent to the 6AU4 except it has a heater rated at 18.9V and 600mA. 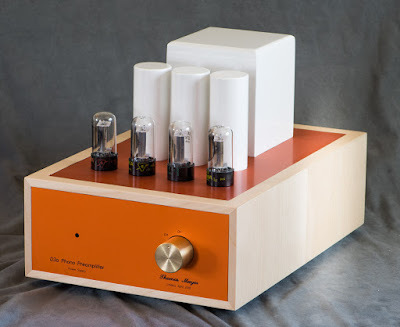 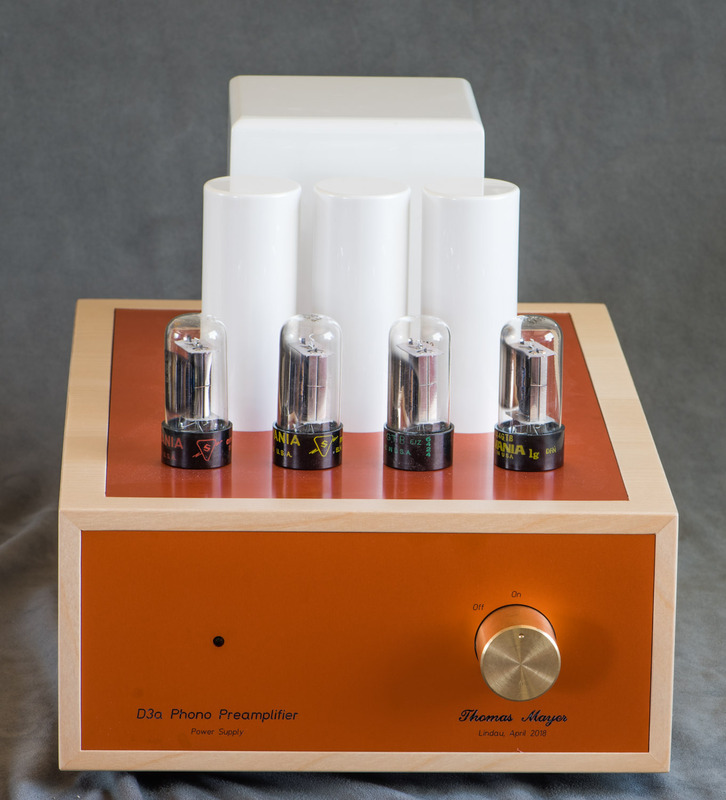 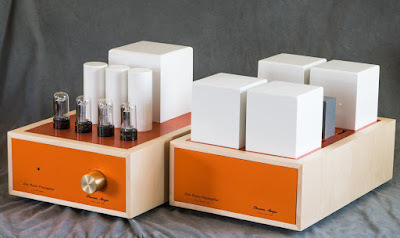 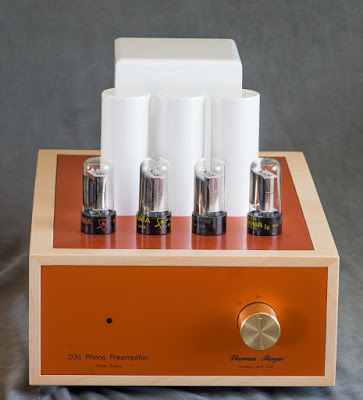 For in depth details about this family of tubes refer to the 6AU4 tube of the month post. Of course the 19AU4 also shares the same octal base with the 6AU4 and can be used in the same applications if the heater supply is changed accordingly. 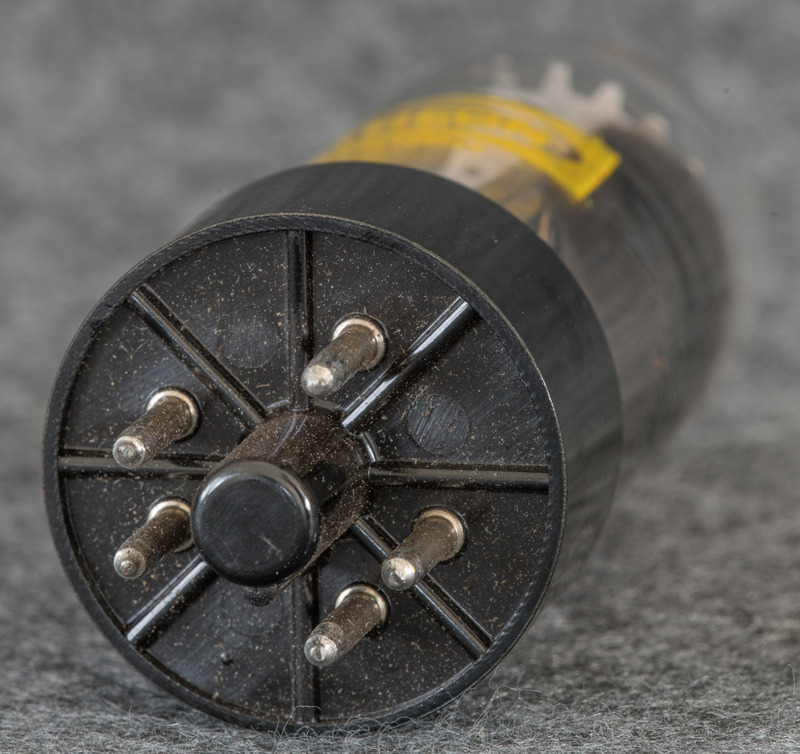 While prices for 6.3V heater TV damper seem to go up a bit, these variants with odd heater voltages remain dirt cheap and are available in abundance. 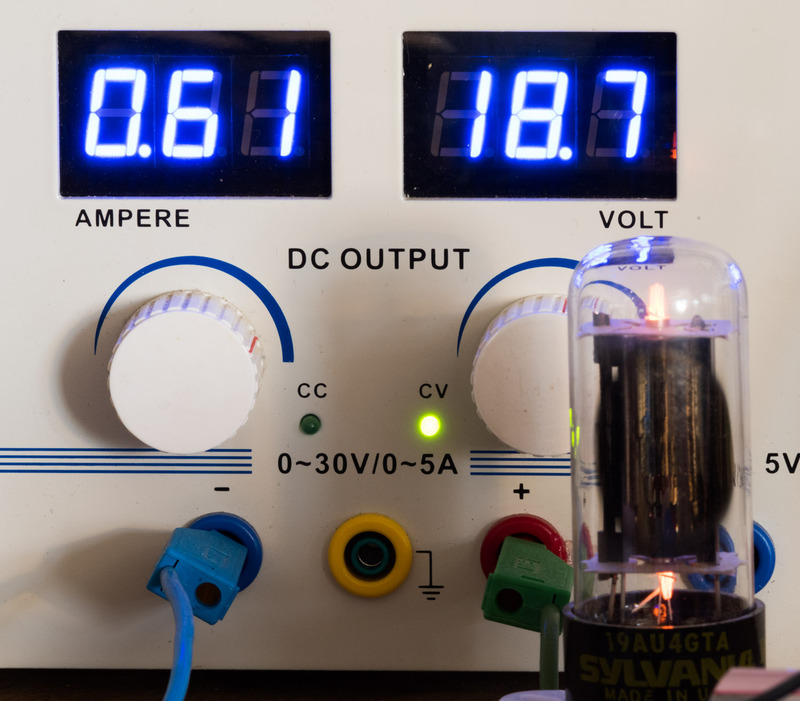 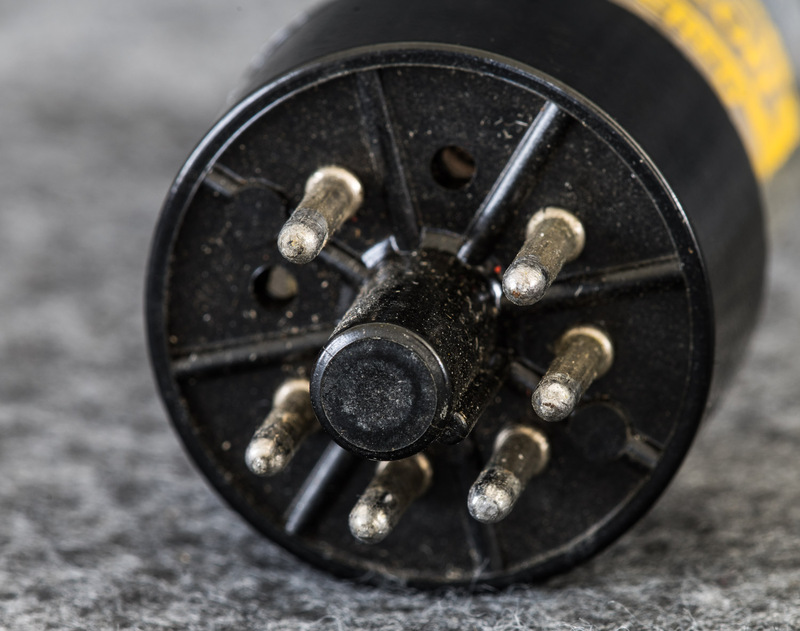 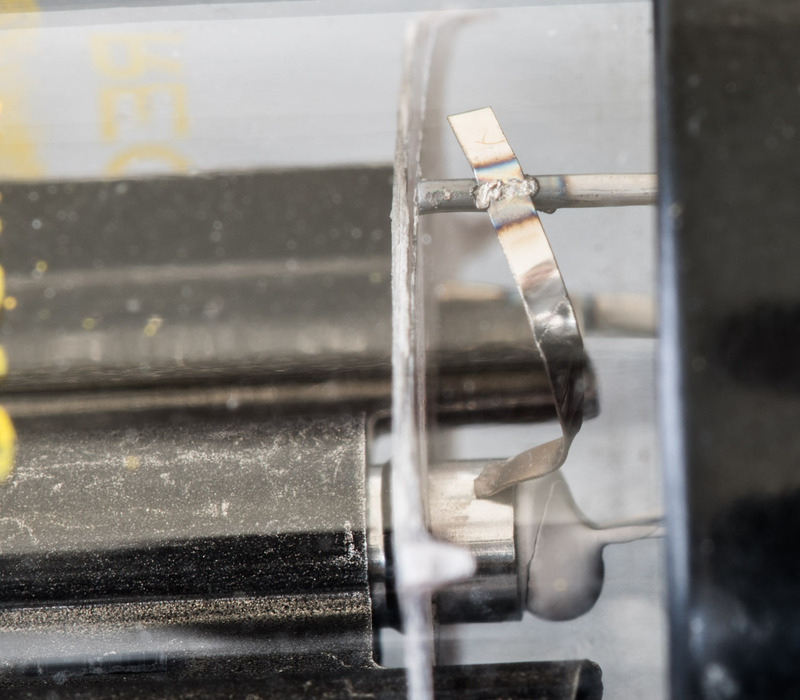 If the 18.9V are not readily available a dropping resistor from a higher voltage, say 24V is an easy solution. 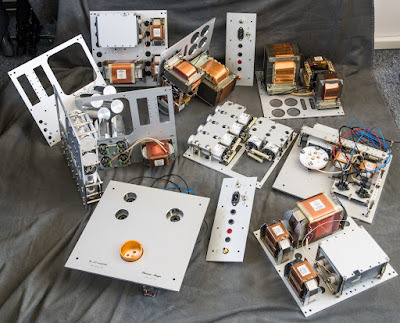 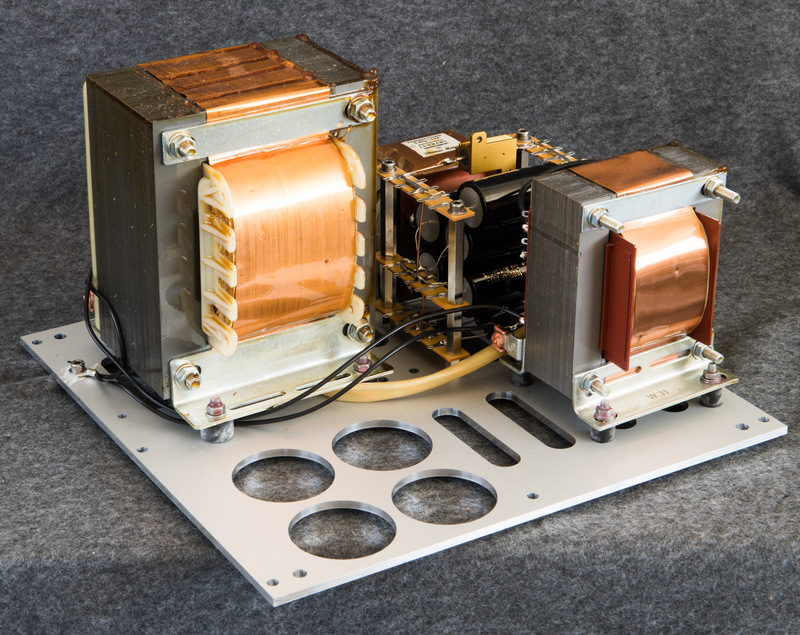 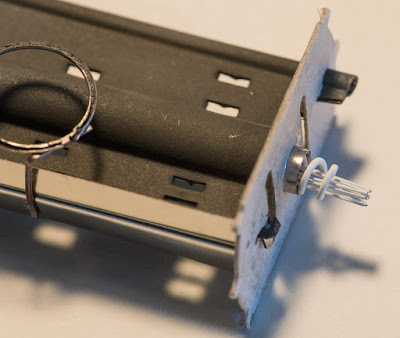 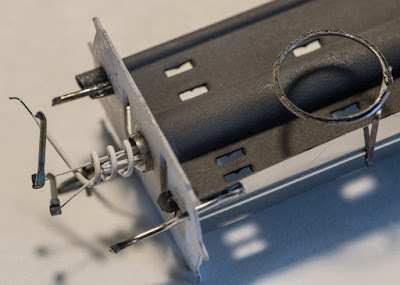 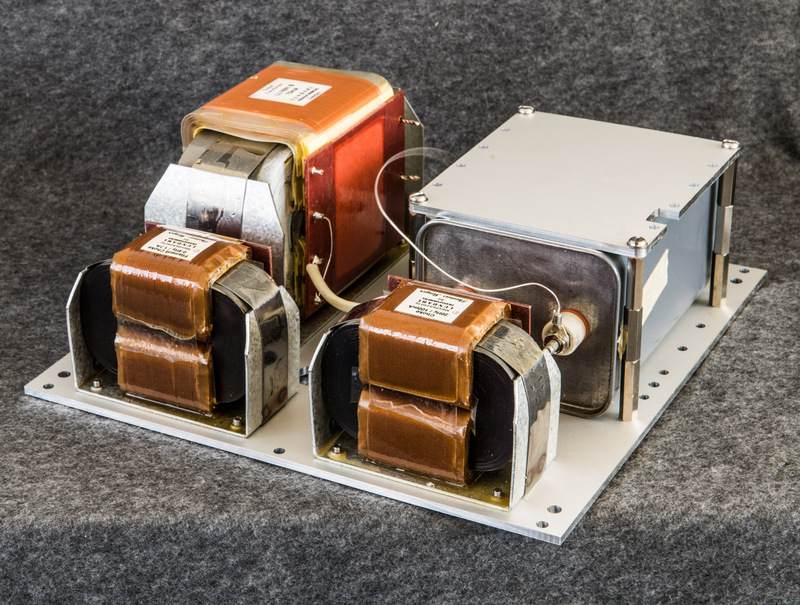 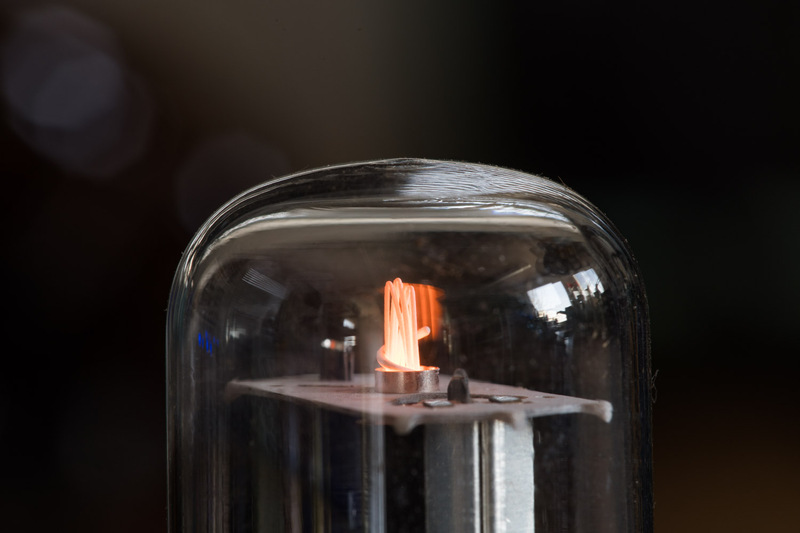 Readers of my blog are aware that I am very fond of TV dampers and use them as rectifiers in virtually all my amps and preamps. 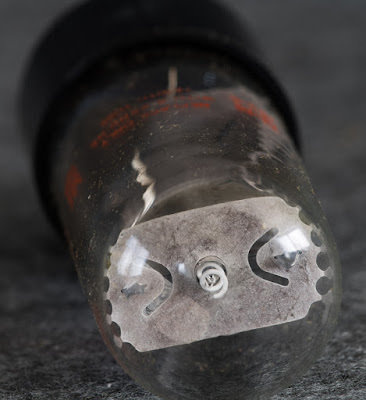 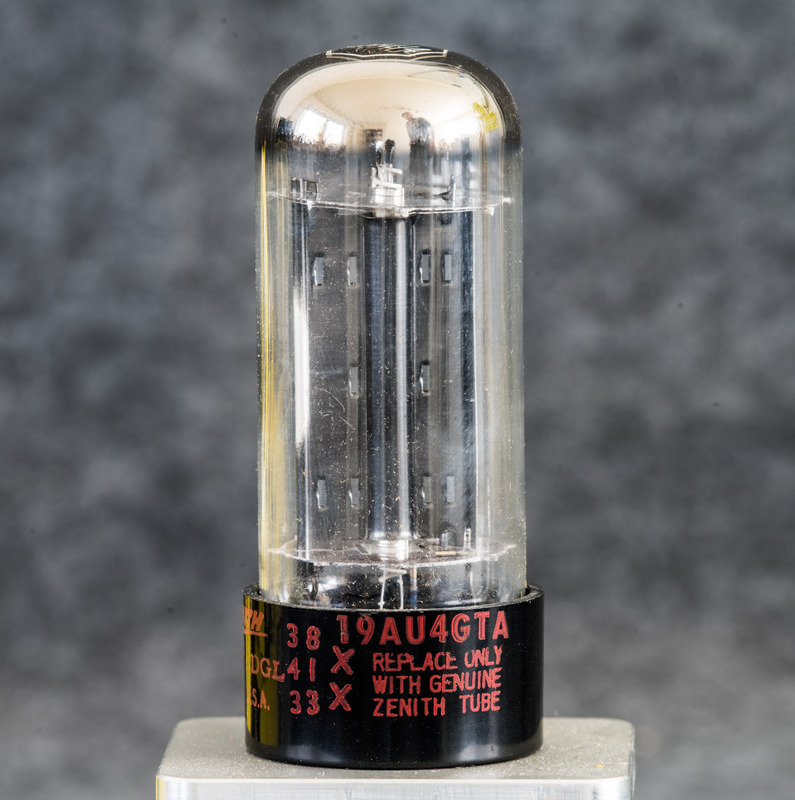 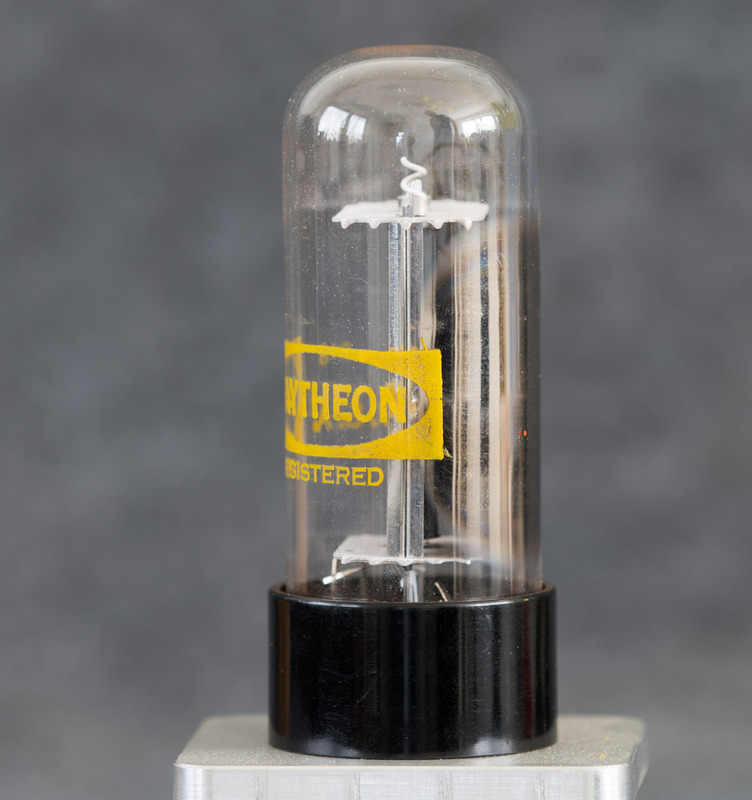 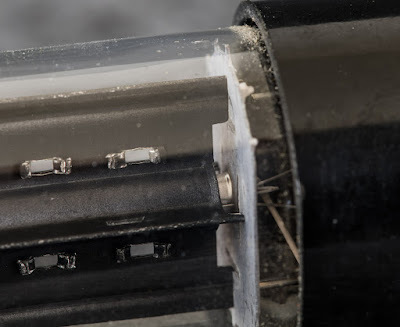 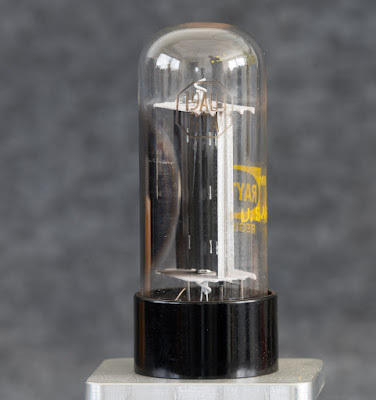 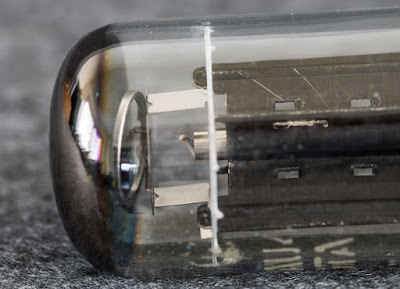 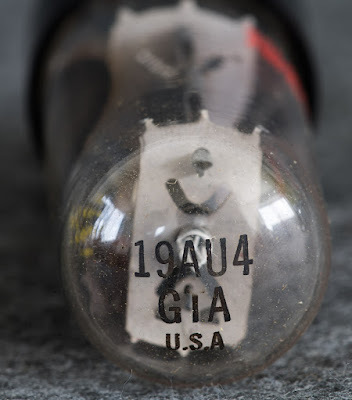 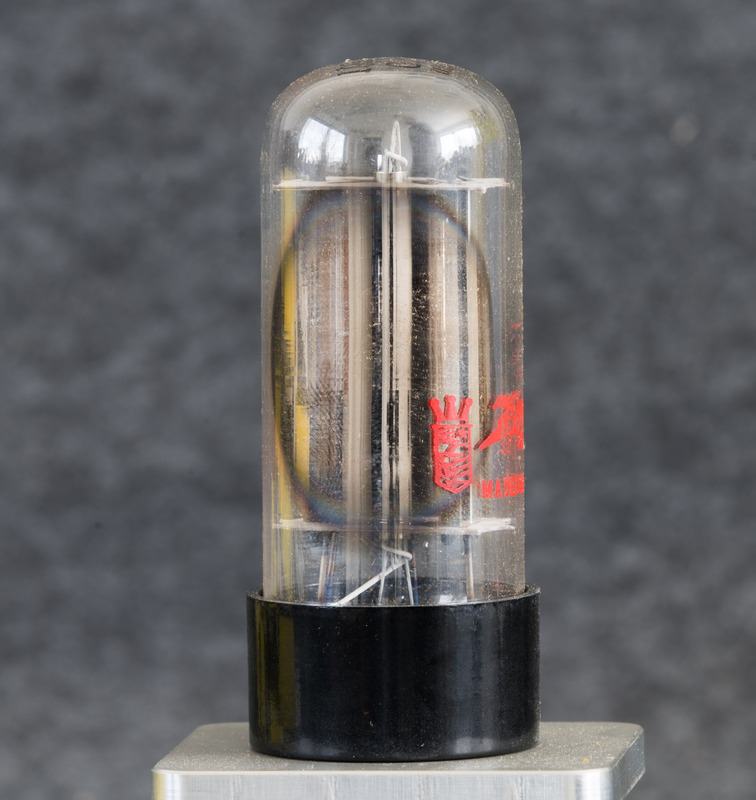 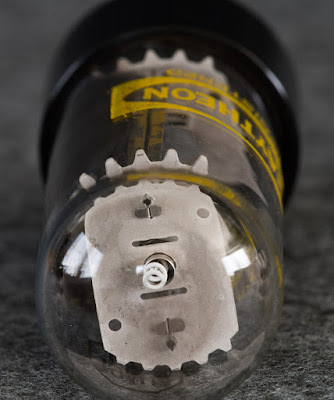 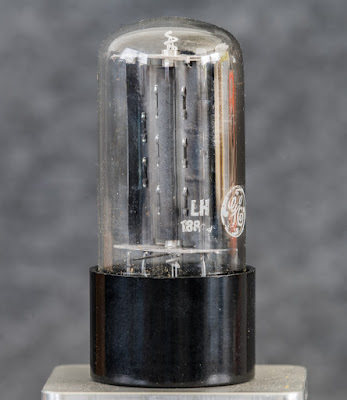 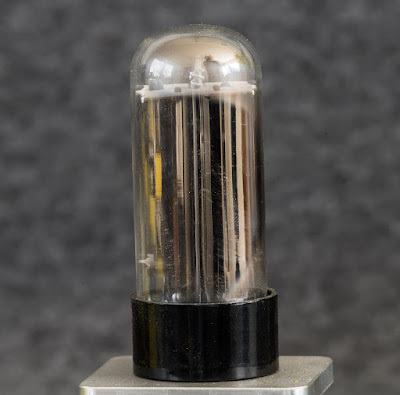 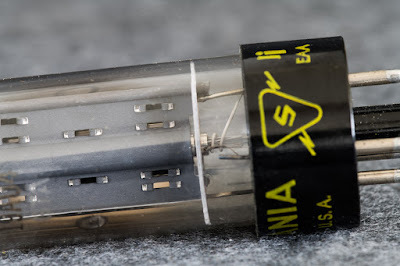 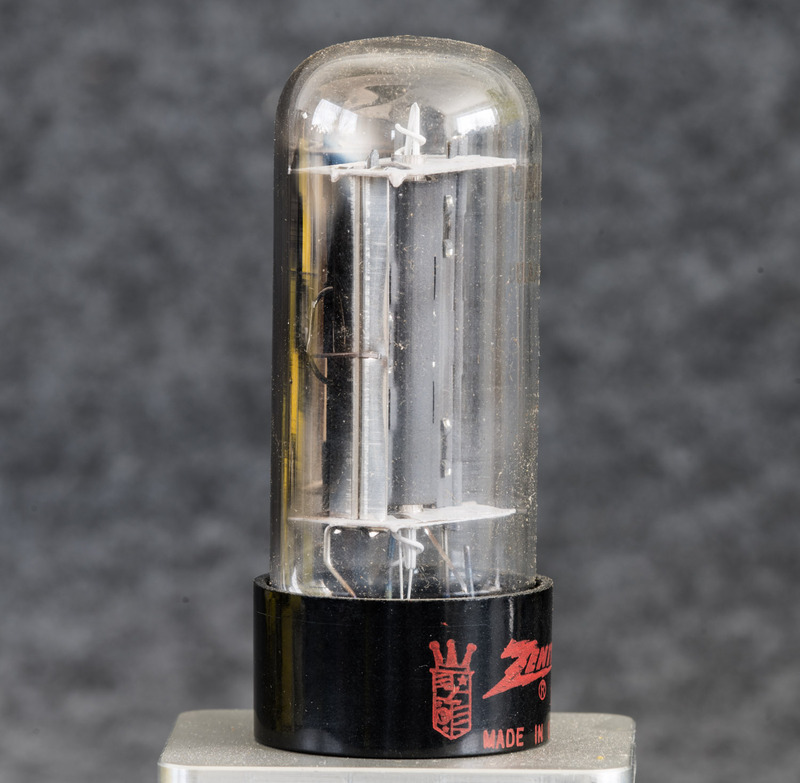 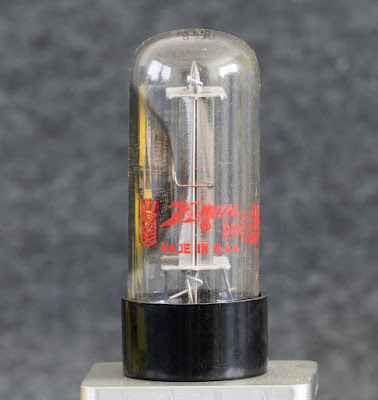 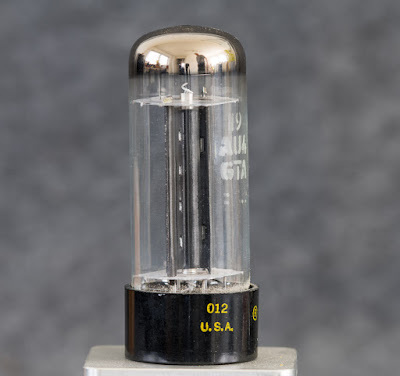 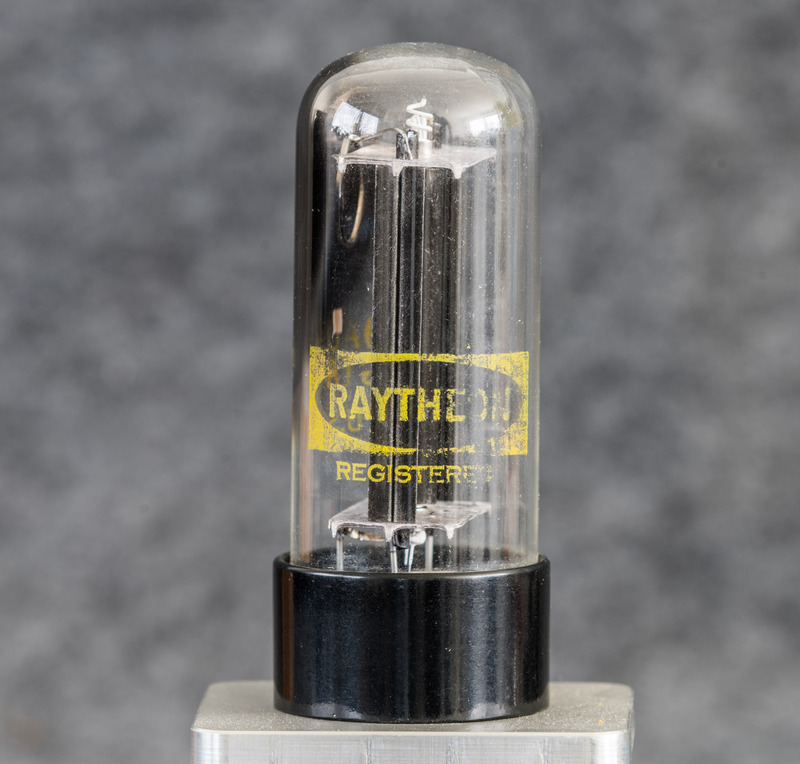 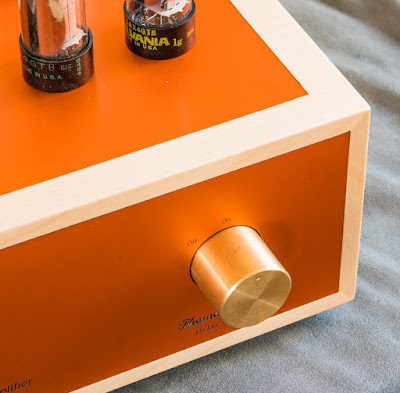 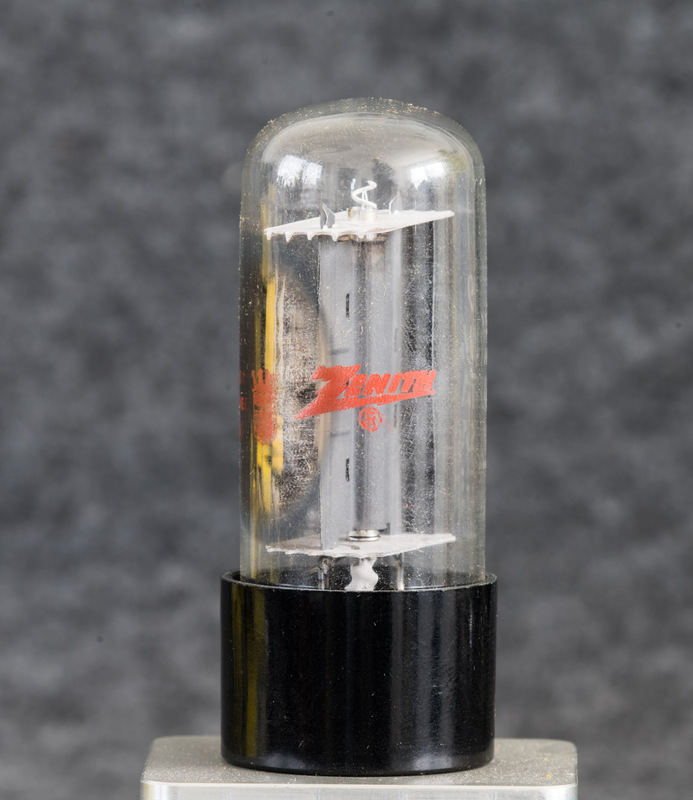 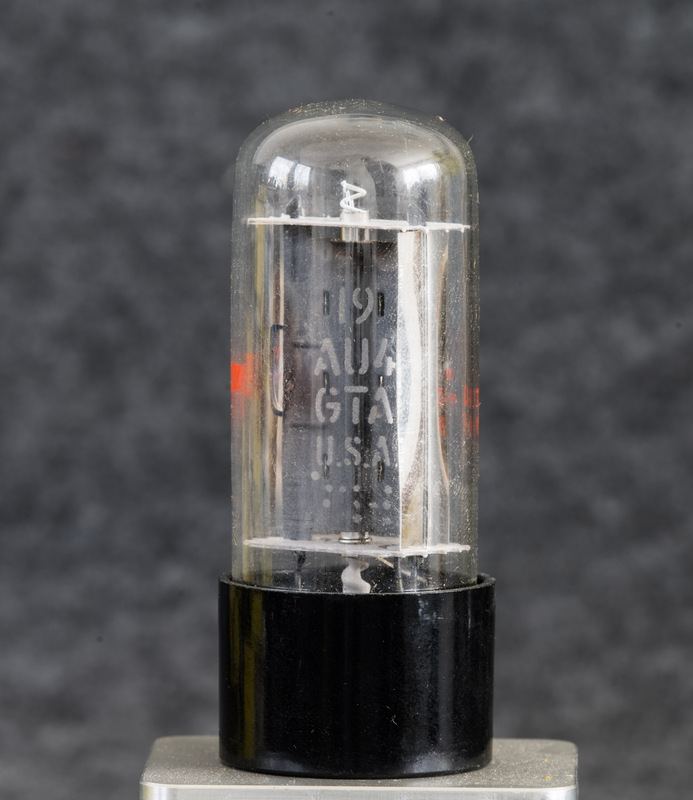 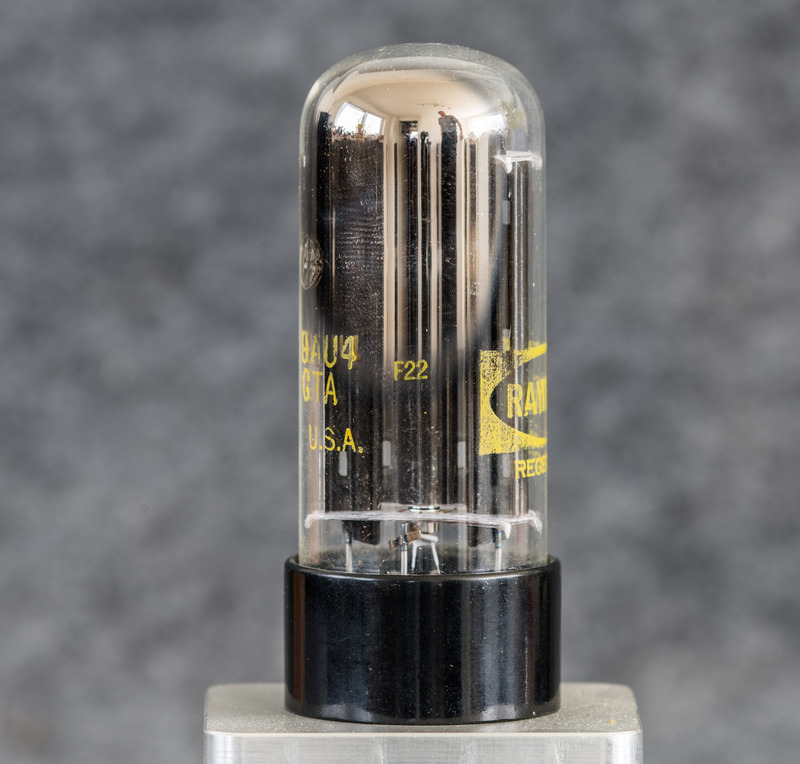 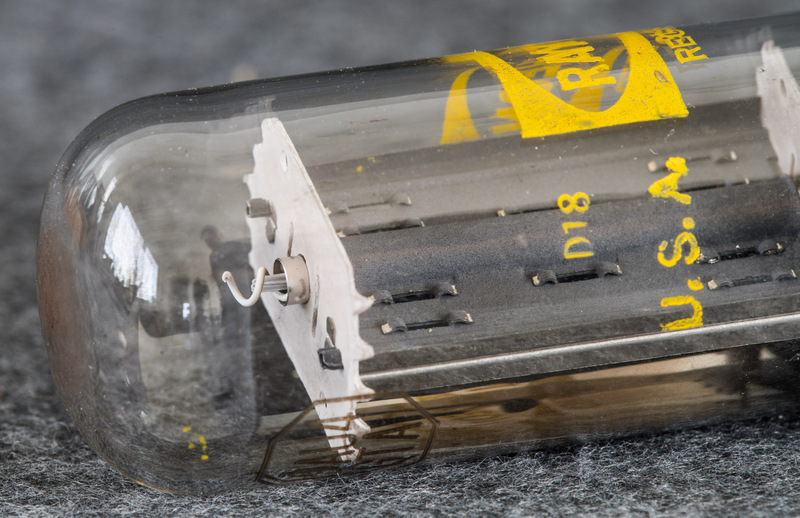 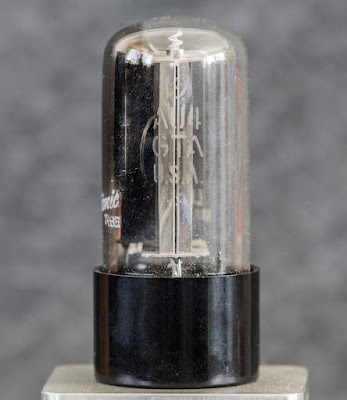 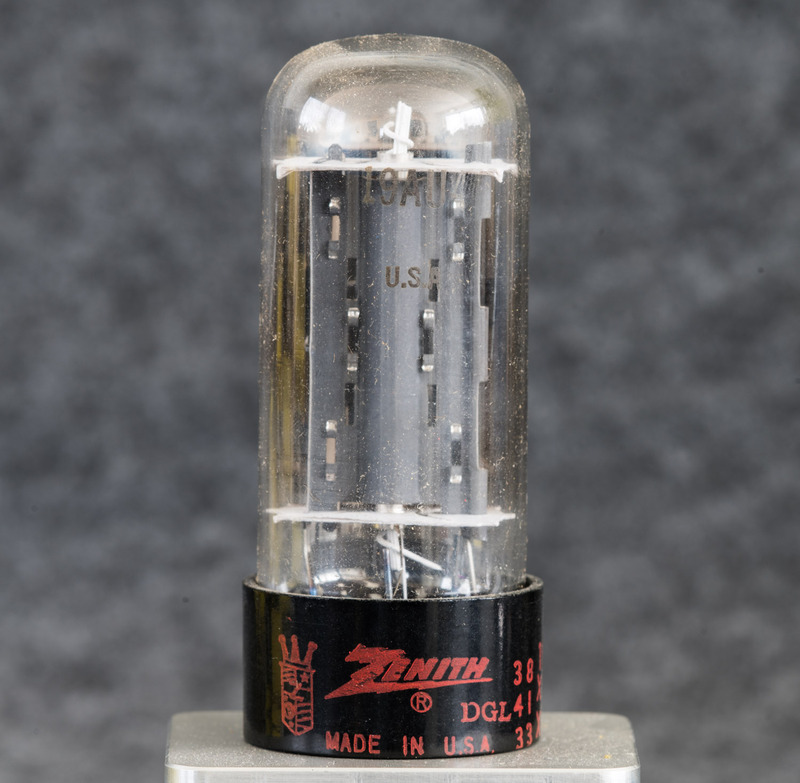 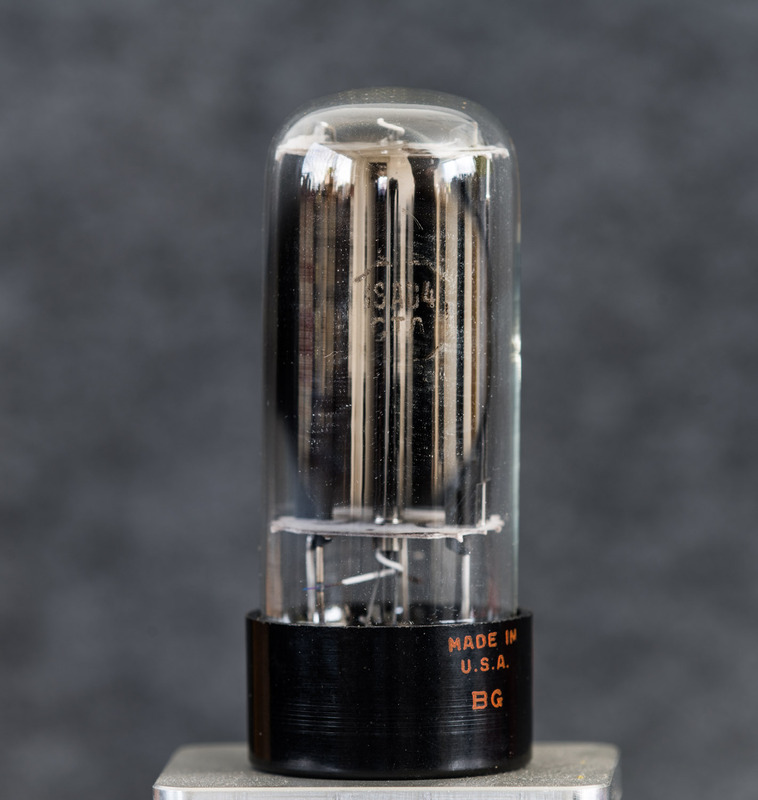 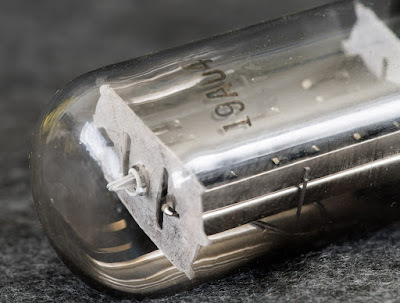 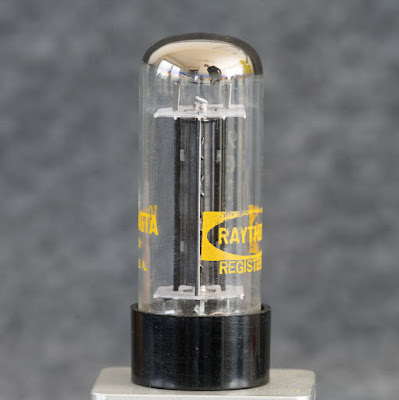 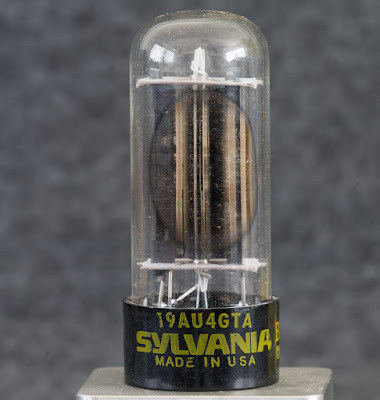 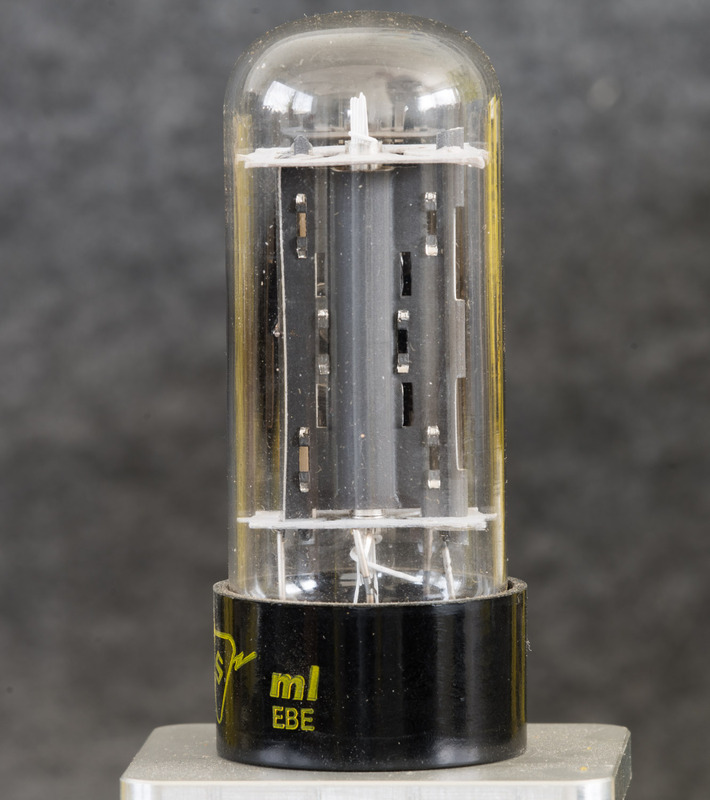 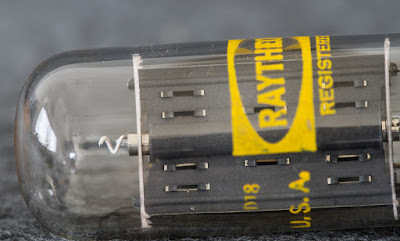 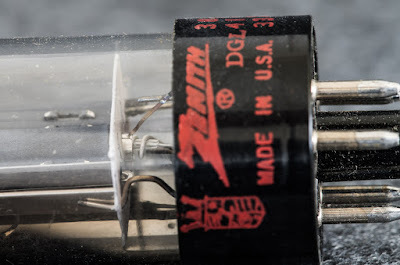 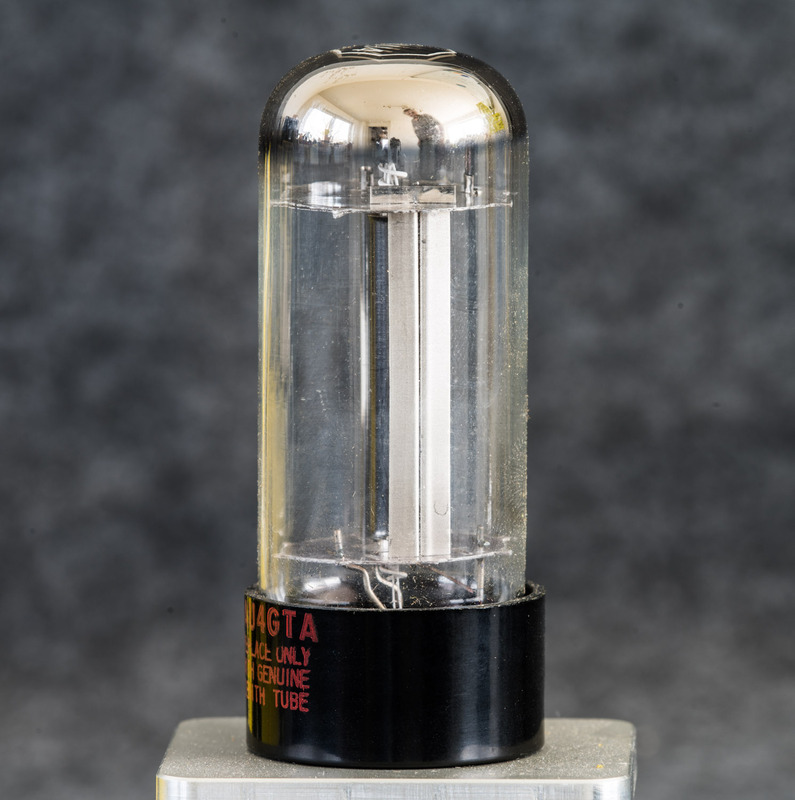 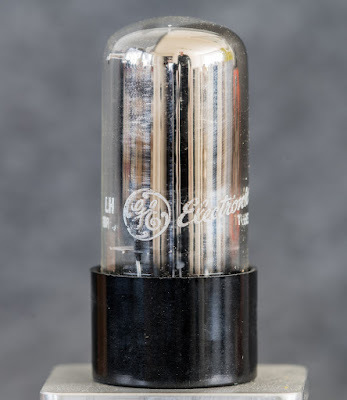 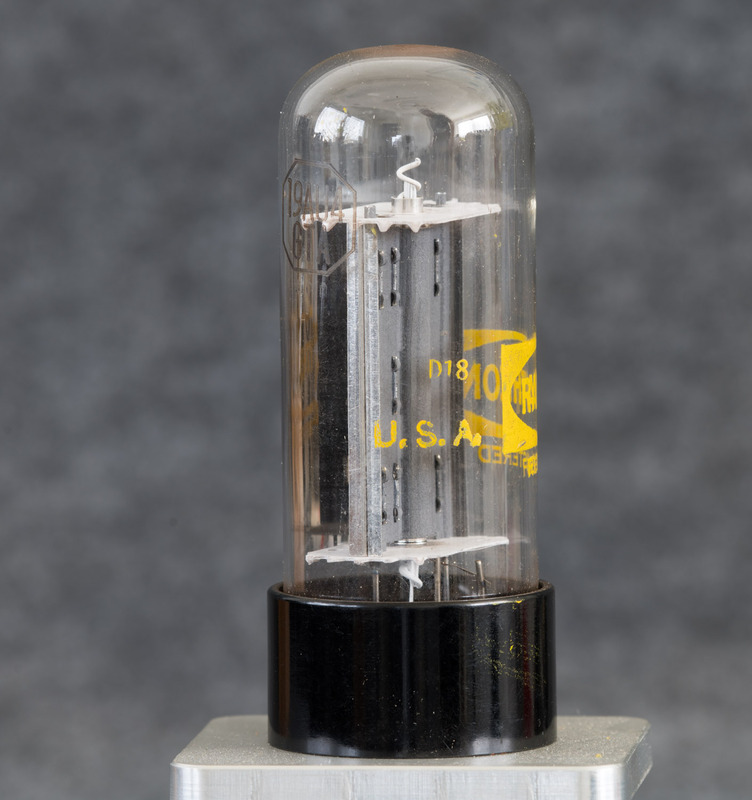 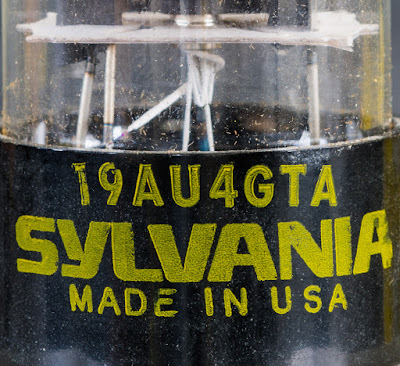 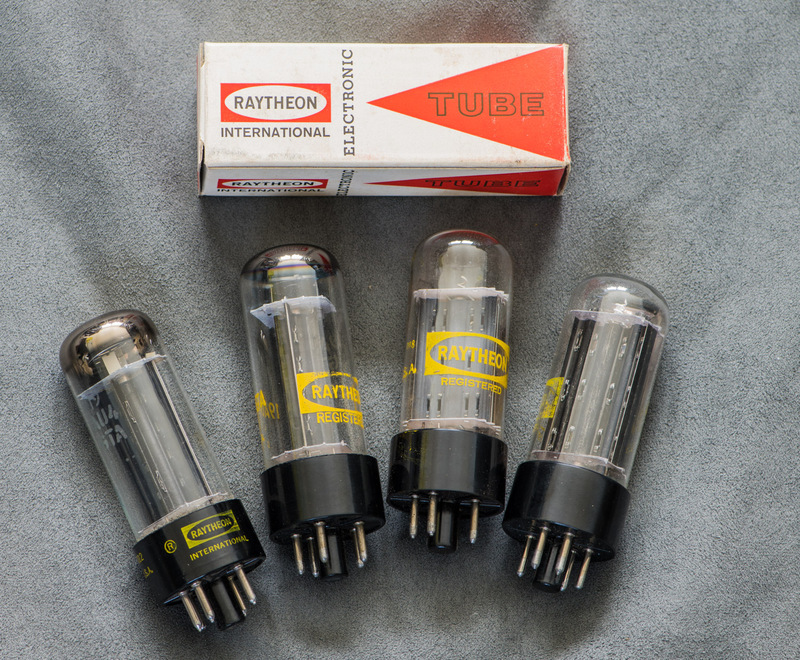 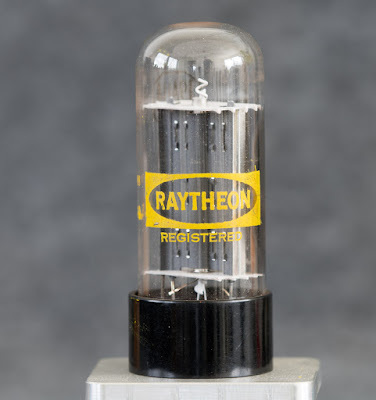 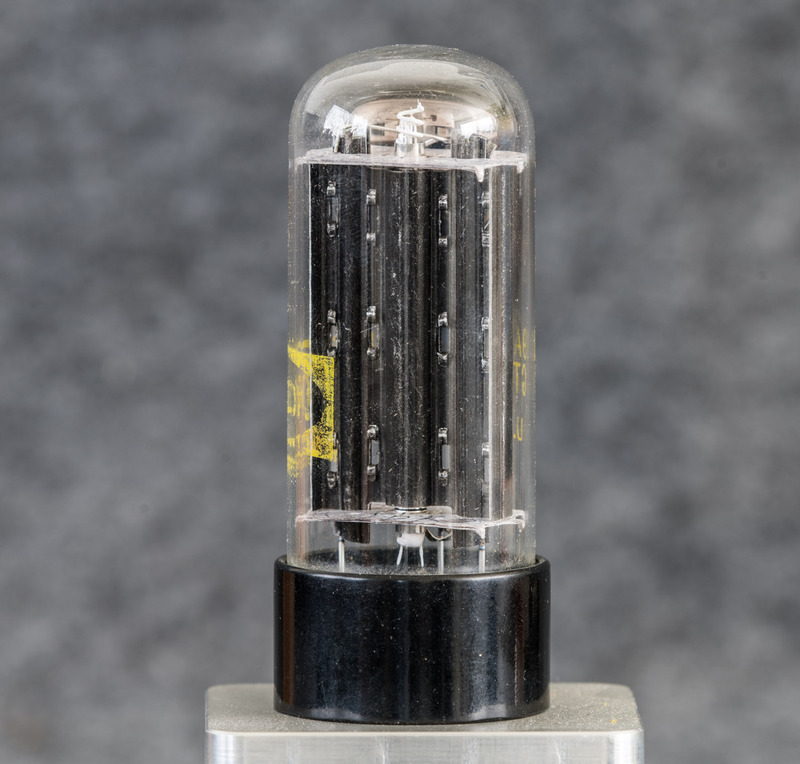 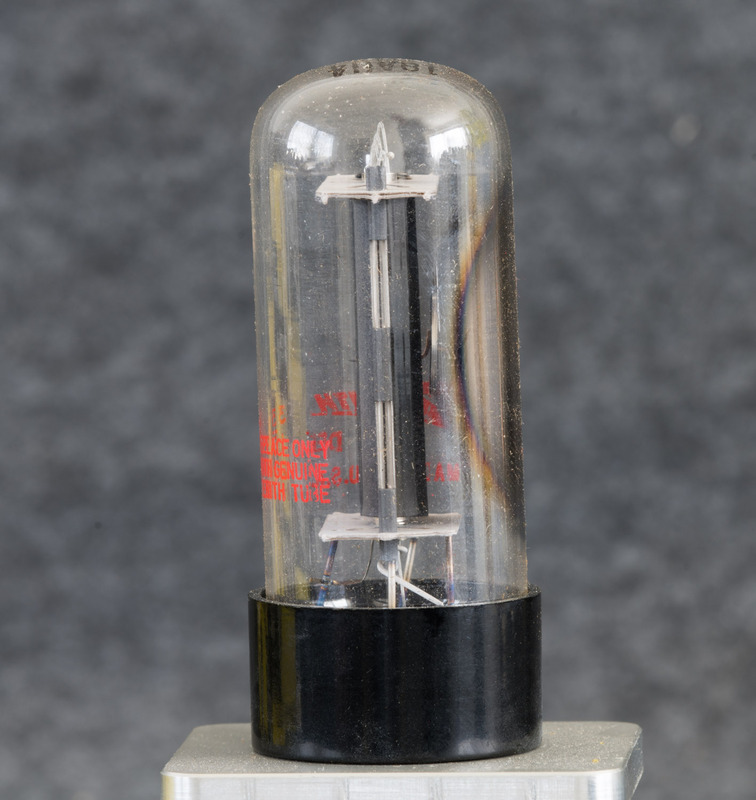 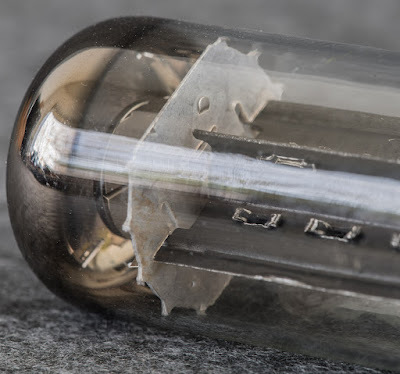 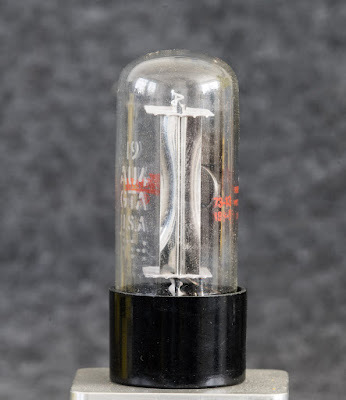 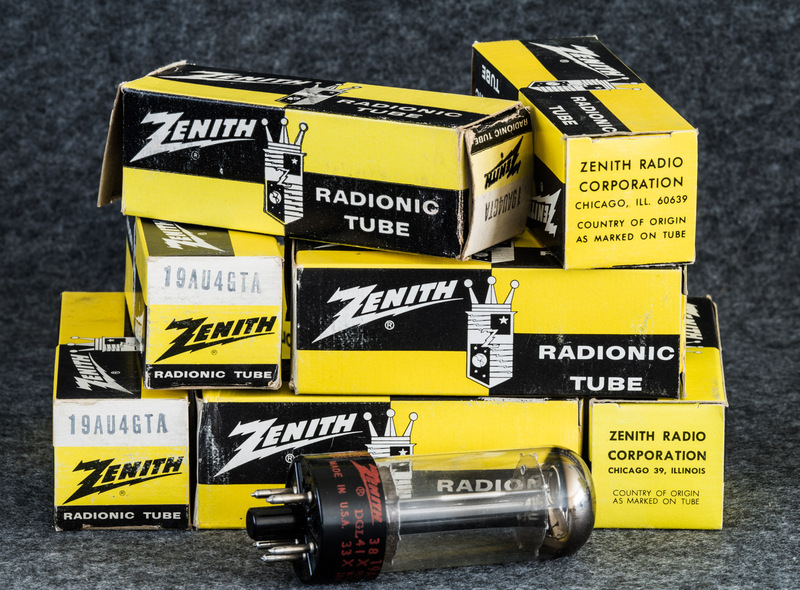 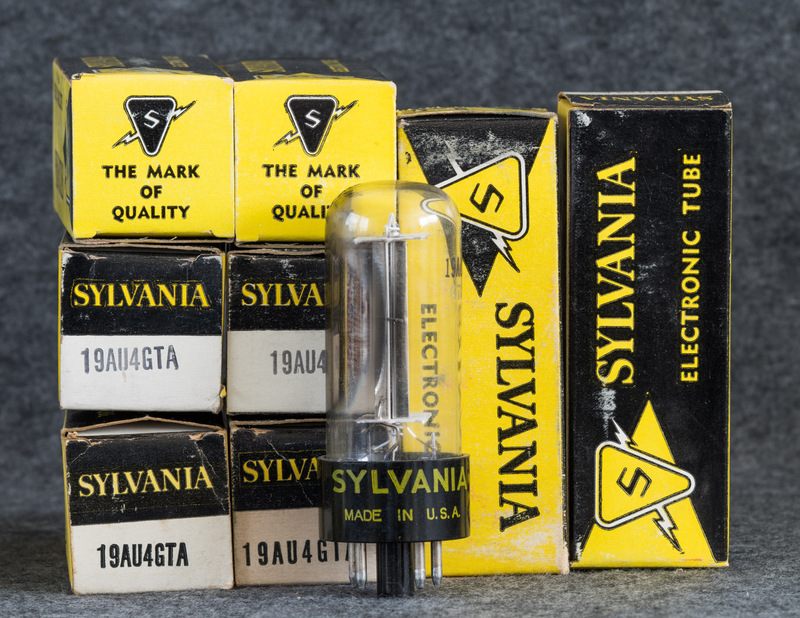 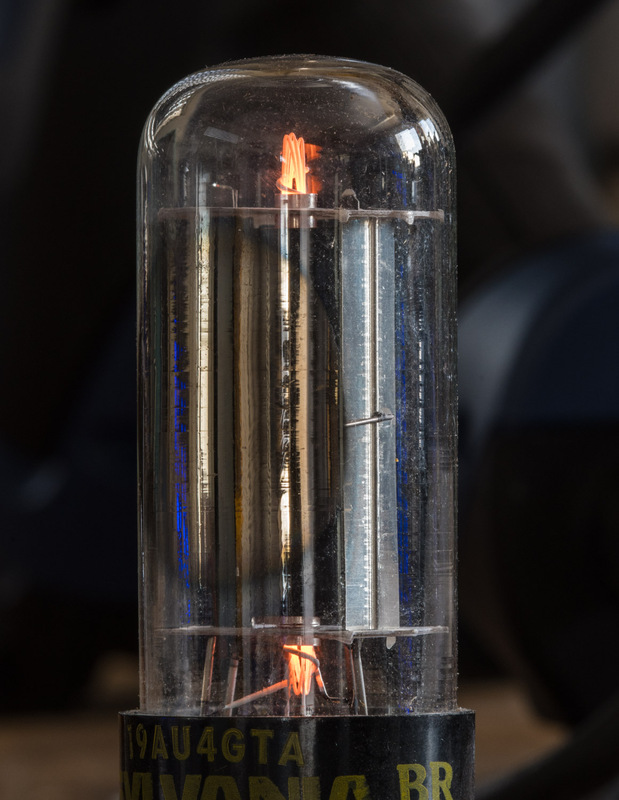 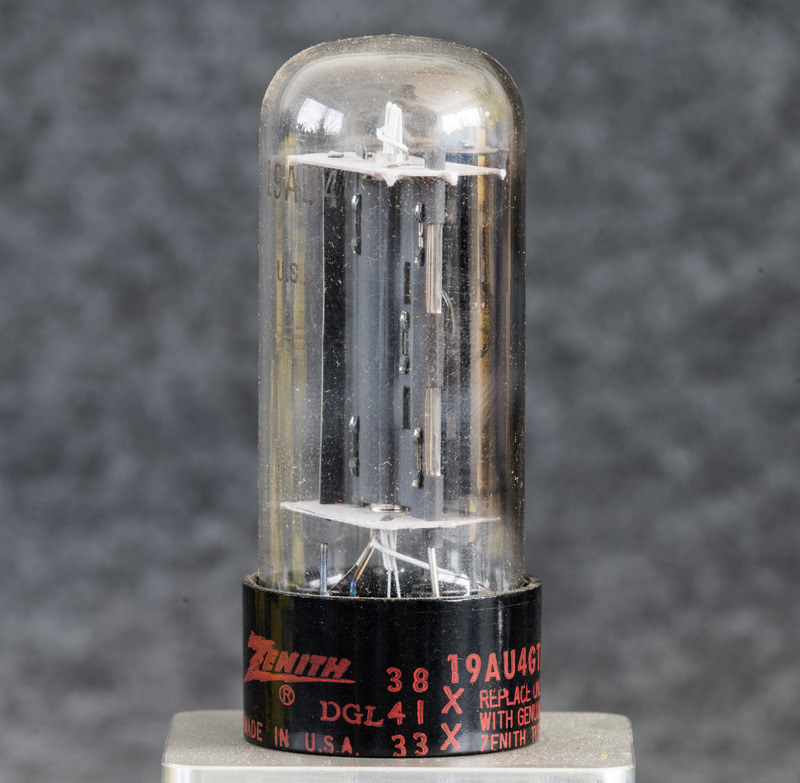 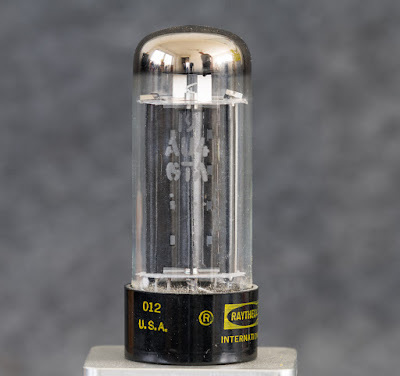 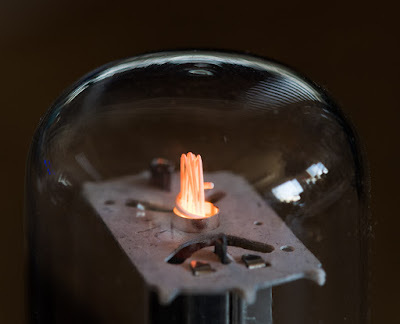 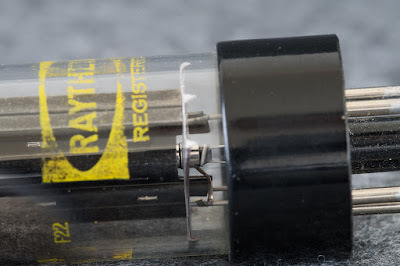 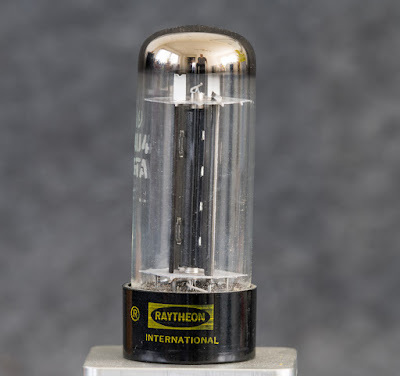 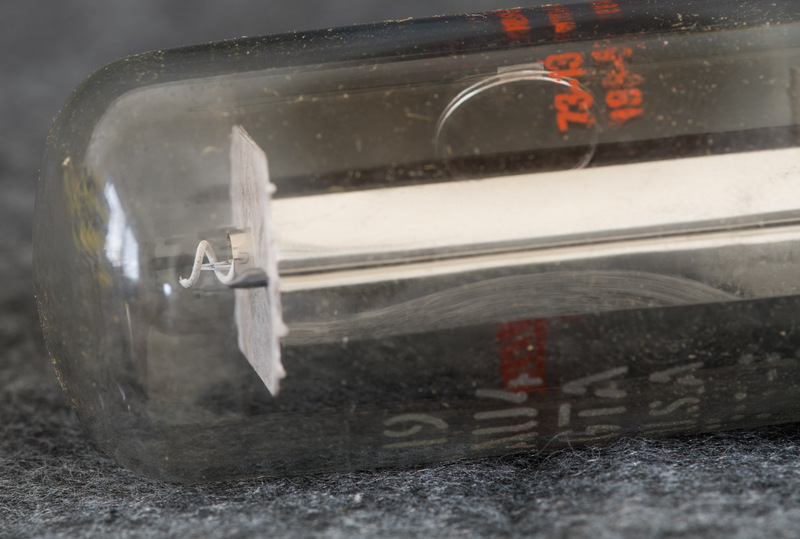 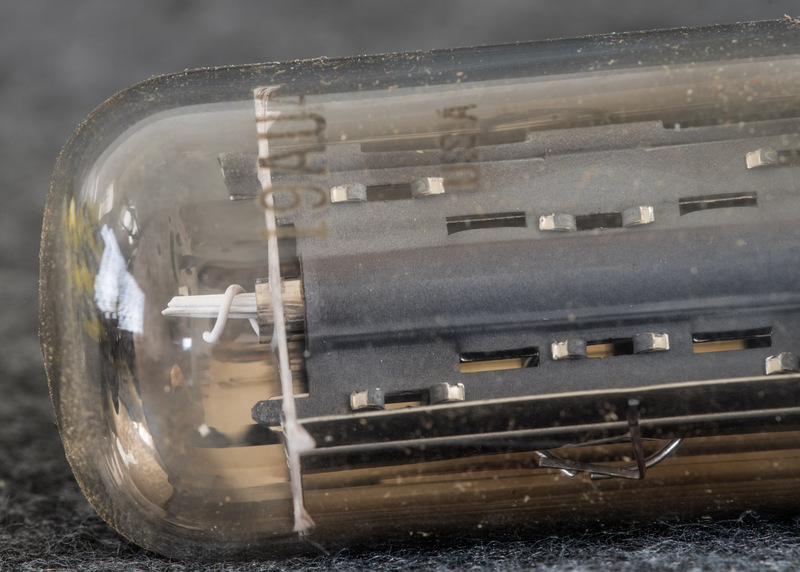 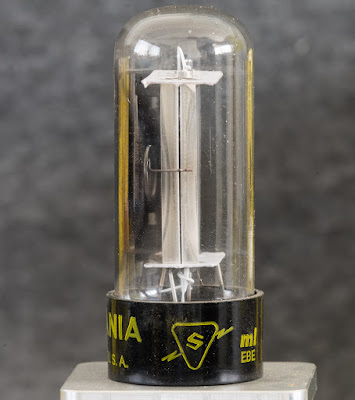 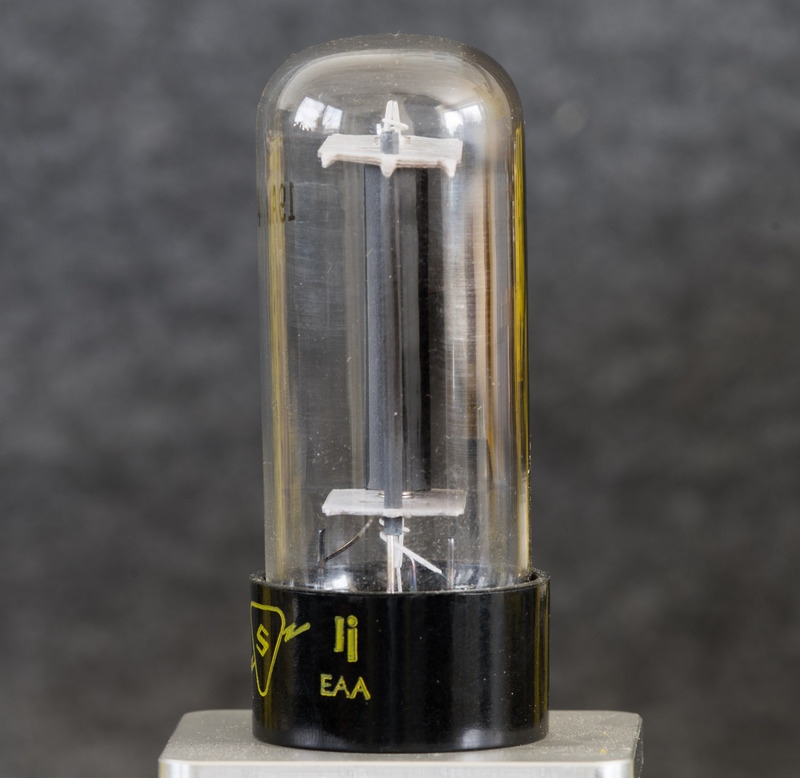 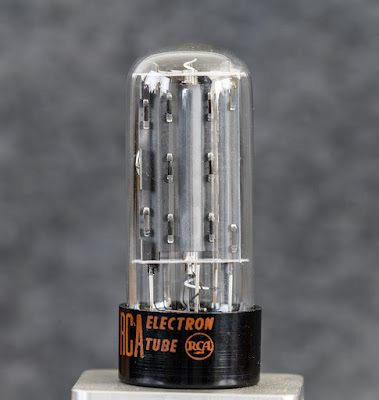 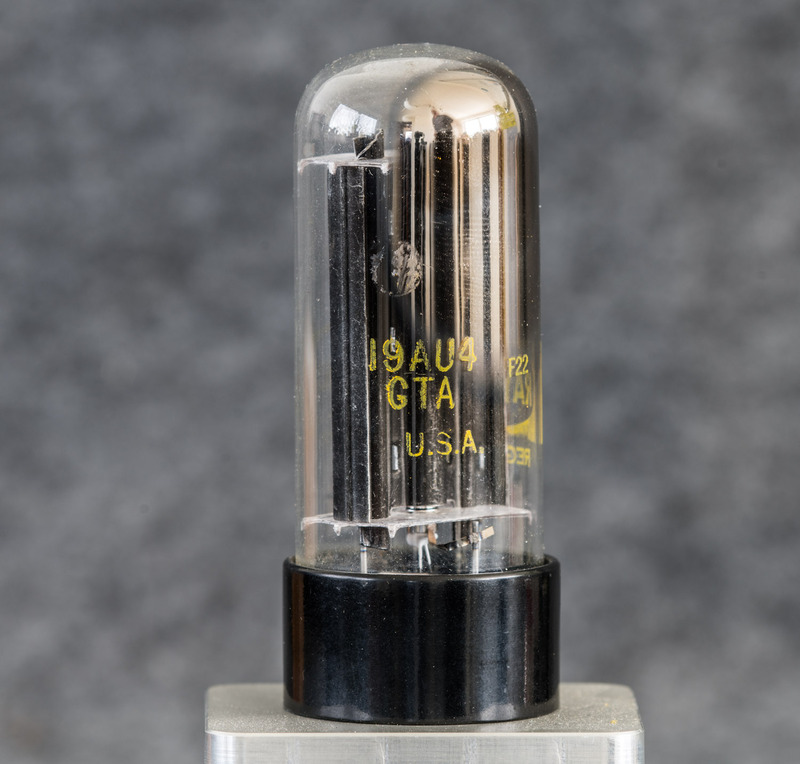 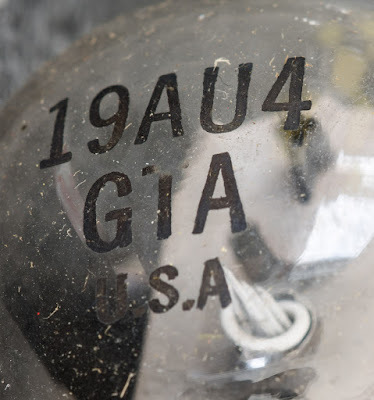 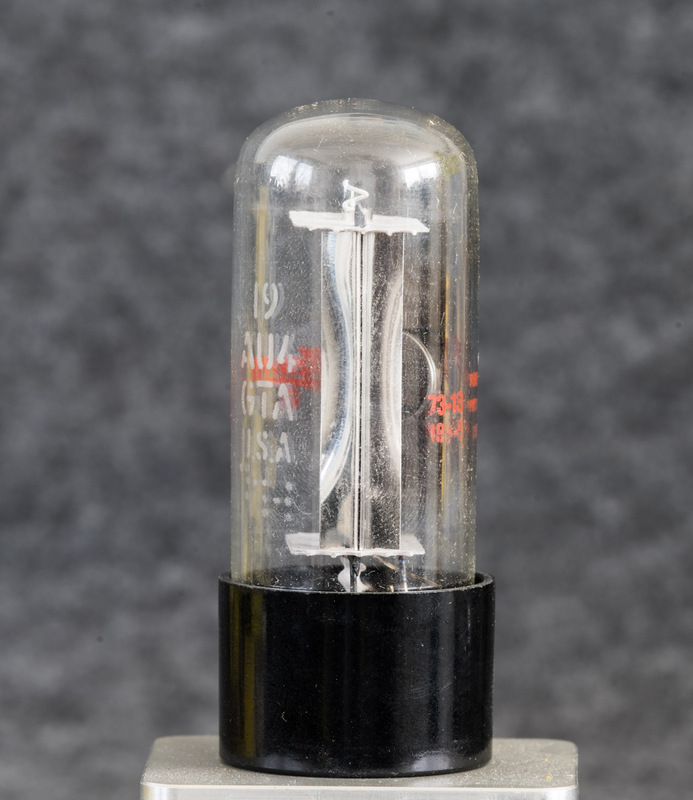 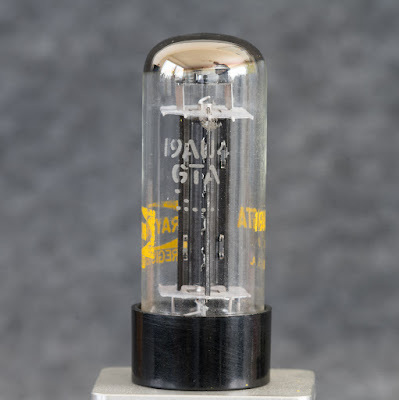 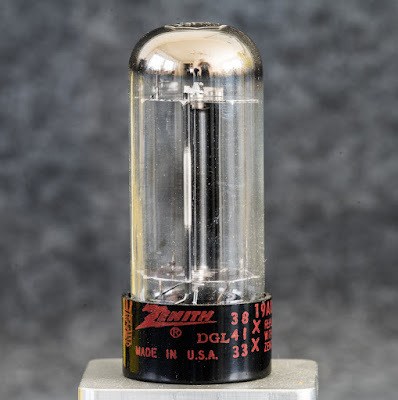 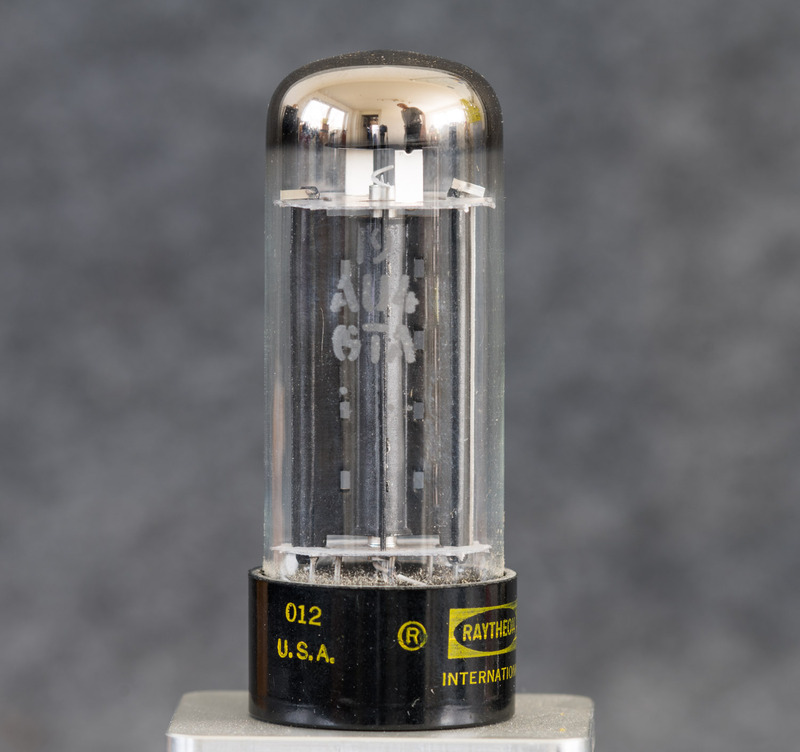 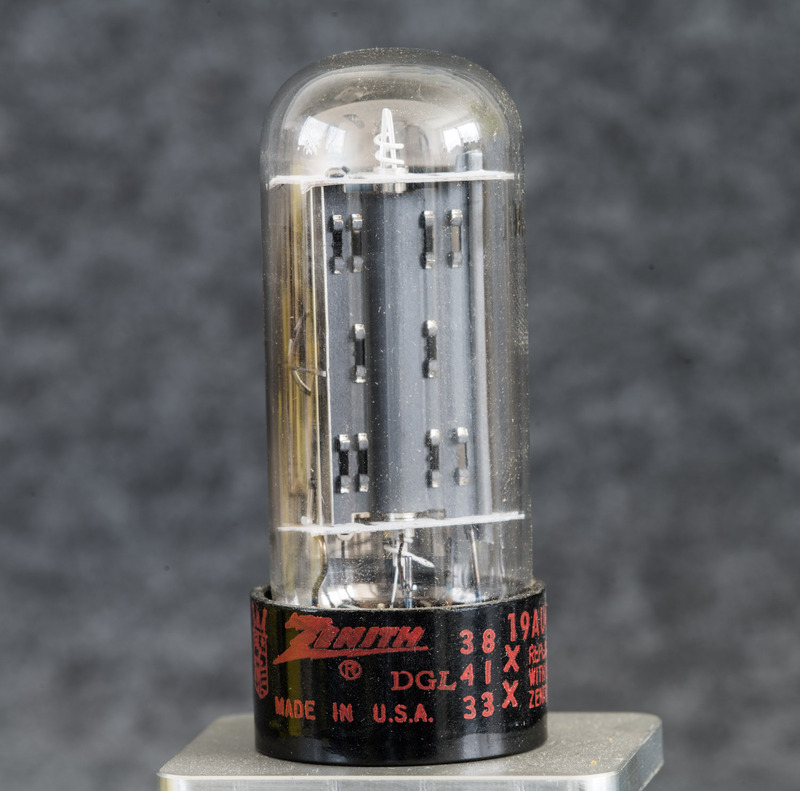 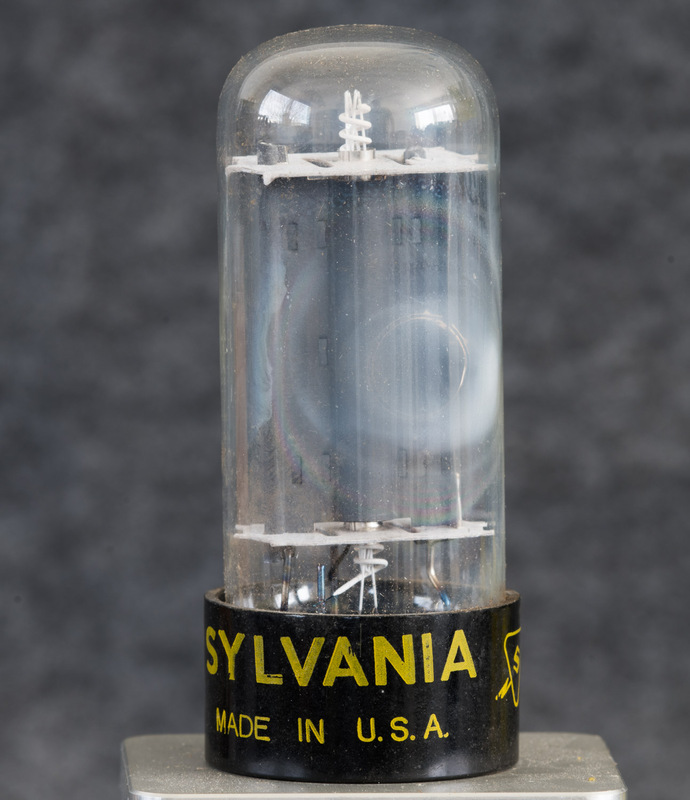 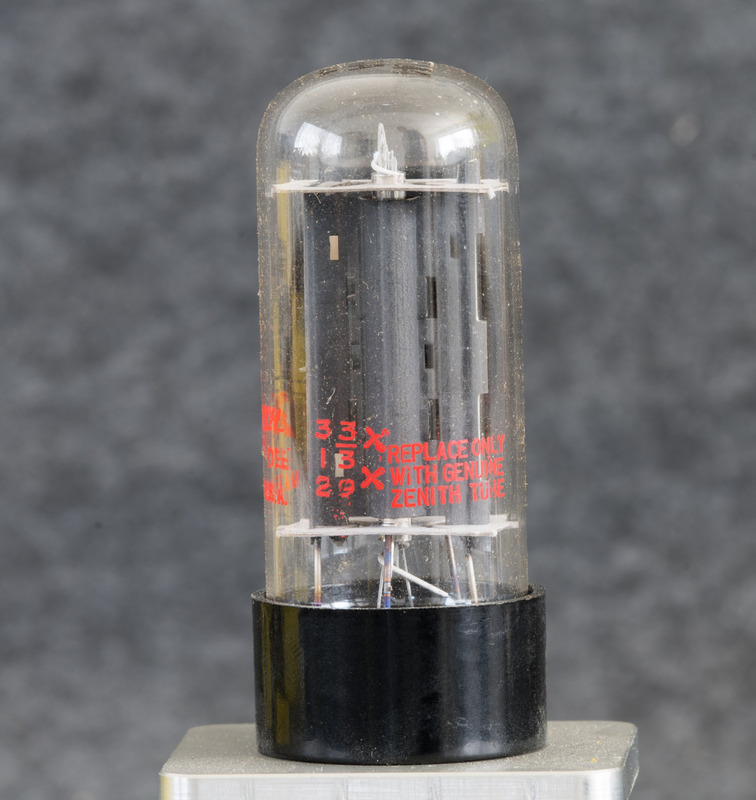 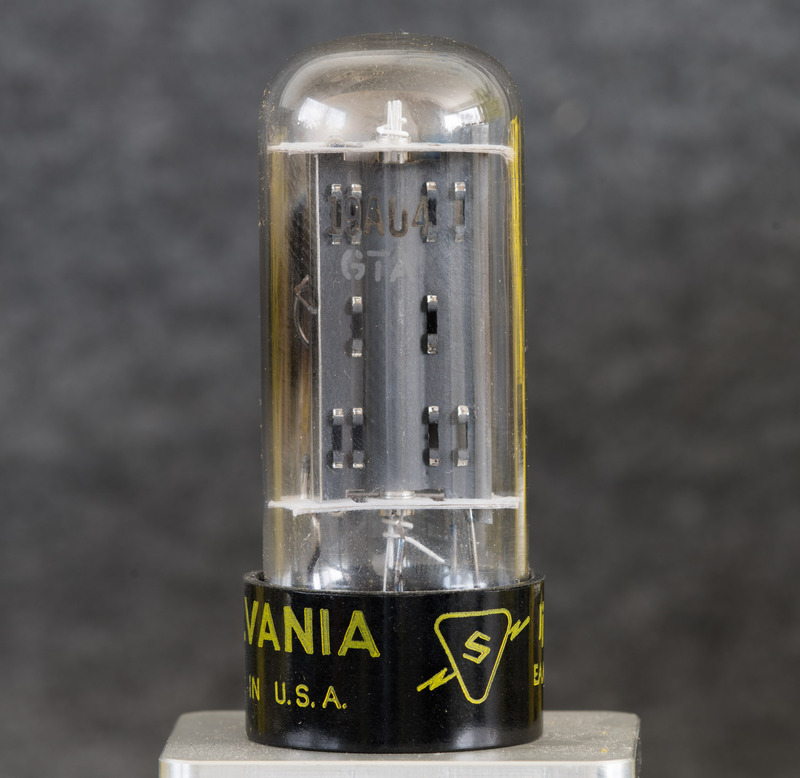 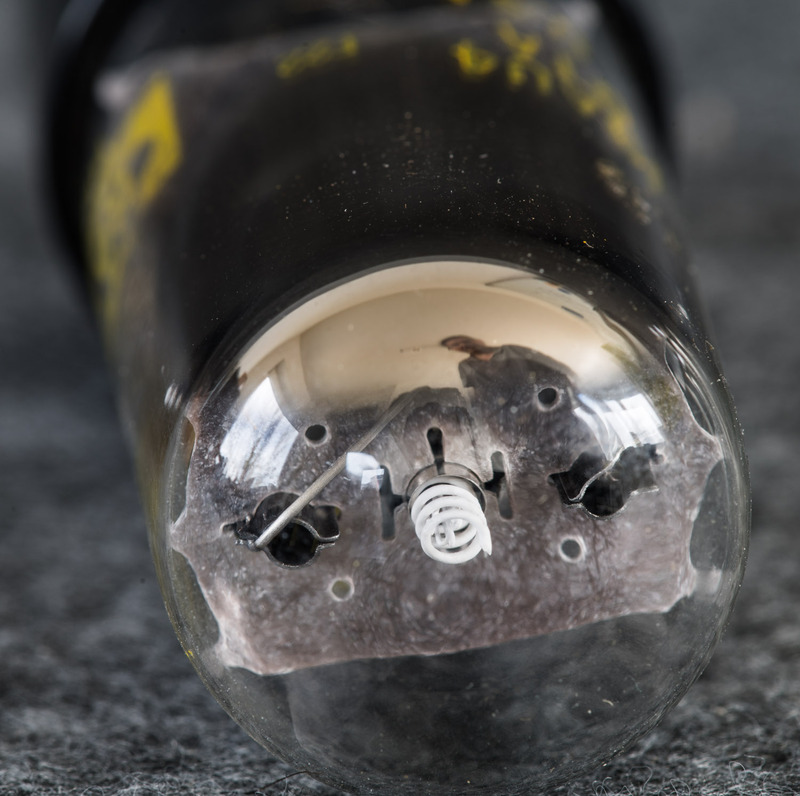 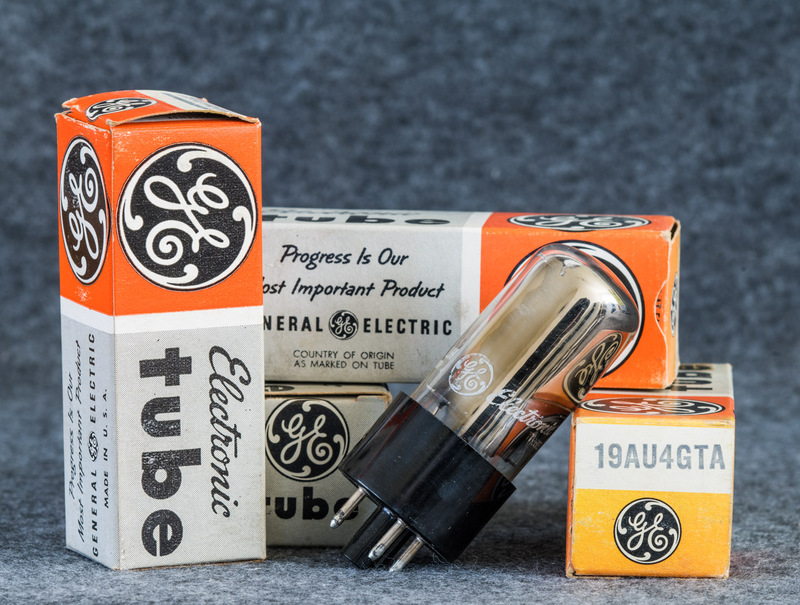 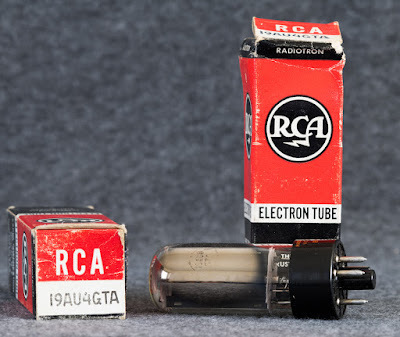 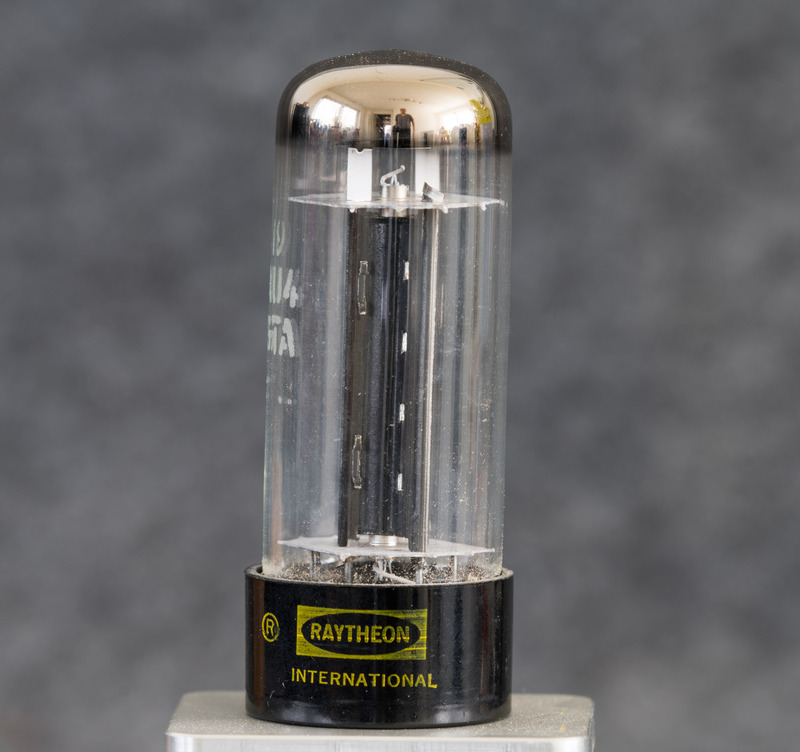 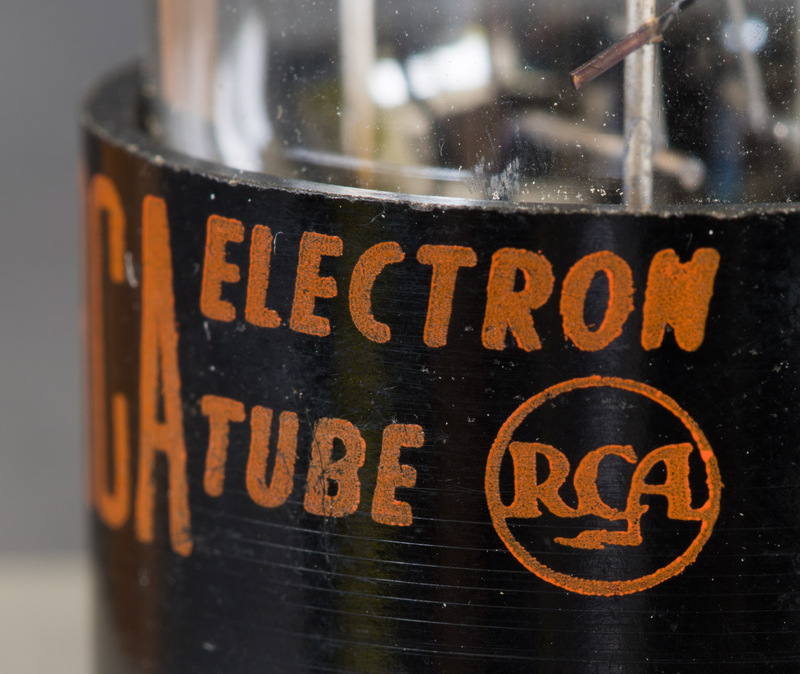 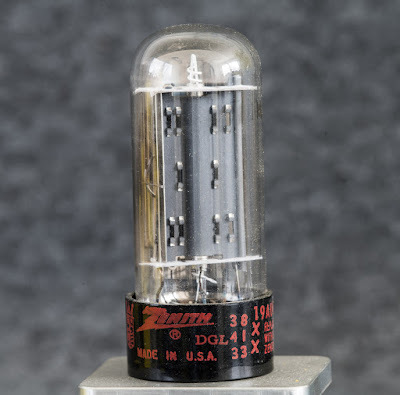 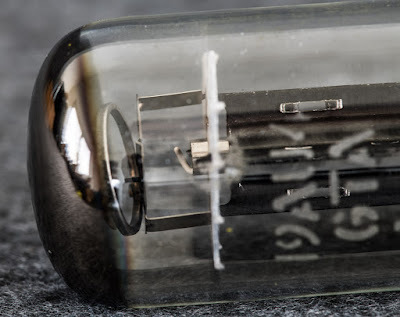 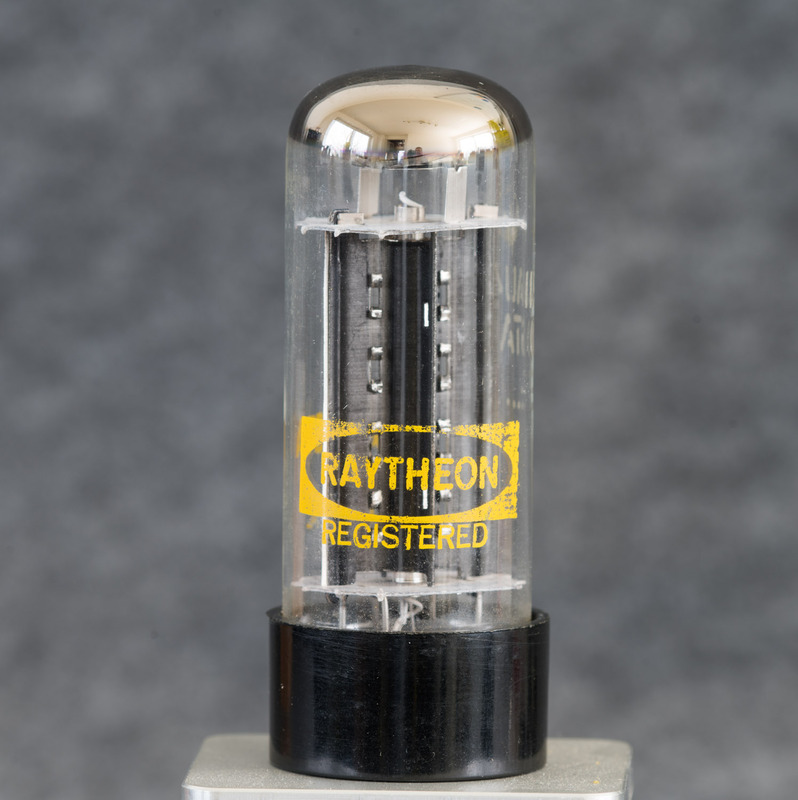 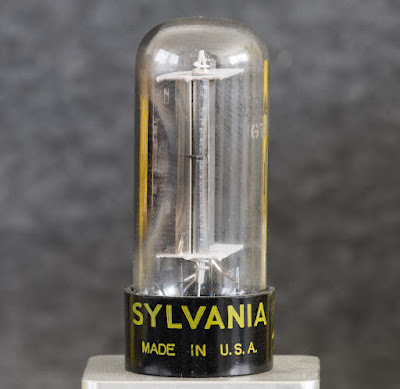 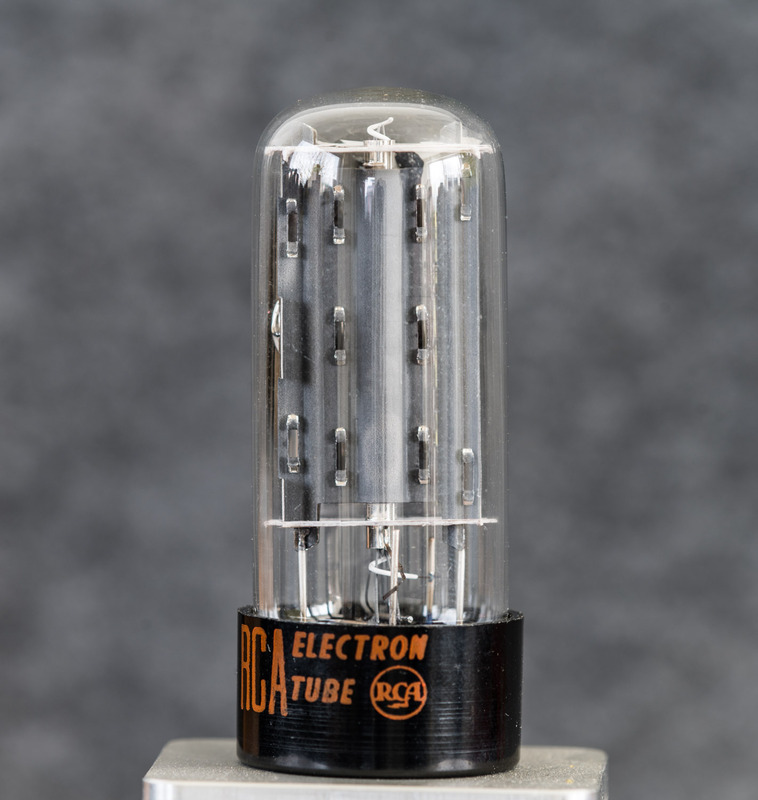 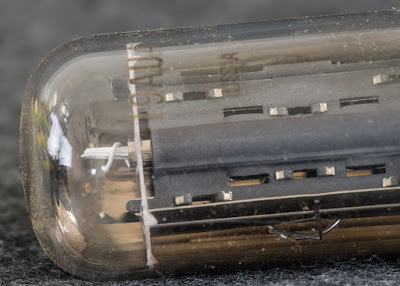 If you are bored by lots and lots of photos of tubes, now is the time to leave this site. 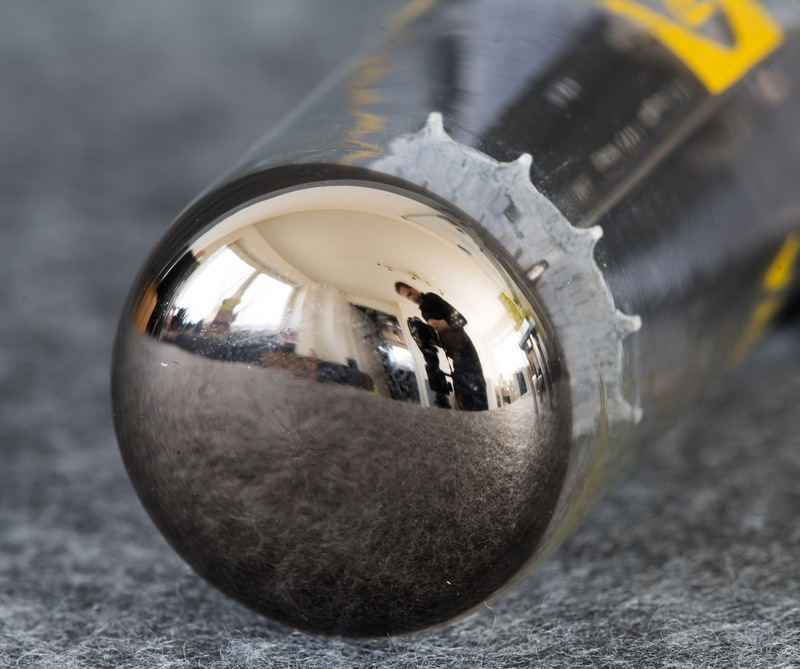 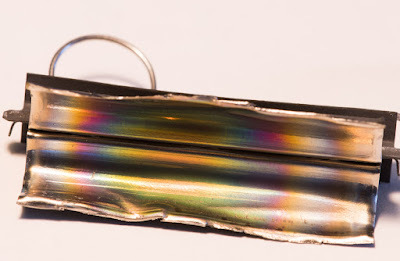 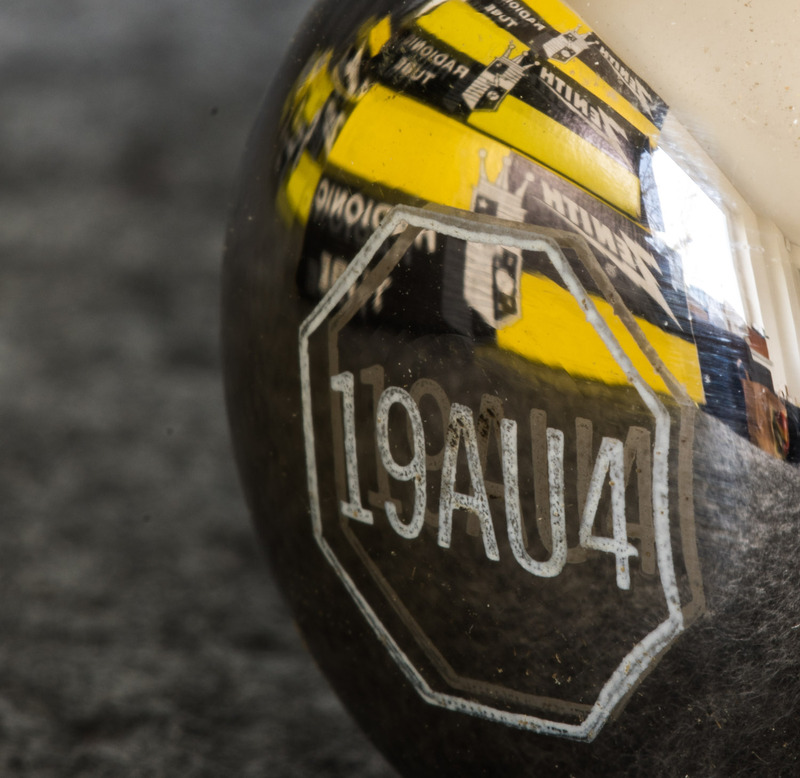 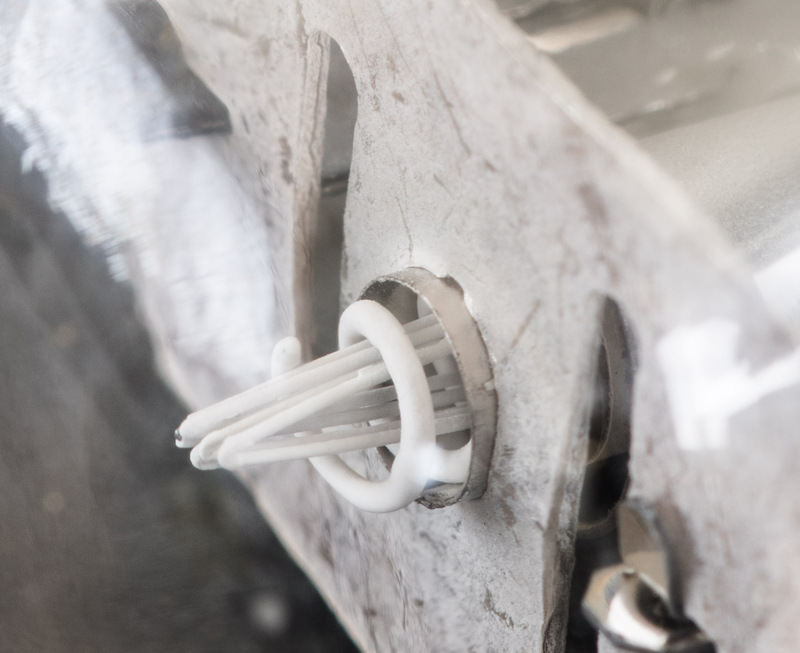 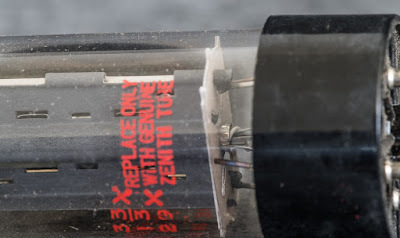 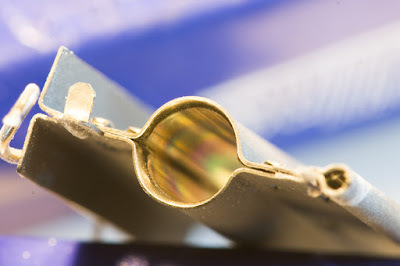 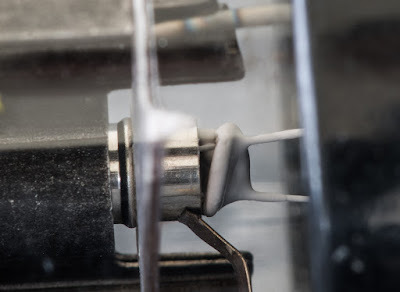 If you like to look at TV dampers from each angle and to gaze at the construction details, this is the right post for you since I got carried away taking photos of my stash of 19AU4s. 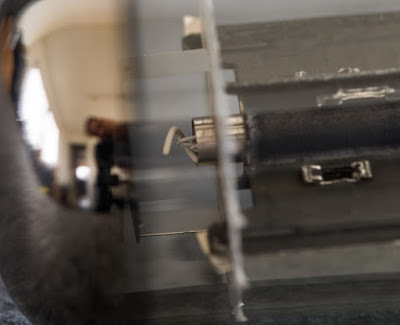 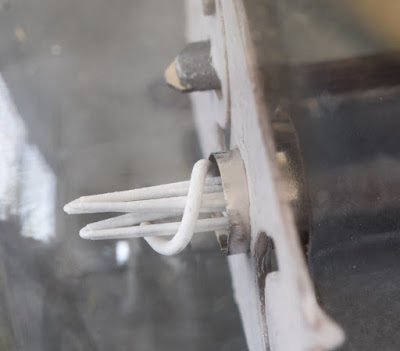 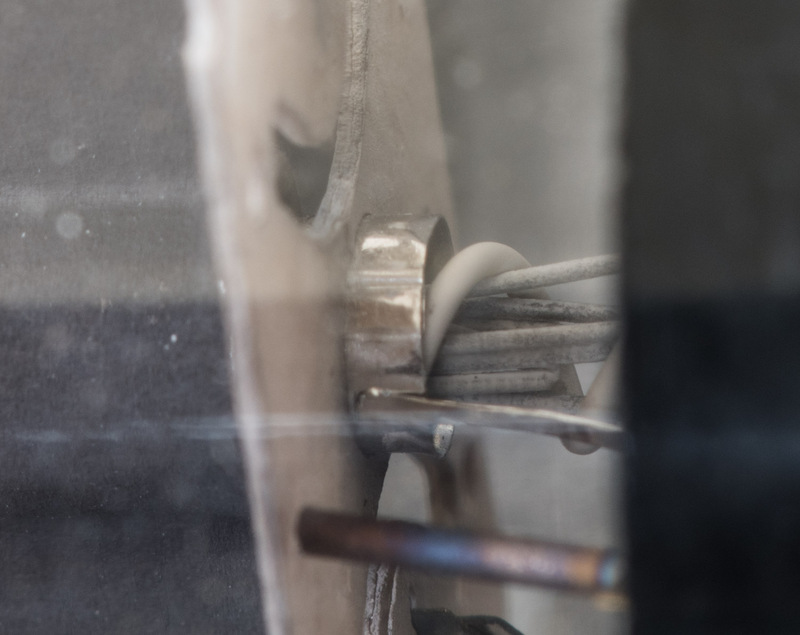 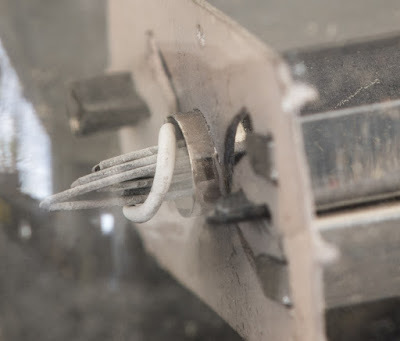 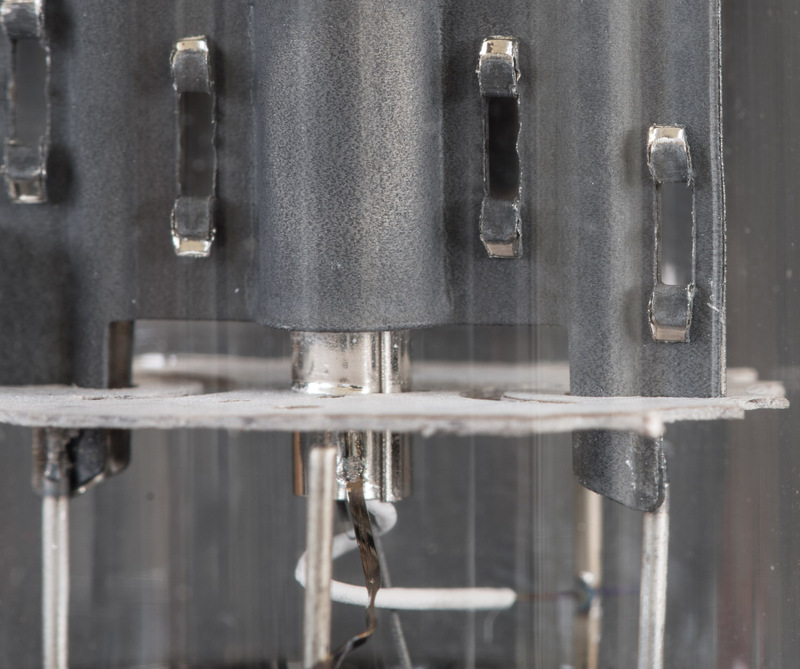 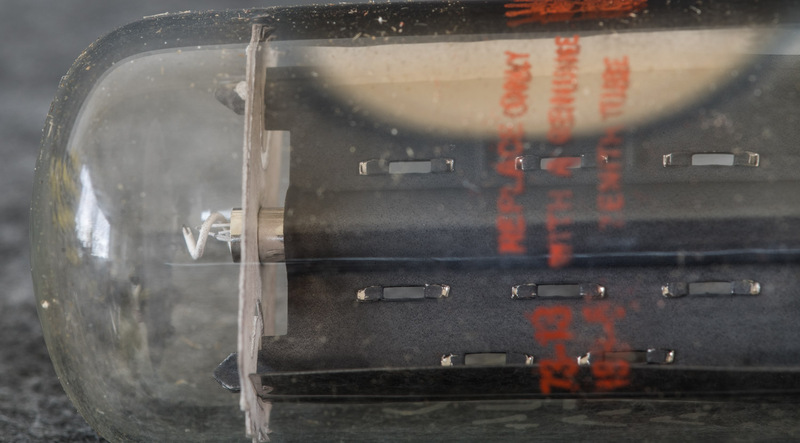 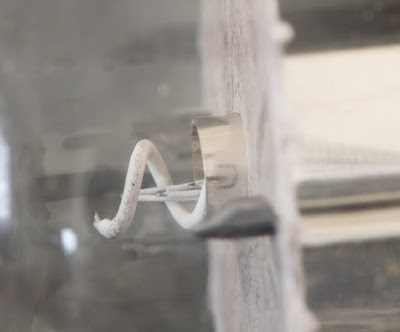 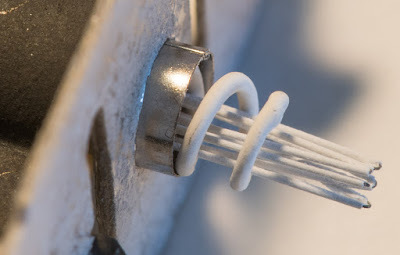 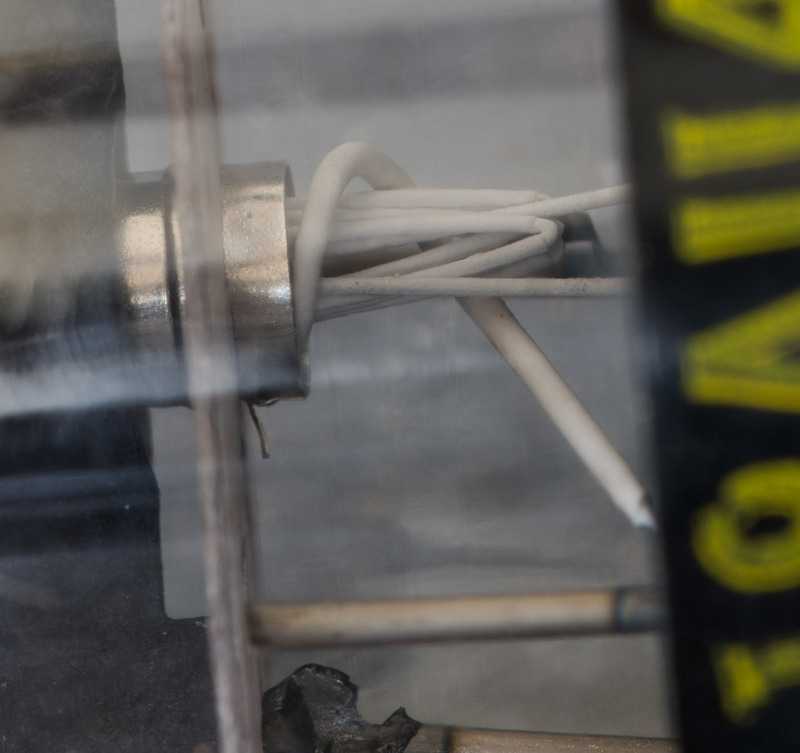 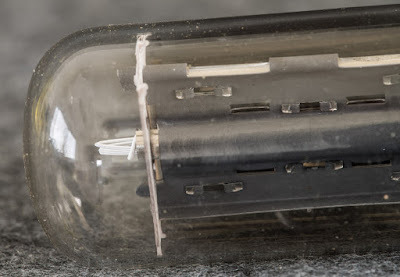 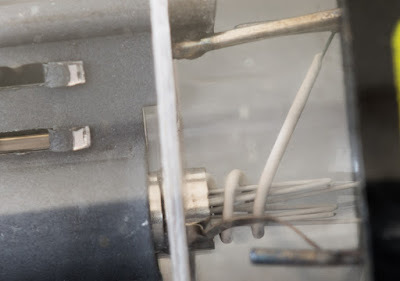 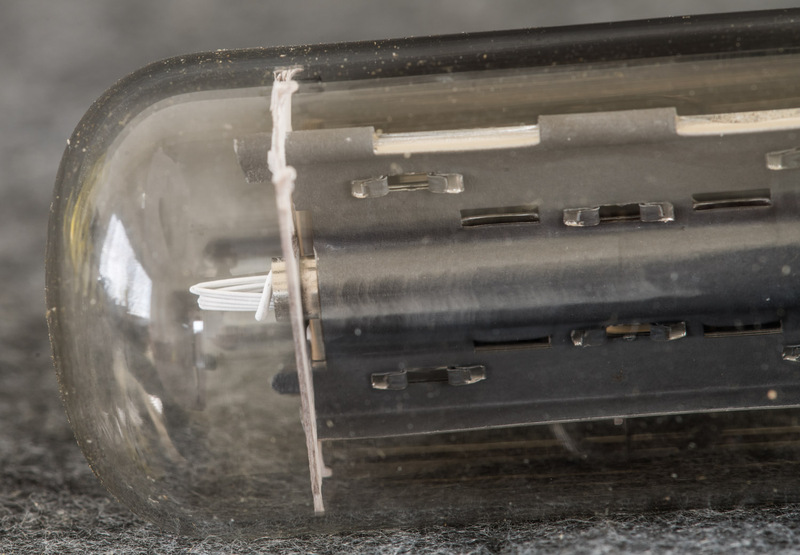 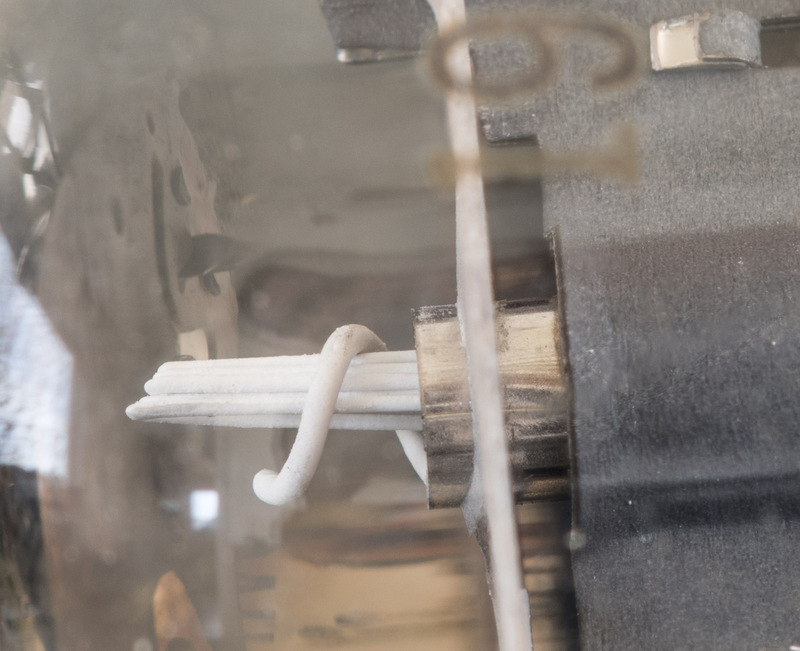 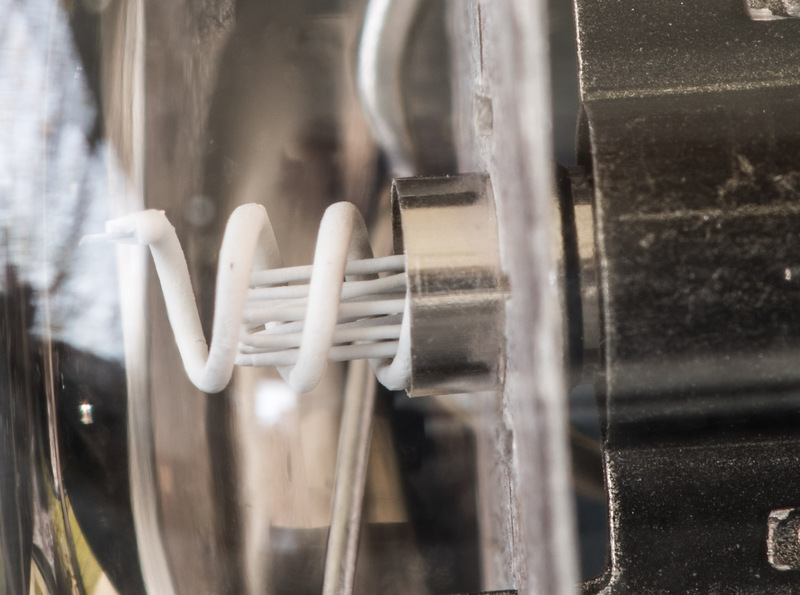 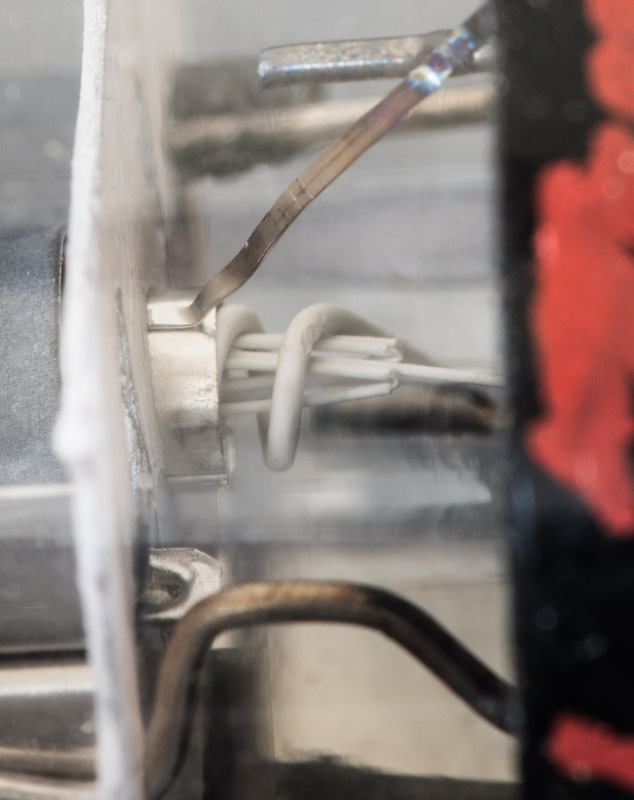 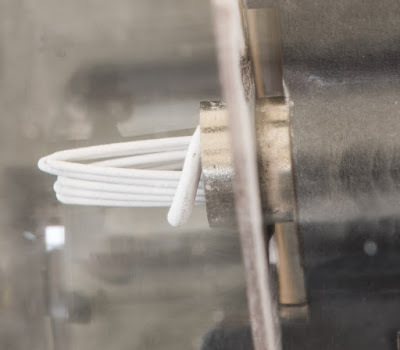 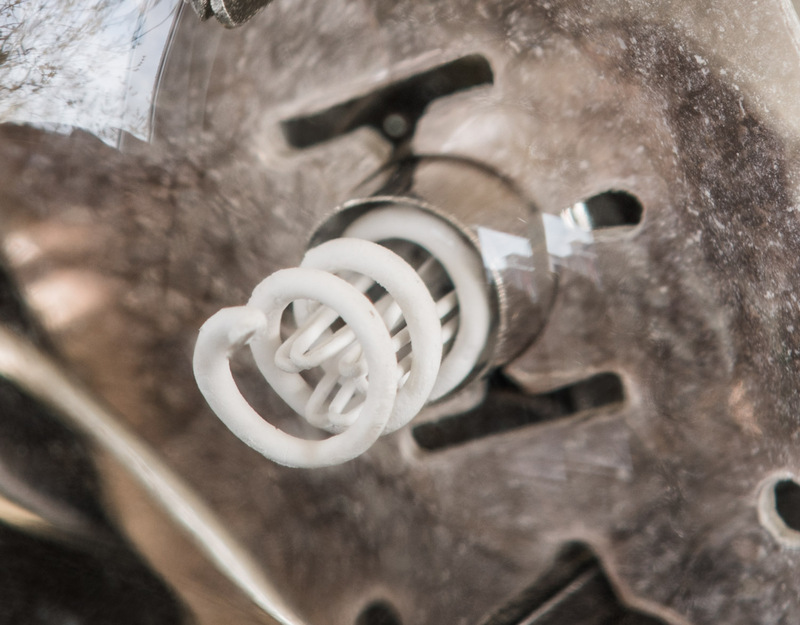 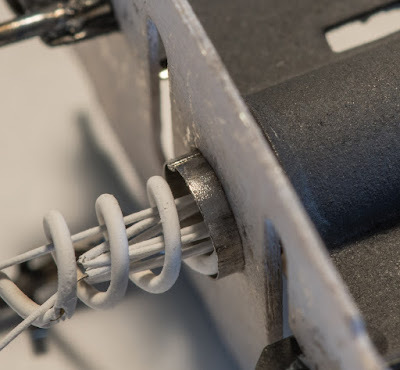 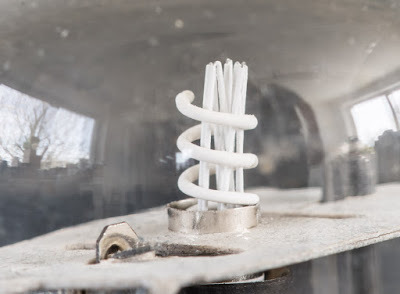 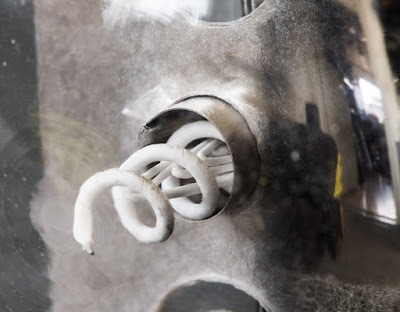 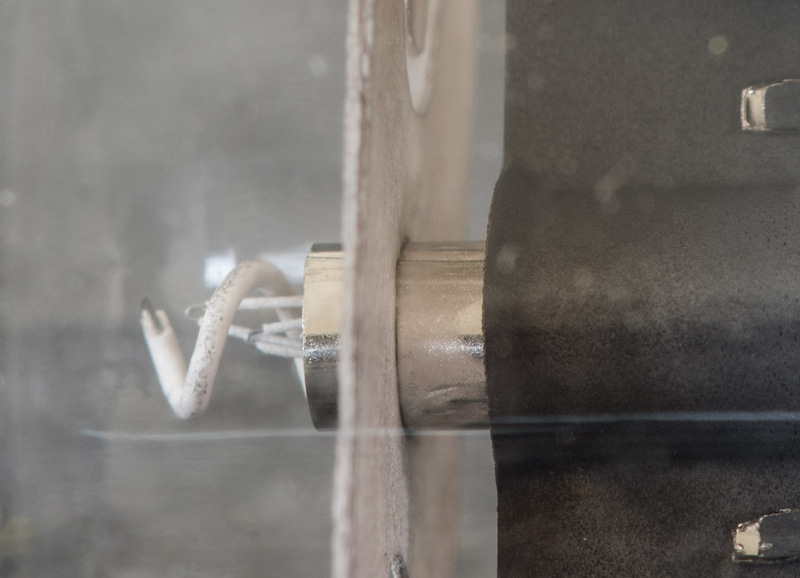 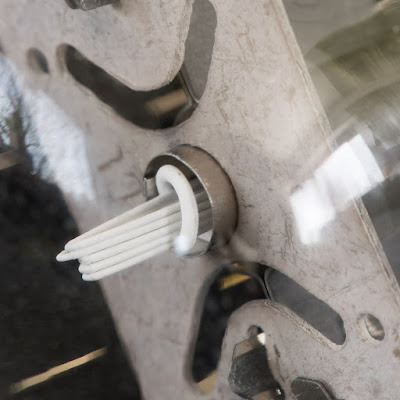 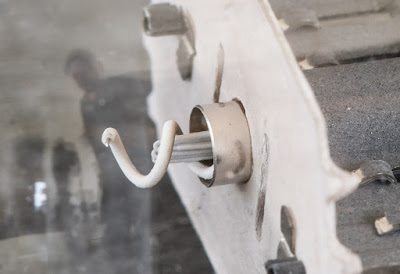 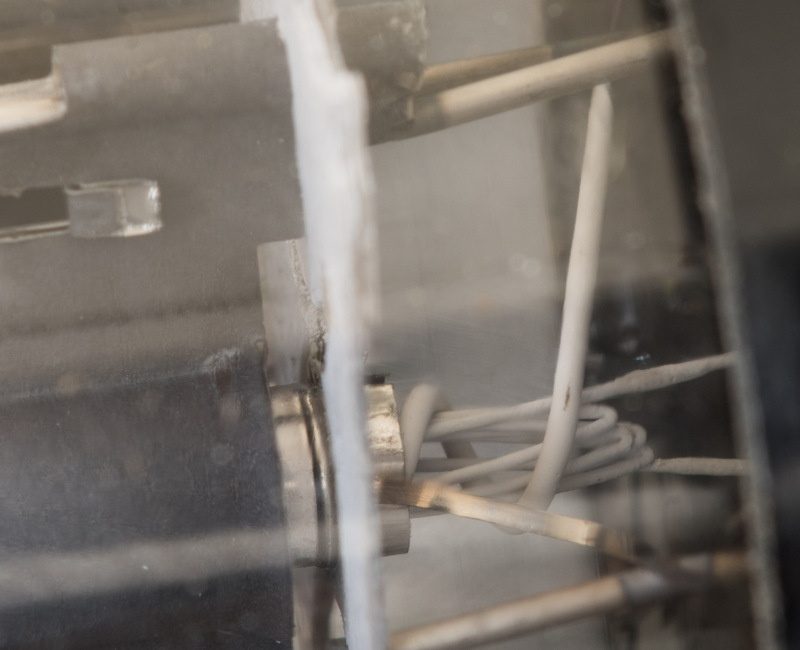 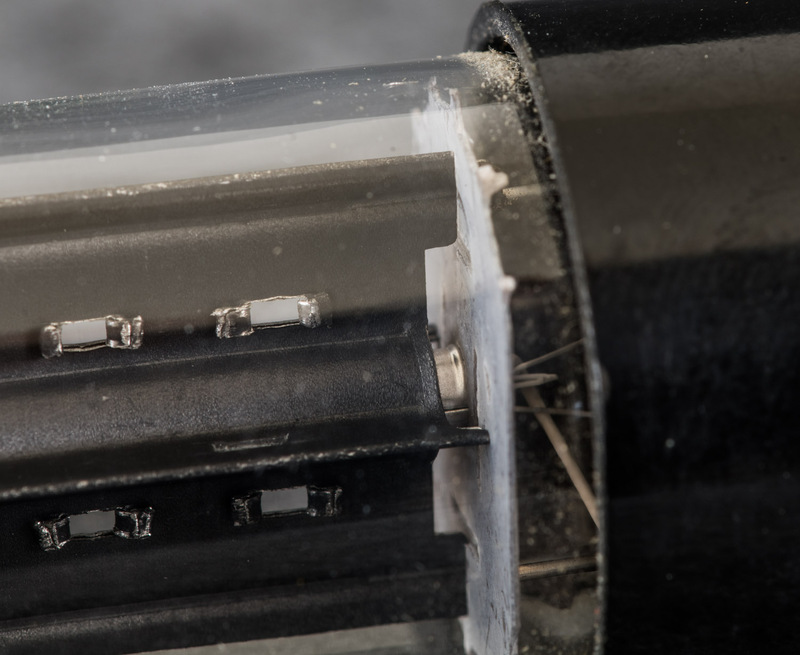 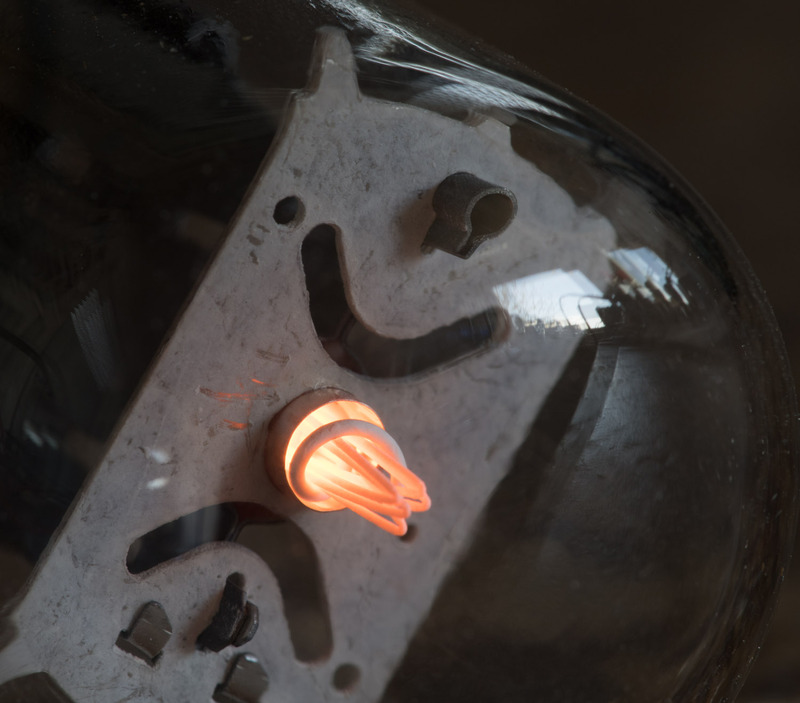 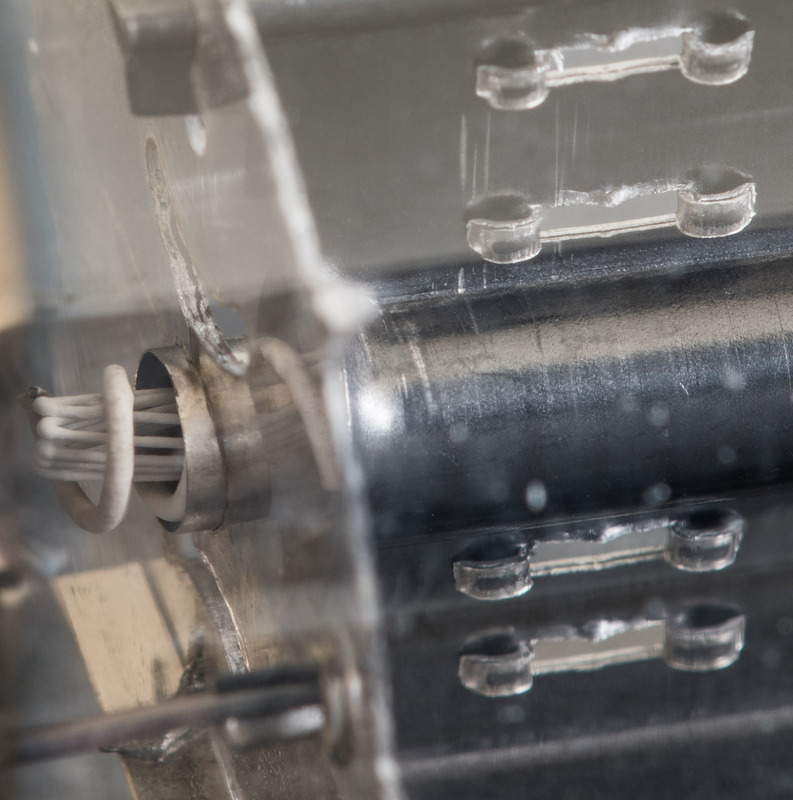 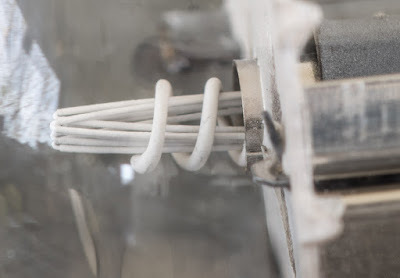 Close up showing the heater inside the insulation spiral within the cathode. 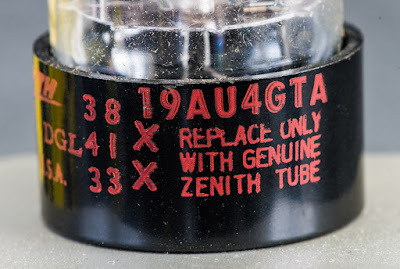 This one has the getter applied in the top. 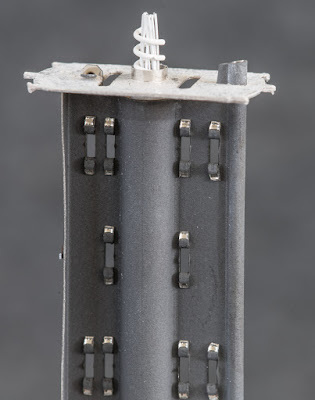 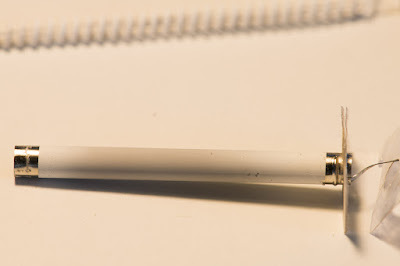 Although not used, pin one is also present at the base. 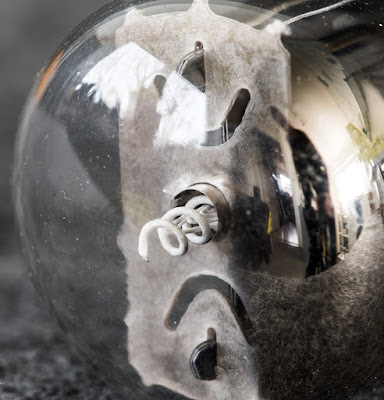 Slightly different internal construction and printing on the base instead of on the glass. 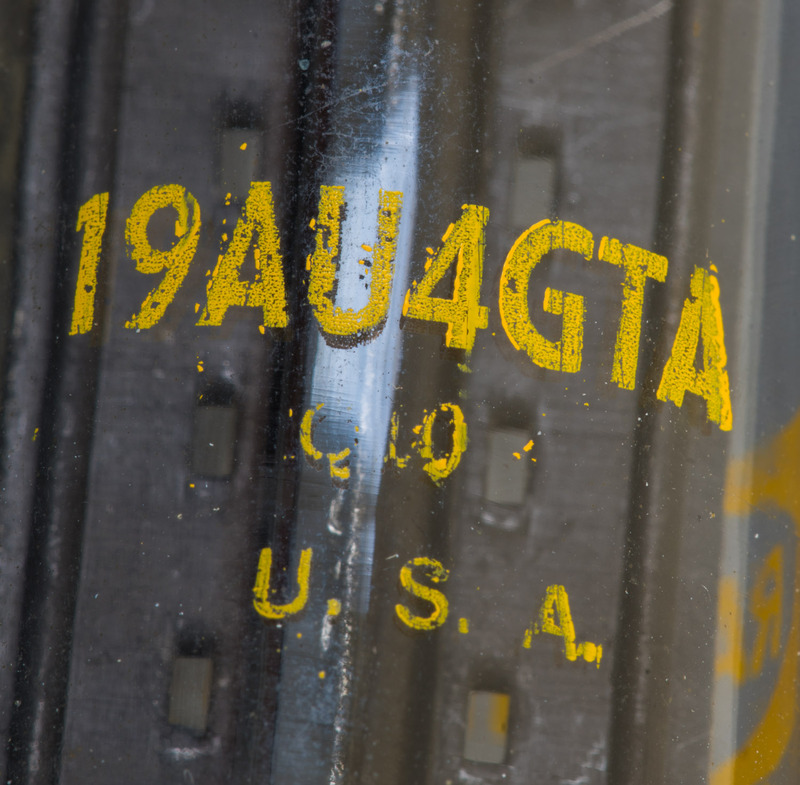 Getter also in the top dome as on the first one. 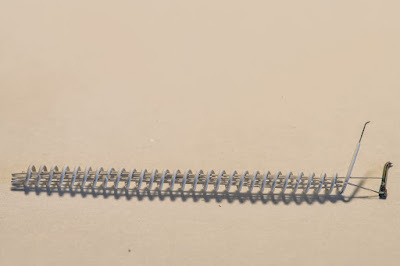 The next one is again different. 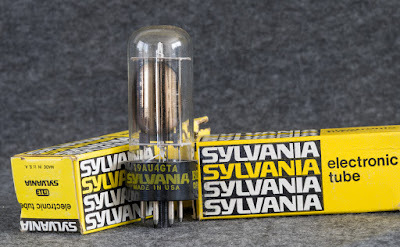 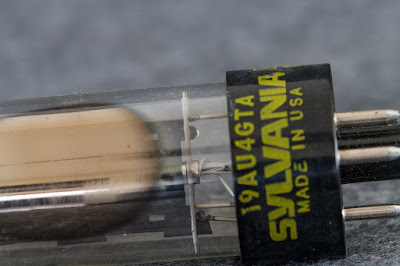 And as last brand we have Sylvania. These tubes look very similar to some of the Zeniths above which is not surprising since Zenith used to source their tubes from Sylvania. 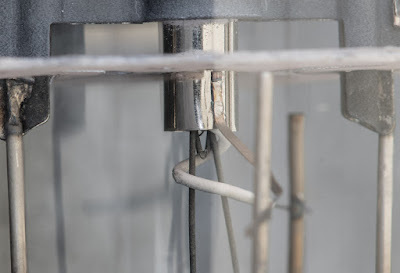 So it is a good candidate to crack open for inspection of the construction details. 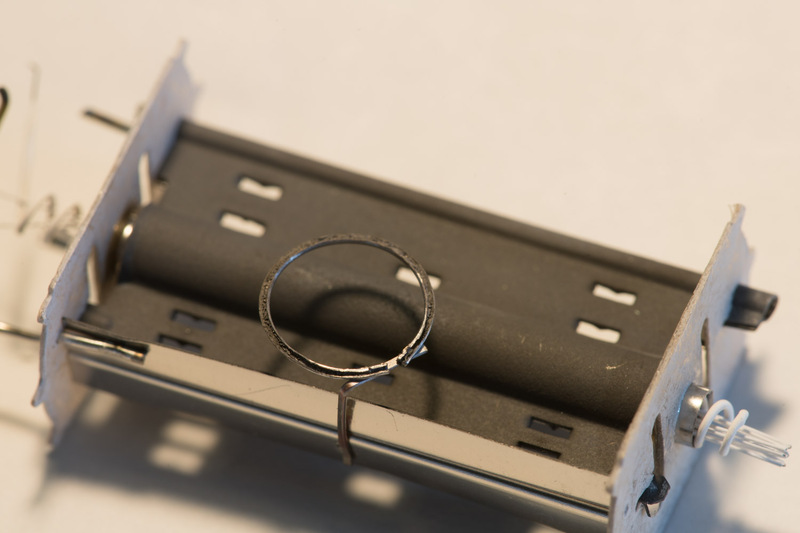 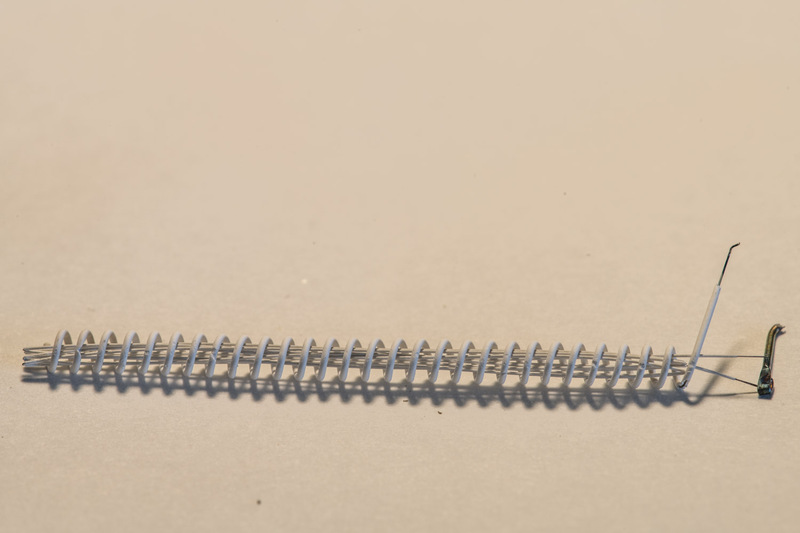 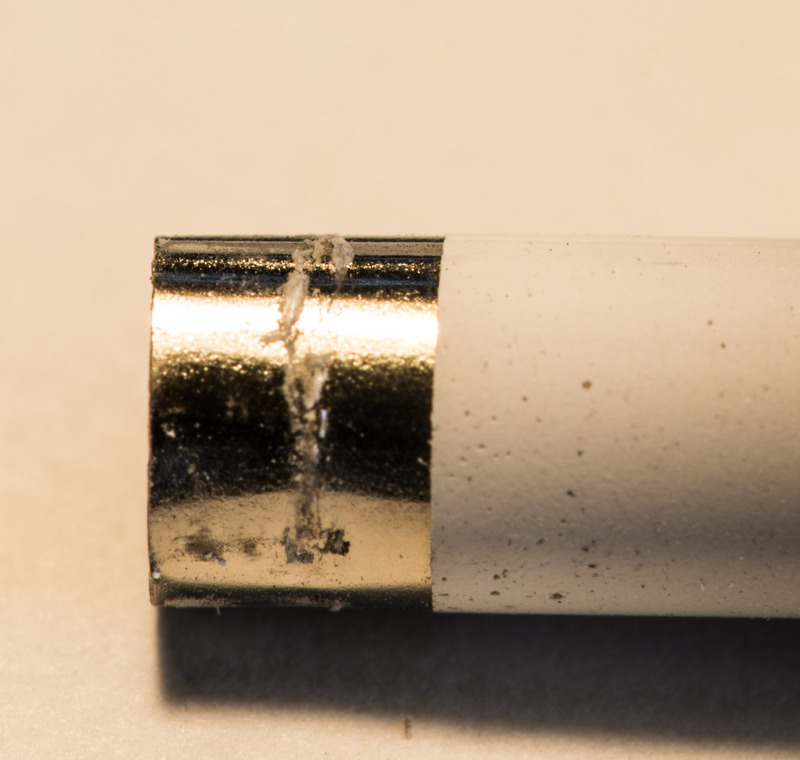 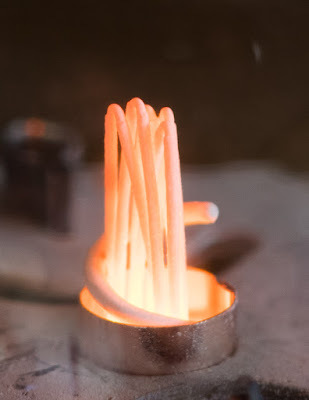 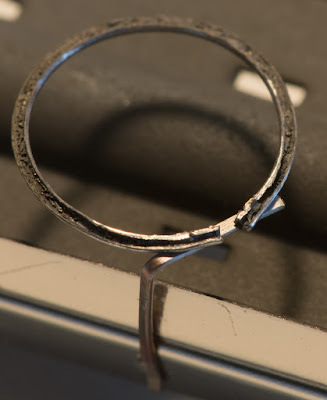 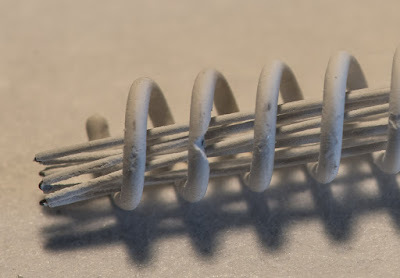 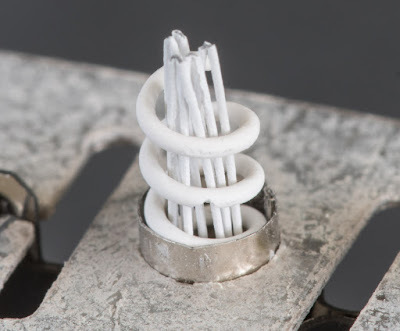 The heater wire is much longer as in the 6AU4 and folded more often to achieve the 18.9V rating. 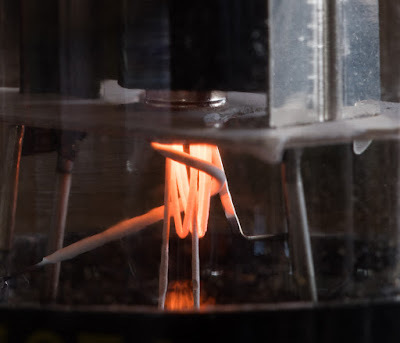 And lastly some photos showing the glow of the tube in operation. 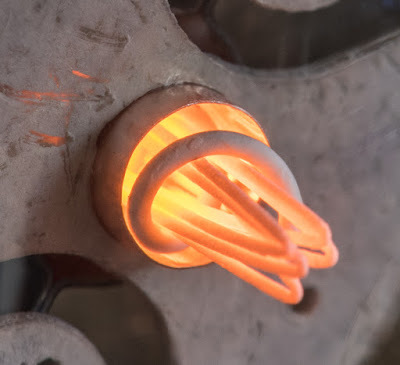 The massive bundle of heater wire provides quite a nice glow! A really nice tube and I have to admit I never used any 19AU4 so far, only the 6AU4 variant.